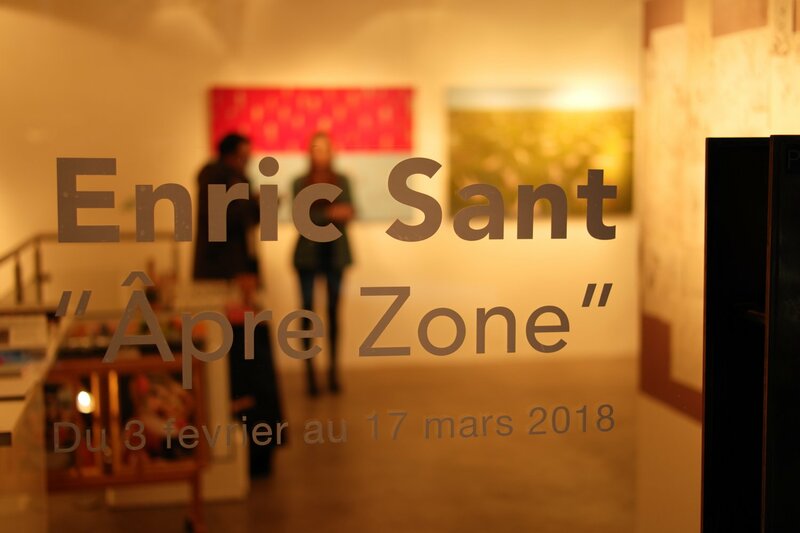 Exhibition runs till March 17th 2018. 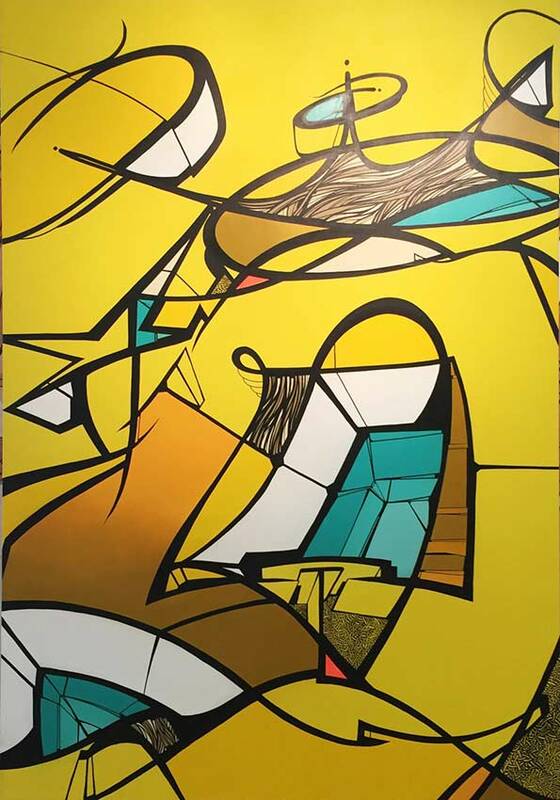 Born in Barcelona in 1985, Enric Sant lived with his family, and for a long time he was permeated by his contact with nature; while he was studying and getting a degree in visual arts. 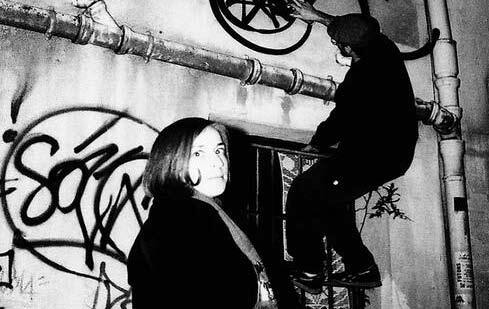 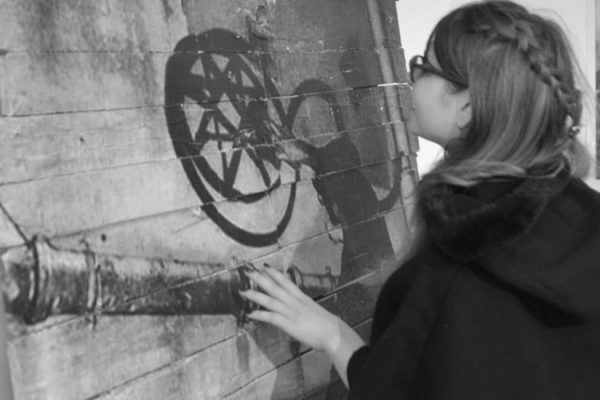 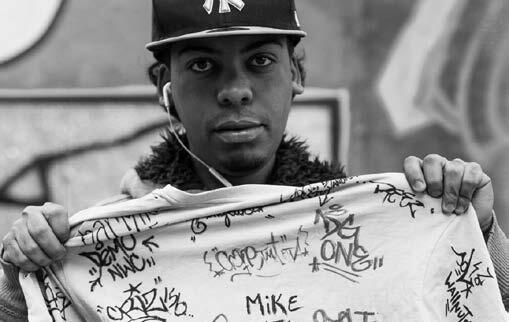 At the age of 16, Enric Sant got involved with graffiti. 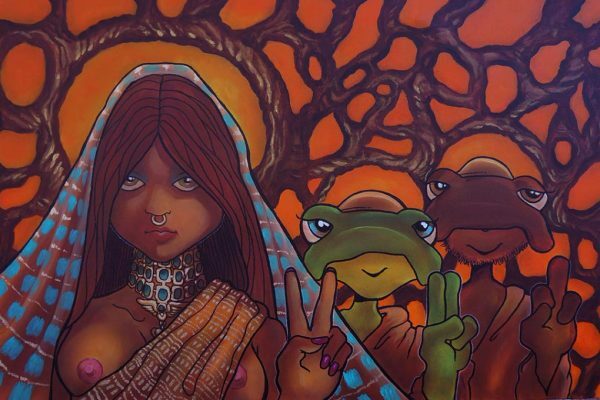 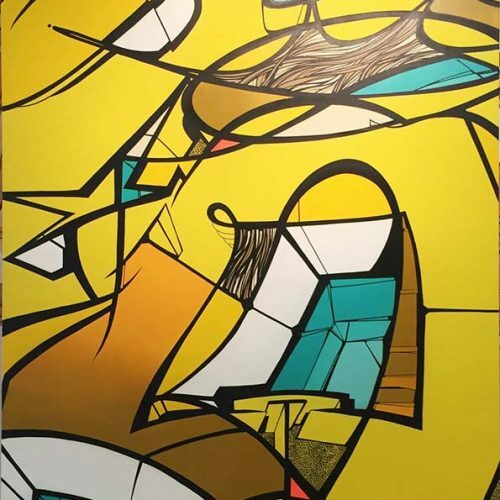 He met Poseydon, Aryz, Grito and Registred, with whom he formed the collective “Mixed Media”, still active and internationally recognized. 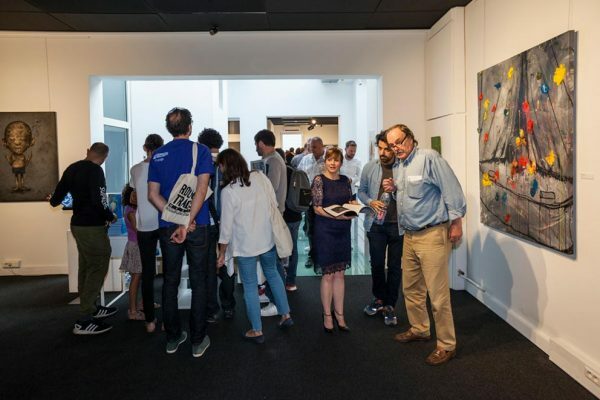 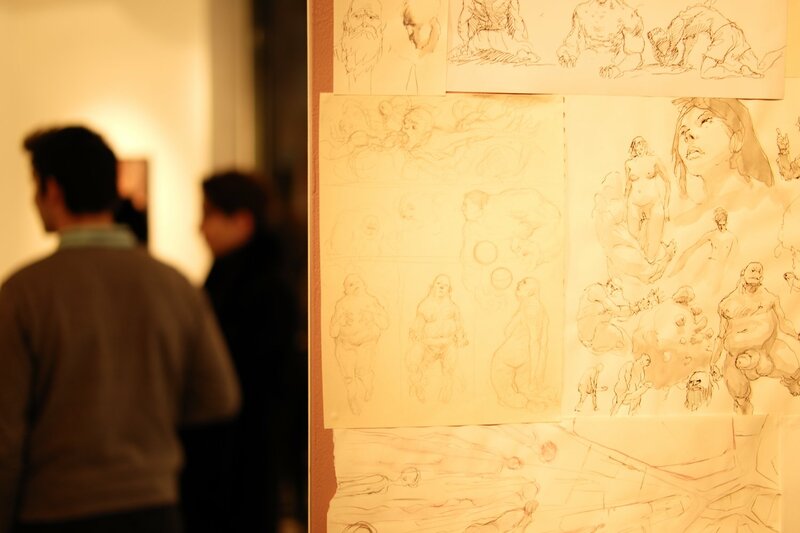 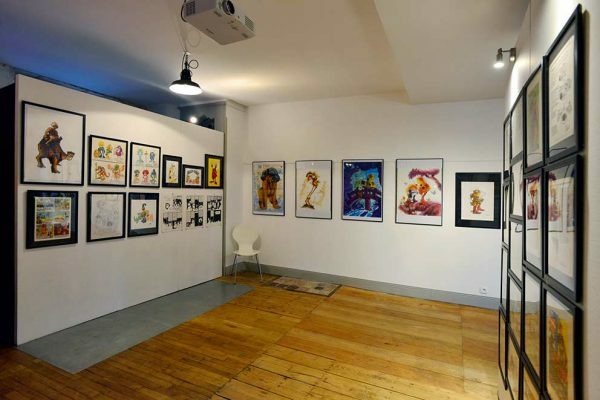 Curious to know about the different artistic and creative media, Enric Sant became more involved in everything that could fuel his creativity: science fiction movies, comics, cartoons and great masters such as Velázquez and Rubens, for whom he has great admiration. 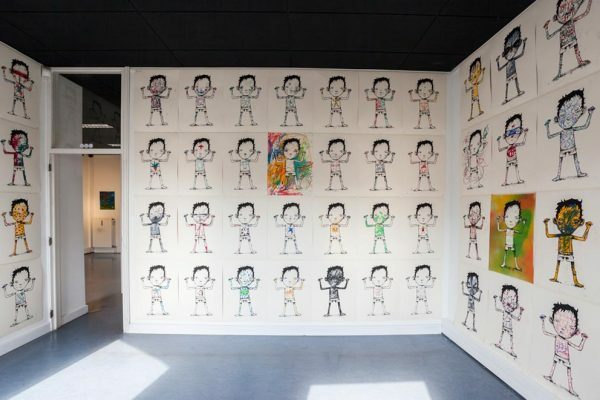 Little by little he developed his own style. 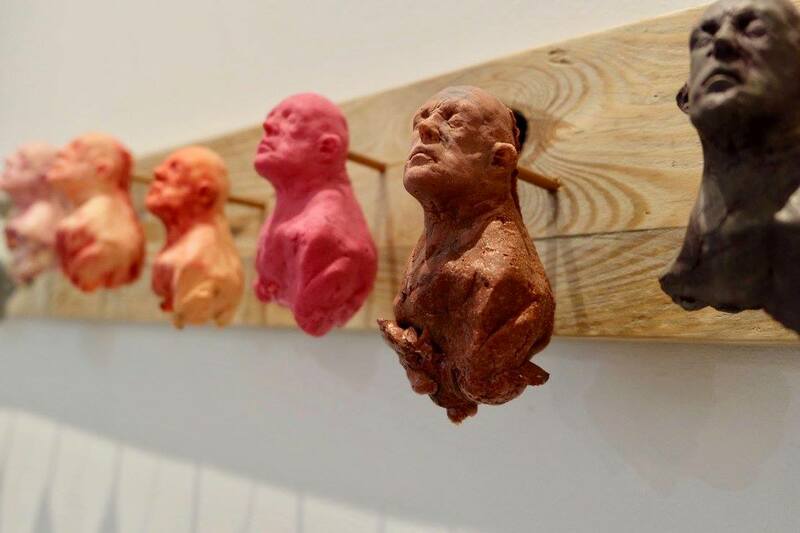 He began to create more and more grotesque works. 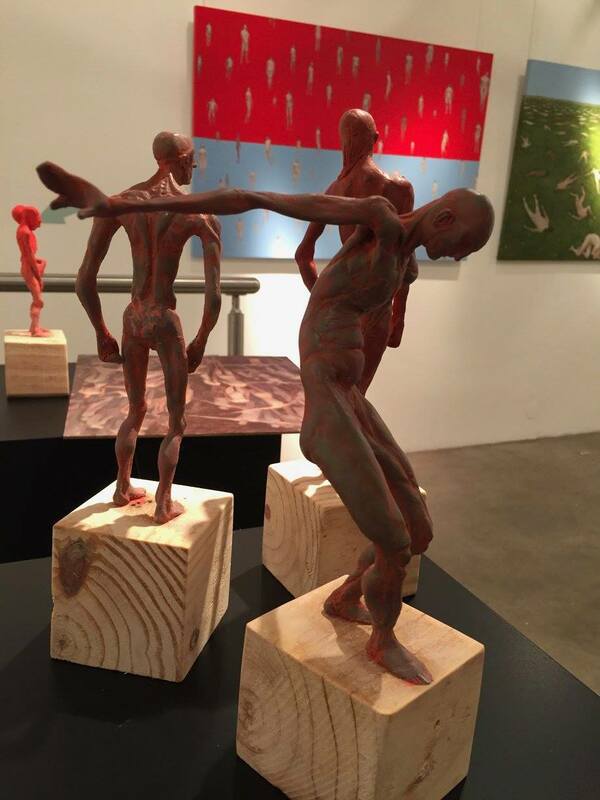 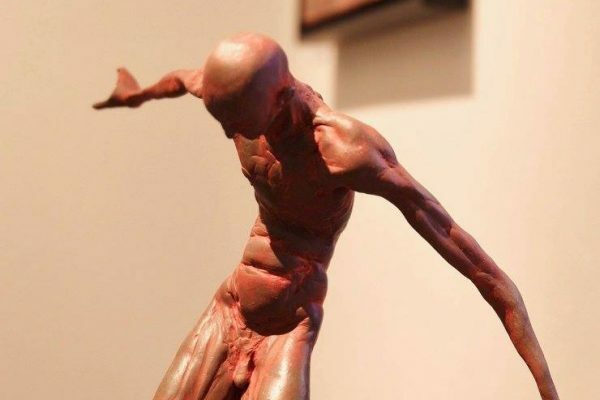 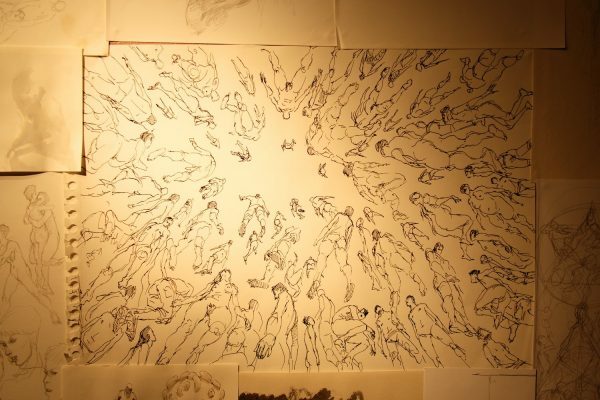 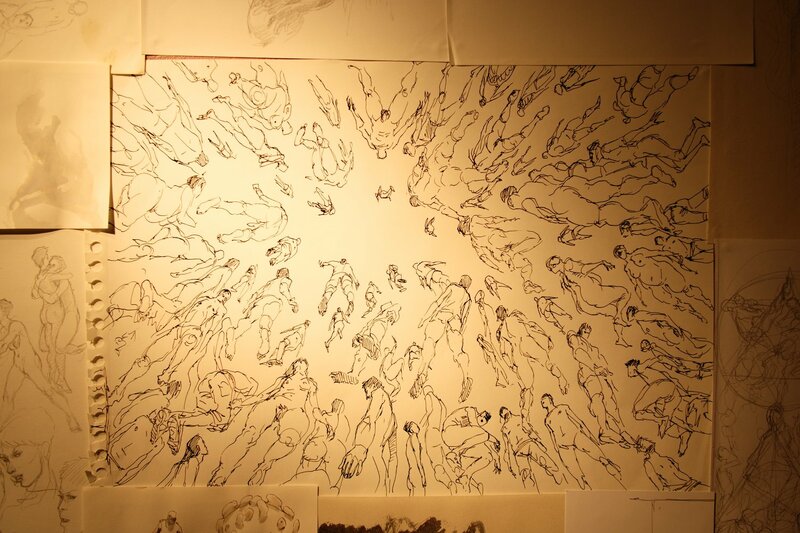 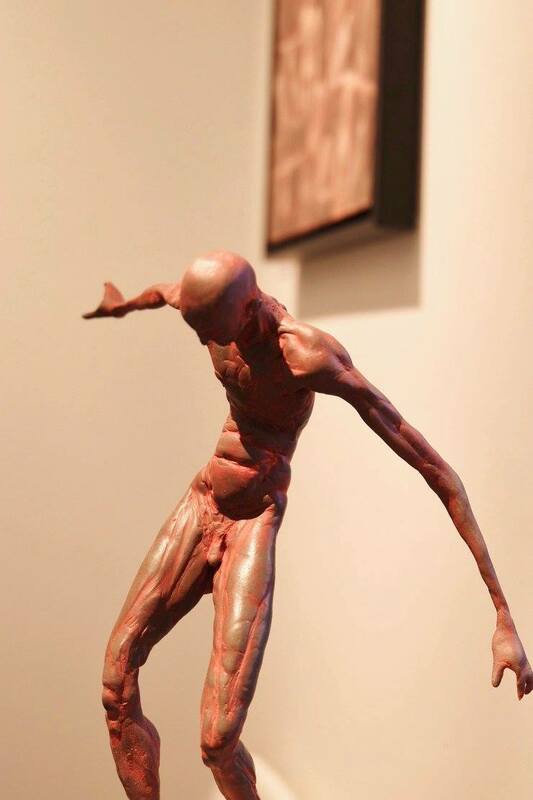 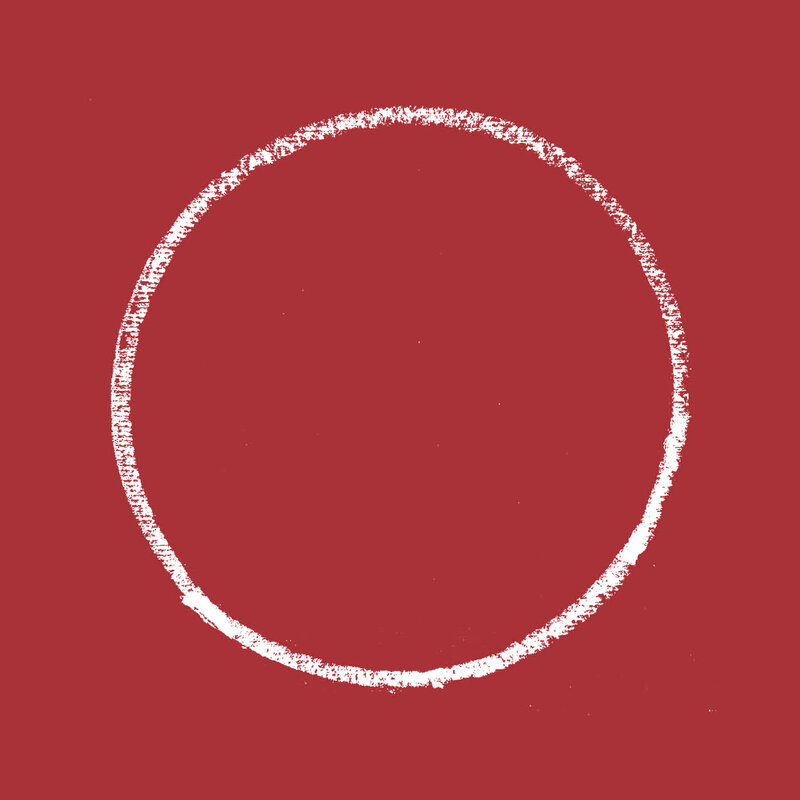 And the “flesh”, the body, the figure… The human being represents the main axis of his artwork. 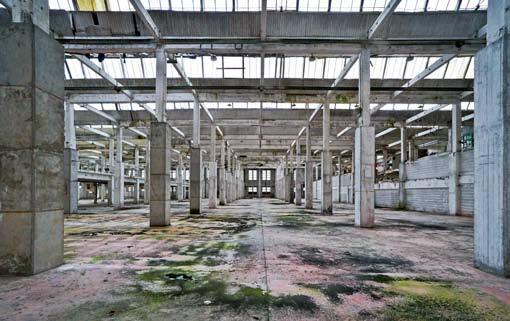 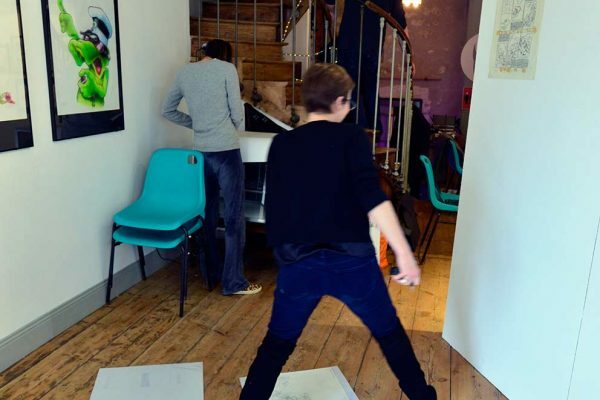 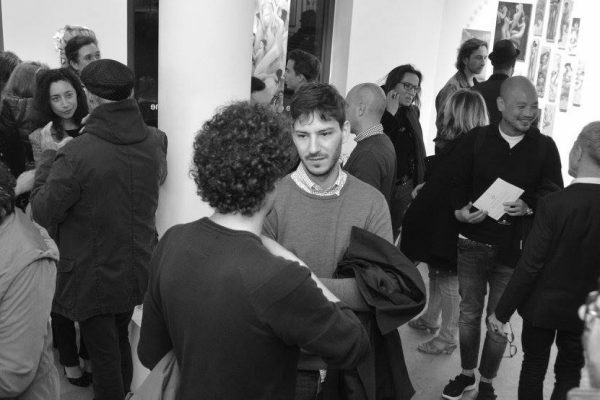 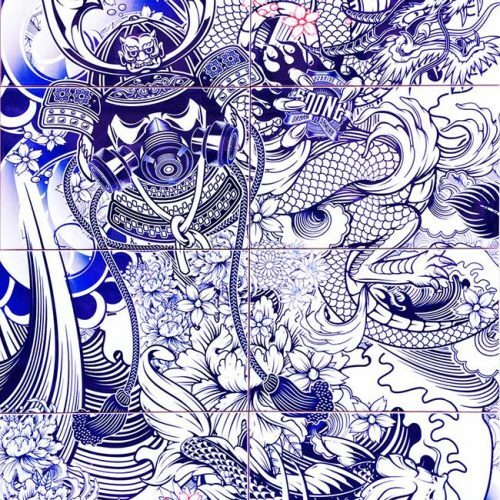 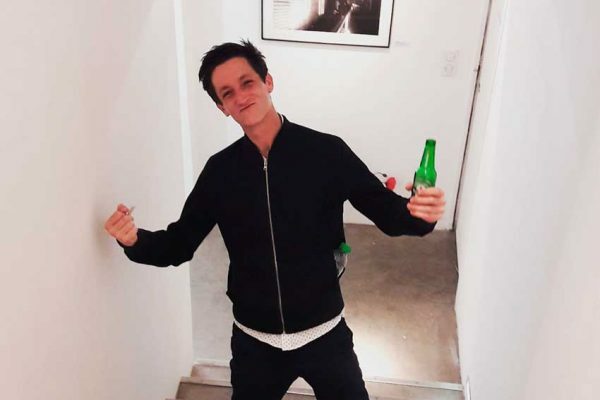 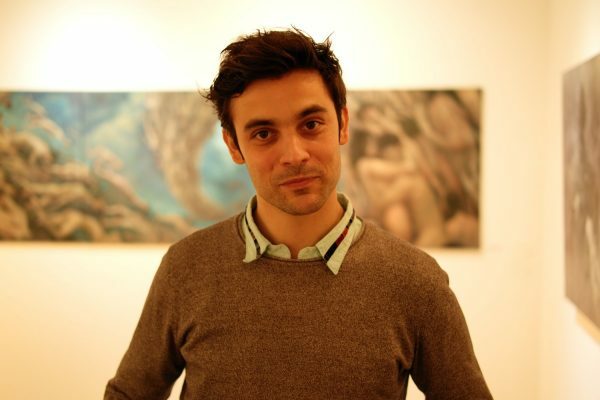 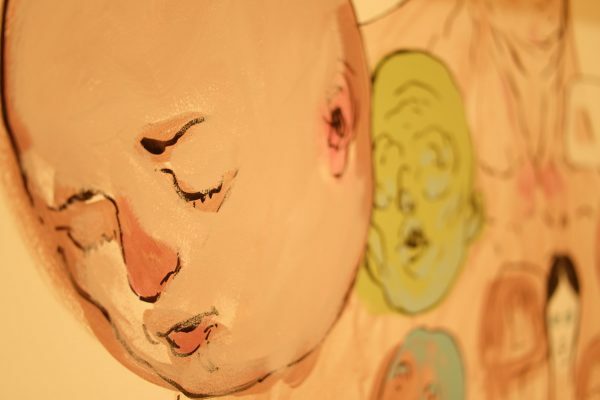 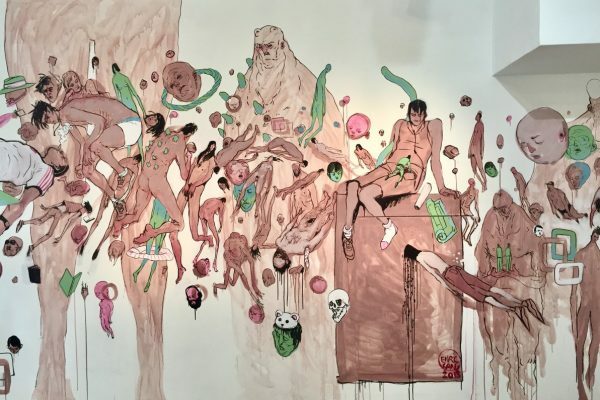 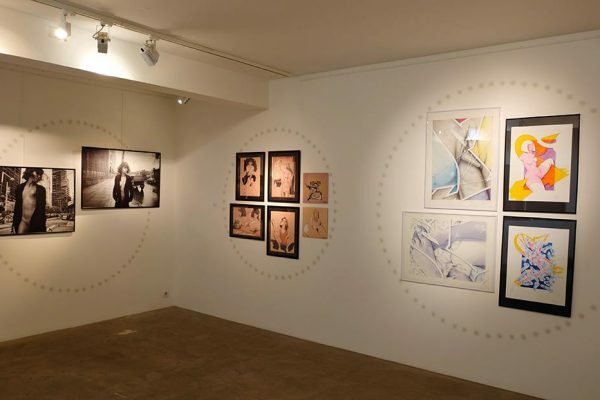 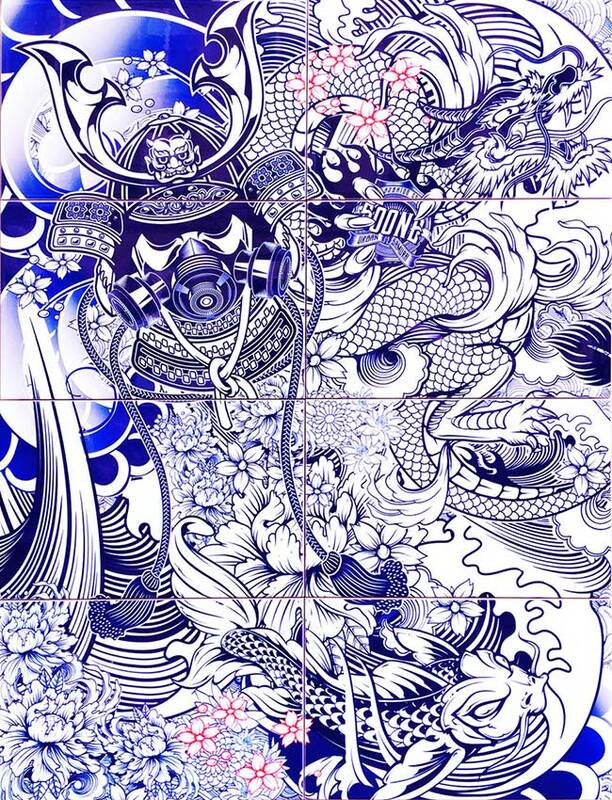 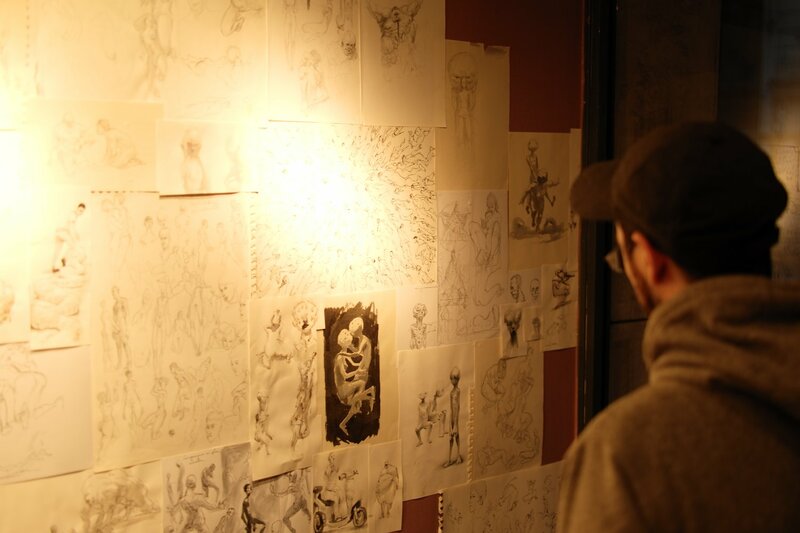 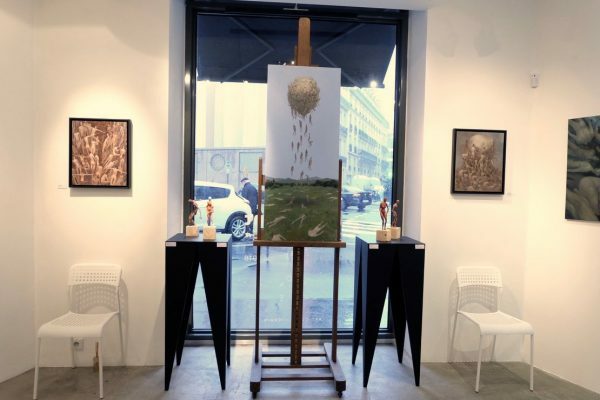 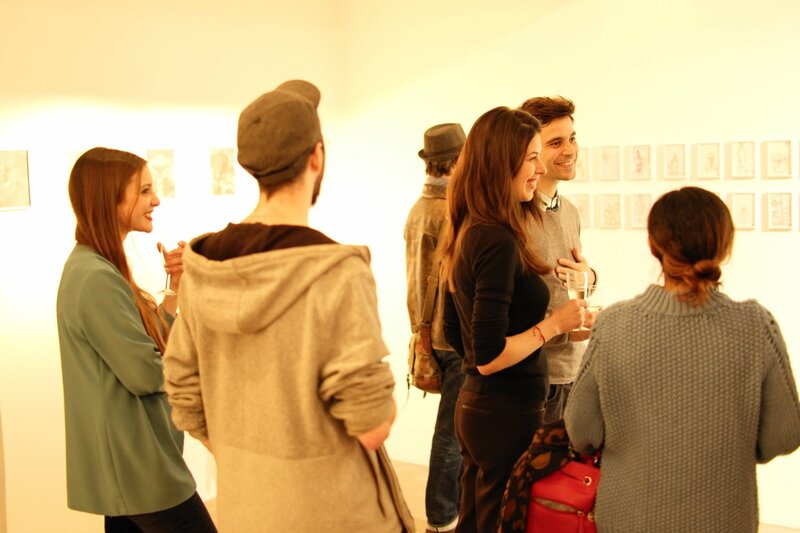 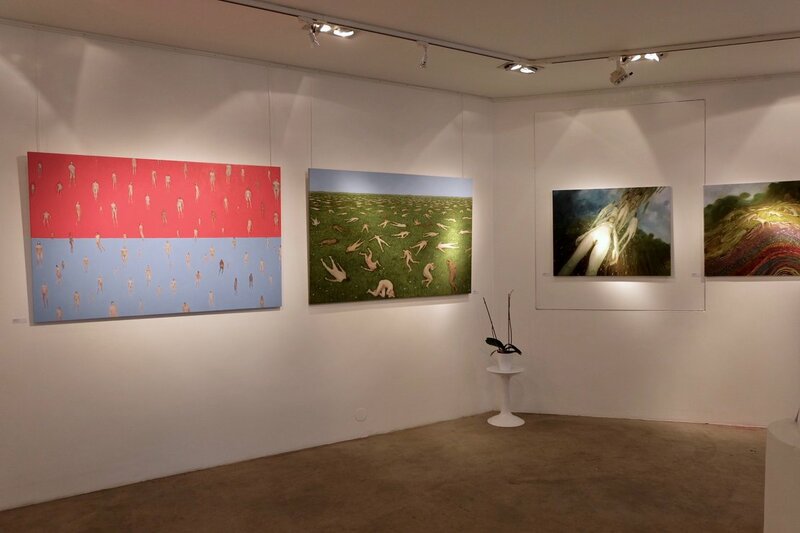 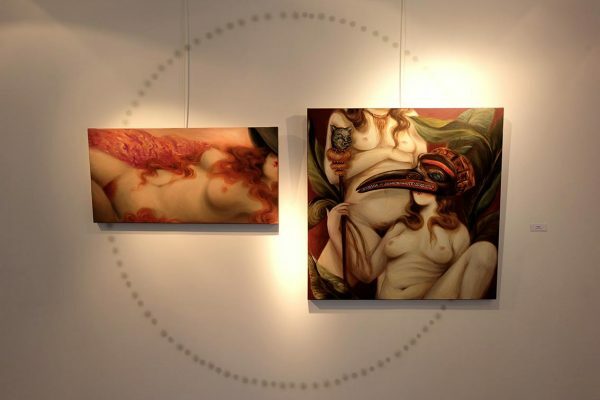 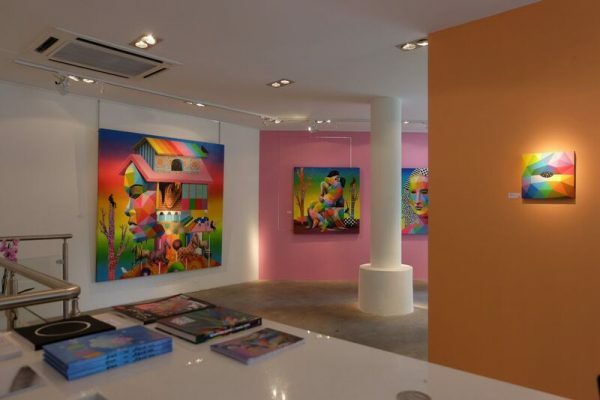 In 2014, the Montana Gallery in Barcelona offered his first solo exhibition. 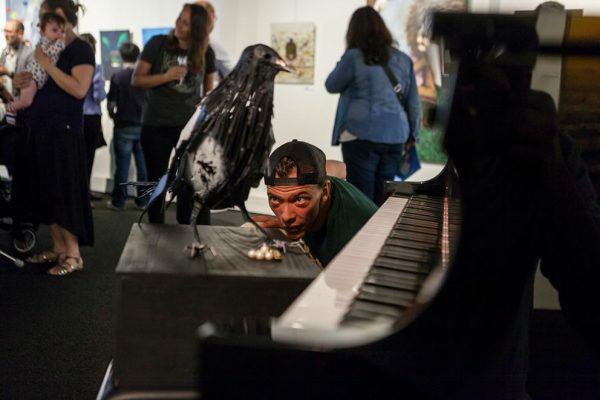 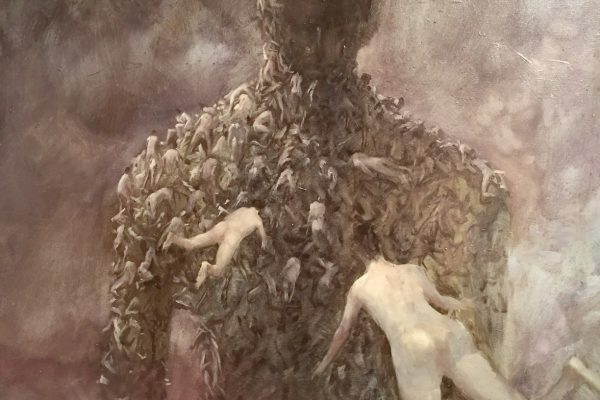 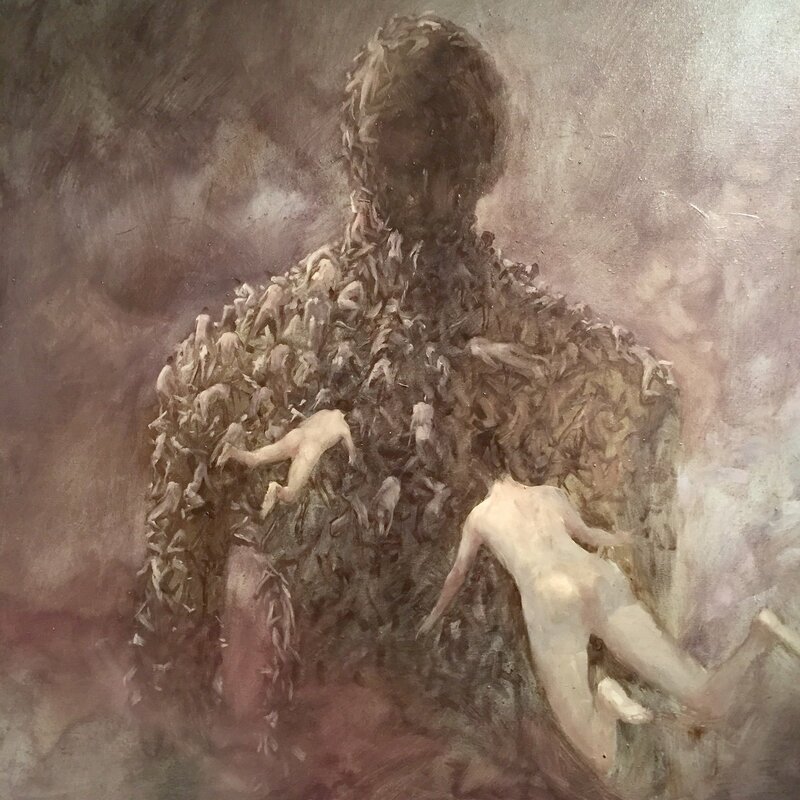 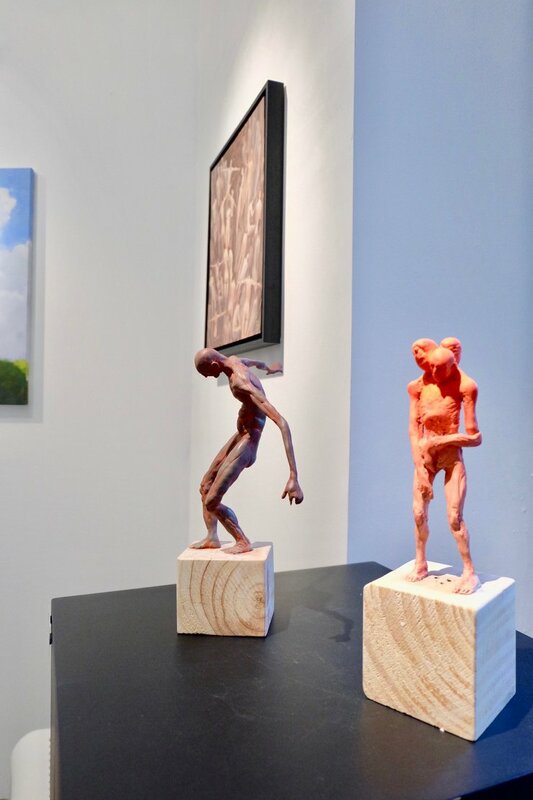 With the help of his wife and his artist friends, he began a production of artwork, in which he started a creative liberation, trying to step out of the grotesque style. 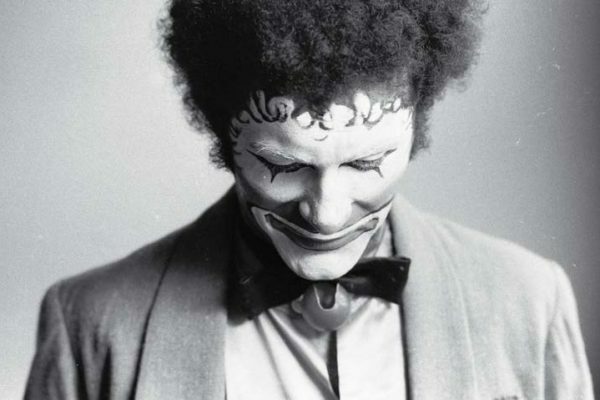 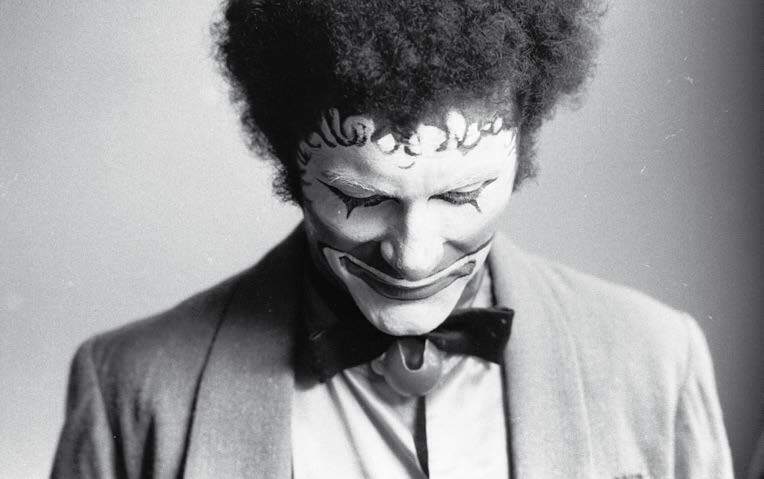 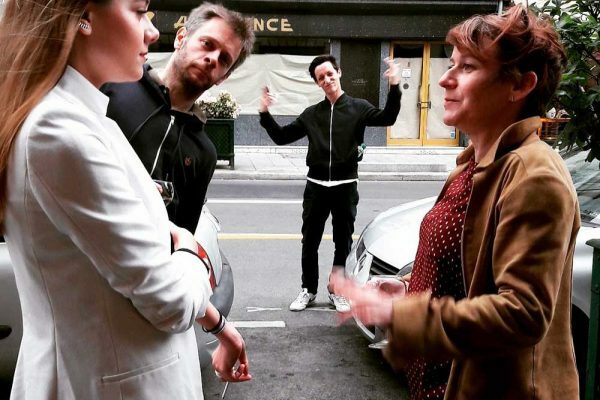 This is when he developed two new approaches to his work: one is focused on the creation of characters, and the other one is about improvising. 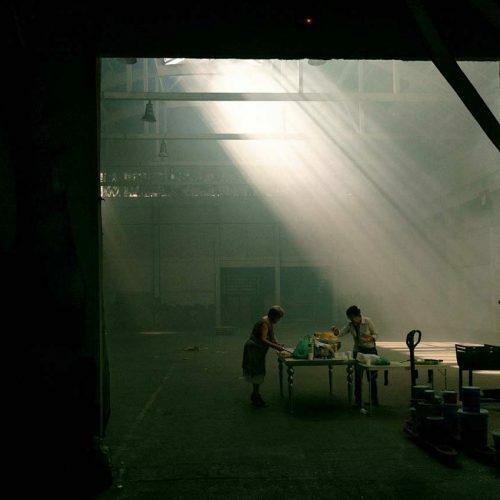 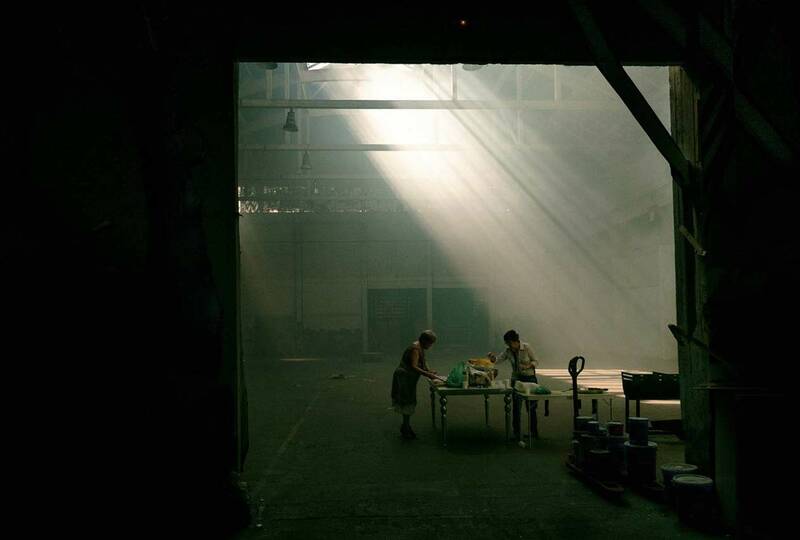 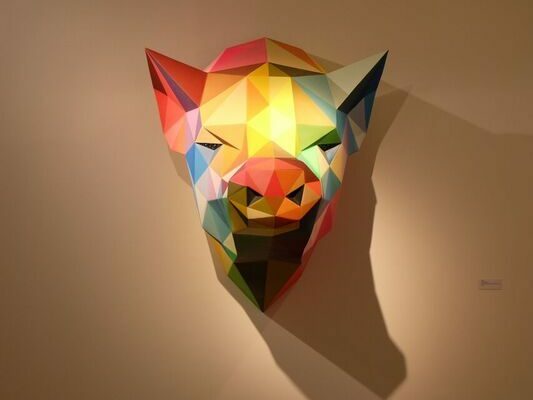 Dominating the act of painting, he plays with light; a recurring theme in his art. 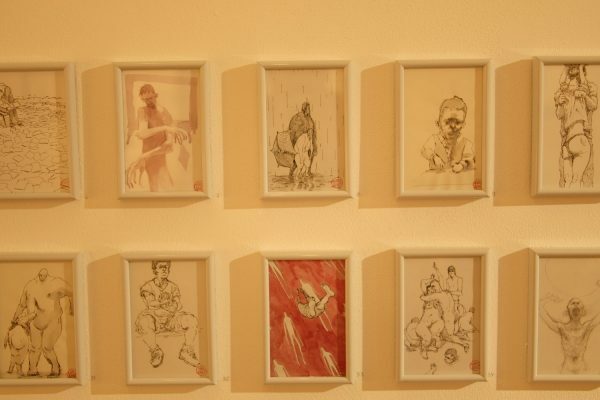 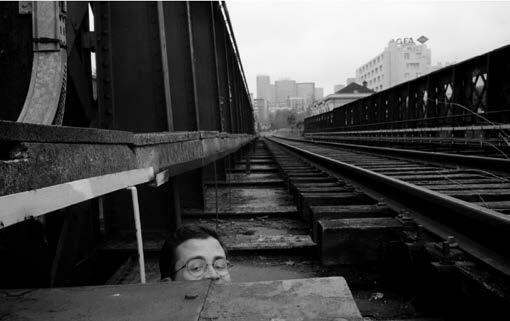 Sometimes disturbing, but especially intriguing, Enric Sant seeks to question our condition as human beings. His incisive style, as well as disciplined, reveals incessantly, in each of his works, his own intrinsic motivations. 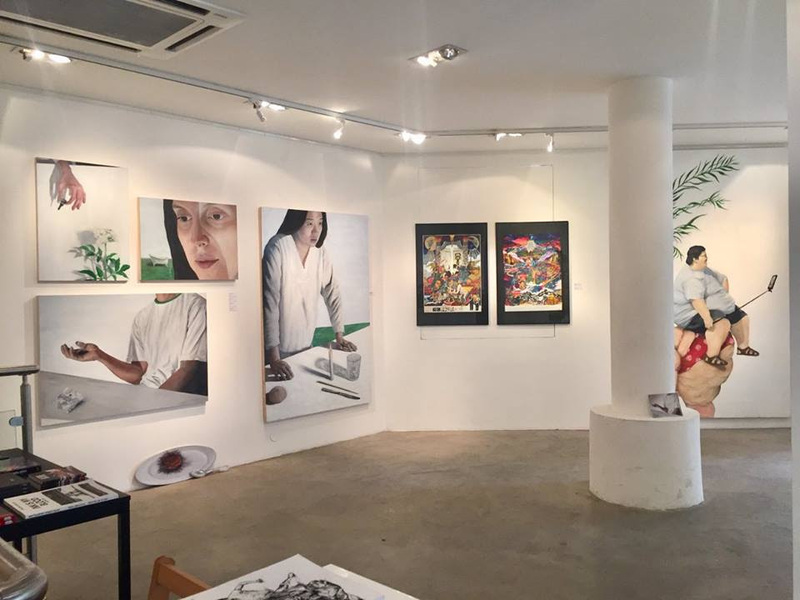 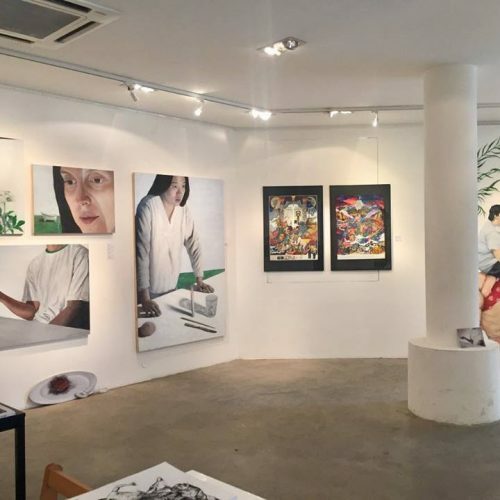 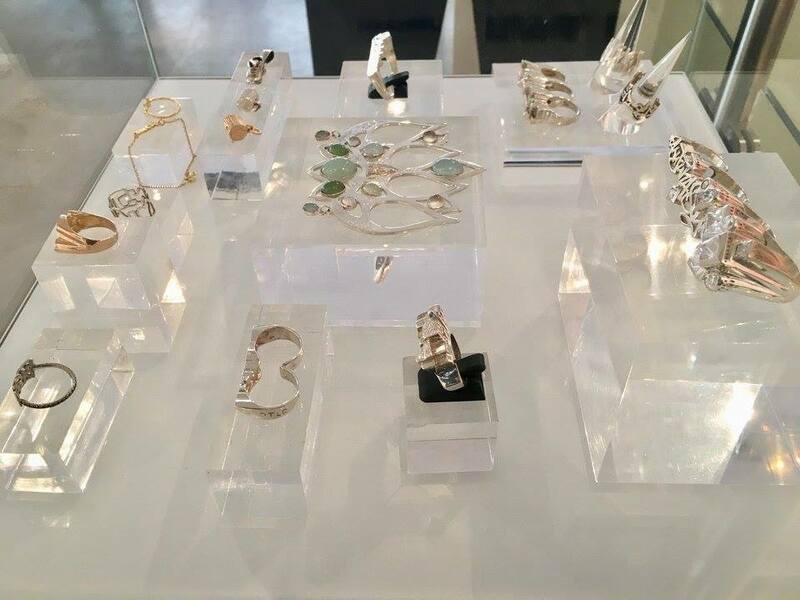 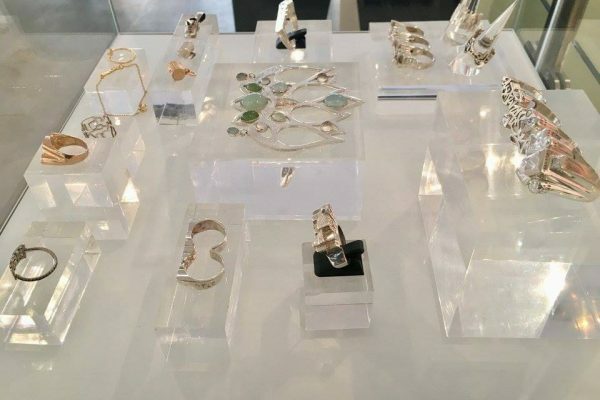 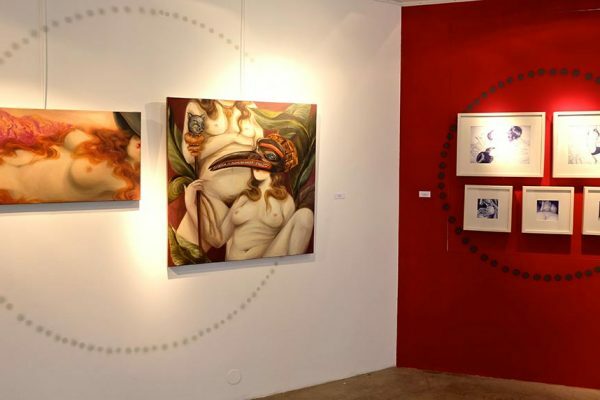 Exhibition from May 12 to June 16, 2018. 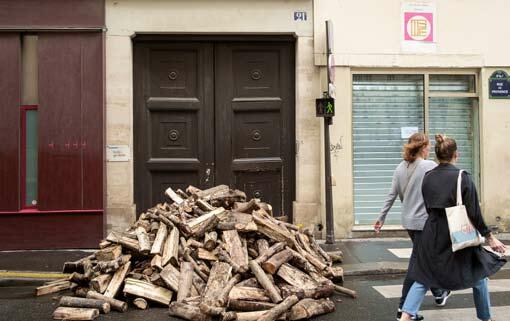 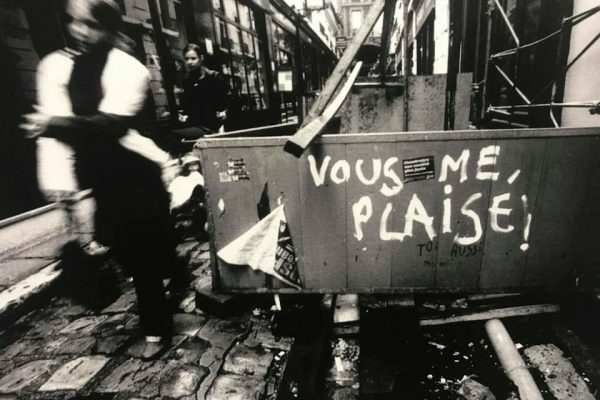 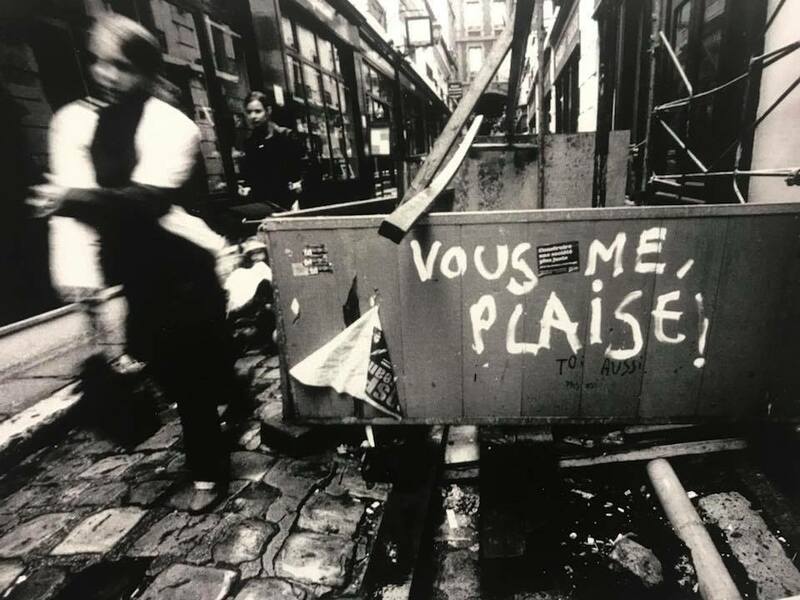 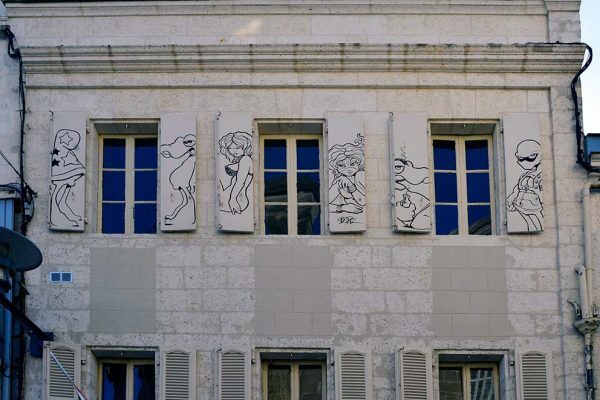 While Paris is recognized as the cradle of historical graffiti, in the early 1980s, Toulouse also fueled a particularly active scene. 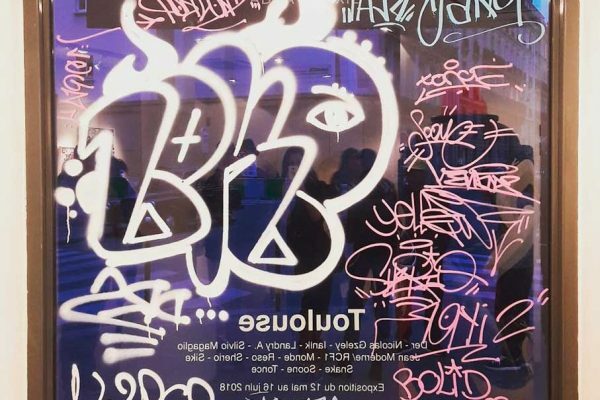 Far from the American referents, the graffiti school of Toulouse quickly distinguished itself and installed its own writing style in a relevant and recurrent manner. 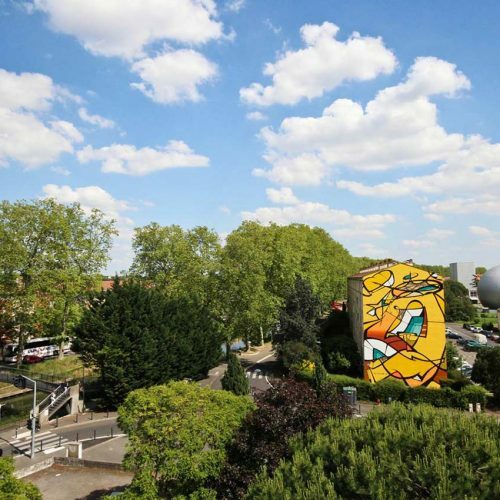 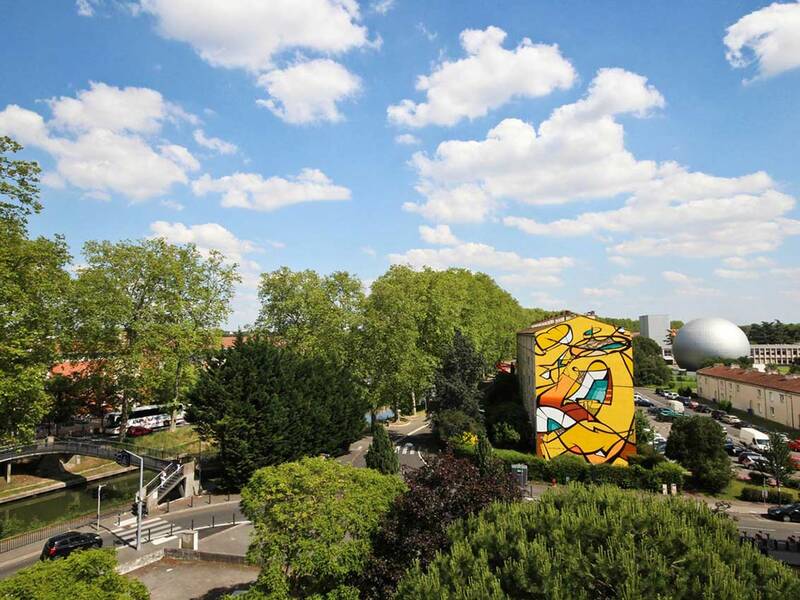 Still today, around its “Old School” artists, Toulouse is an important scene of European graffiti, which continues with the younger generations offering innovative artistic and plastic fields. 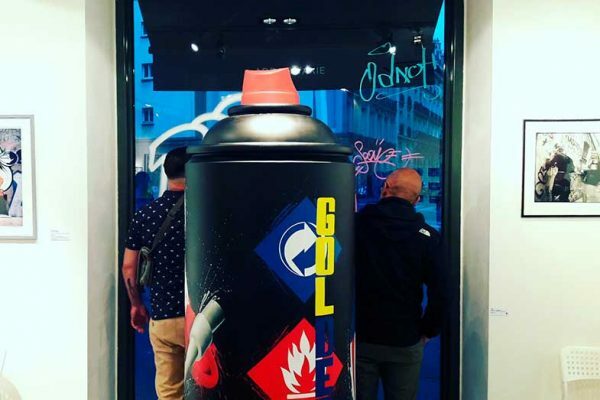 ADDA&TAXIE brings together in Paris Old School and New School around this exhibition “Toulouse” that shows the plastic advances of contemporary graffiti and the influences in the current scenes. 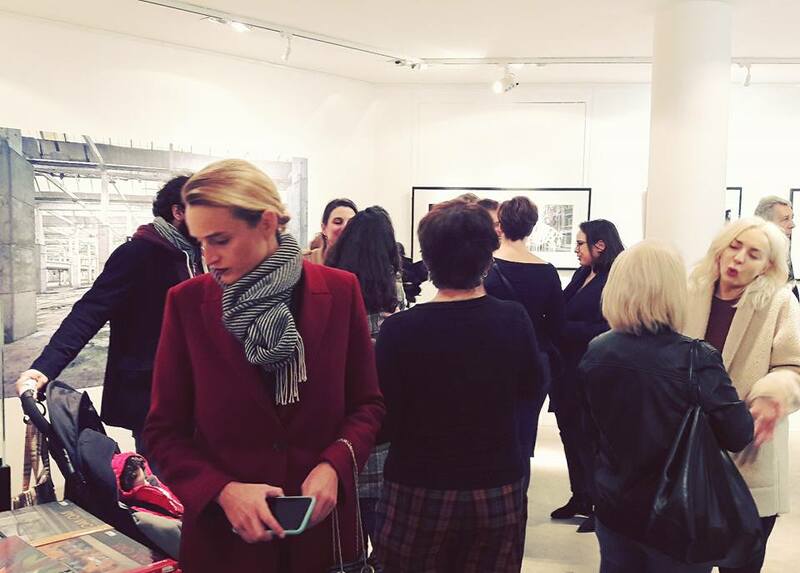 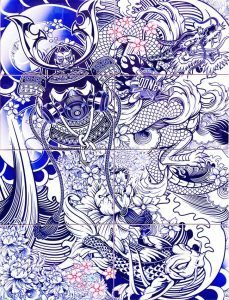 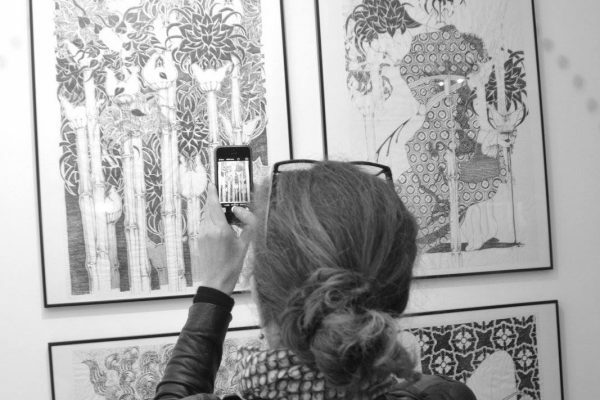 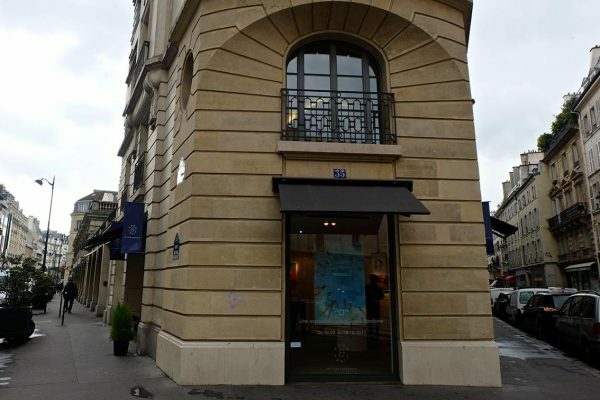 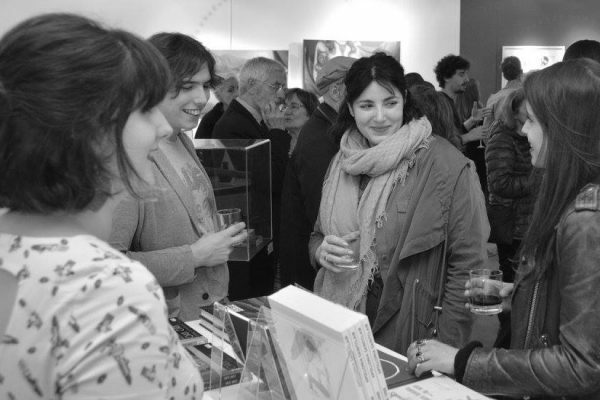 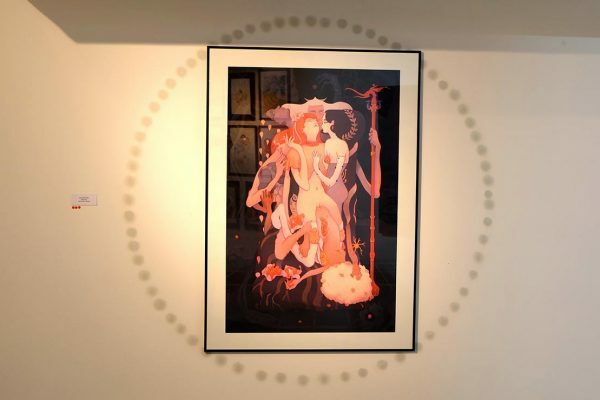 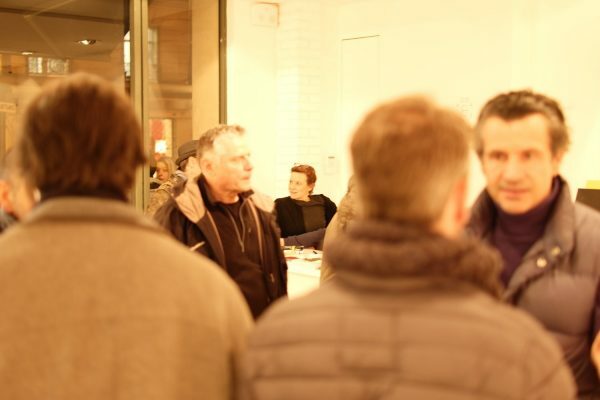 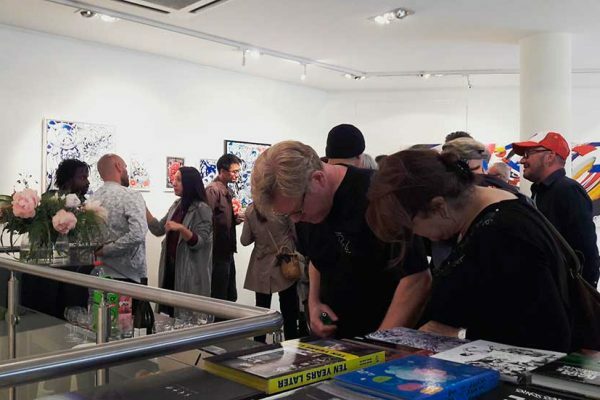 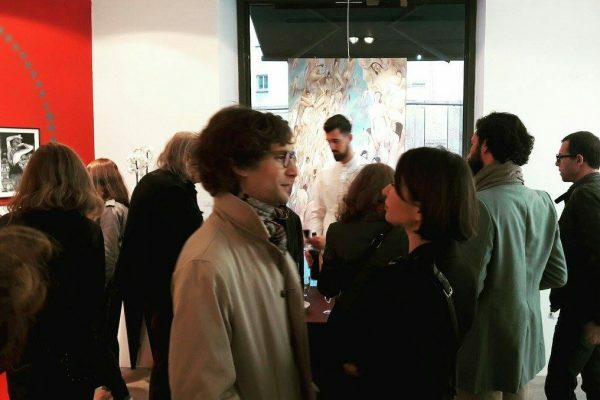 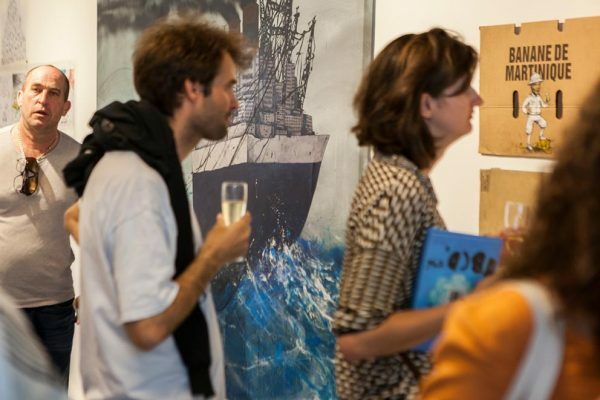 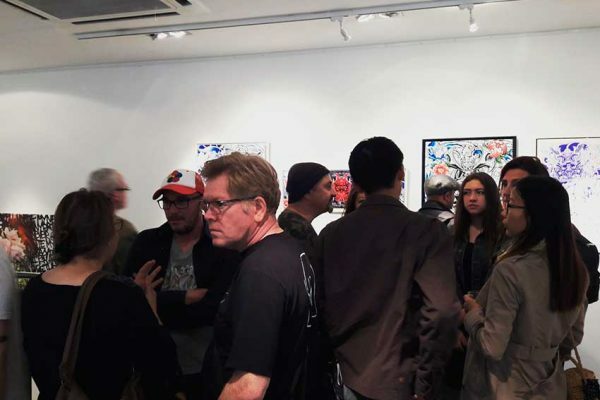 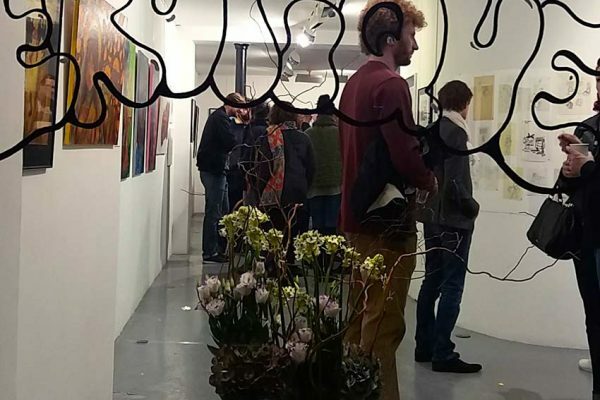 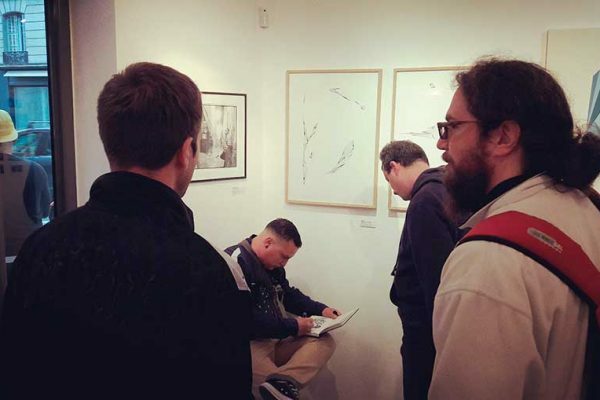 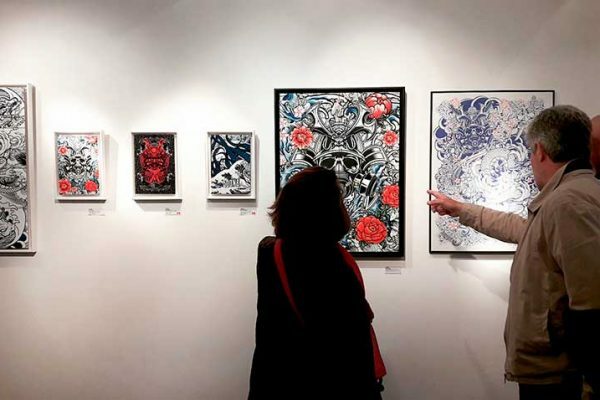 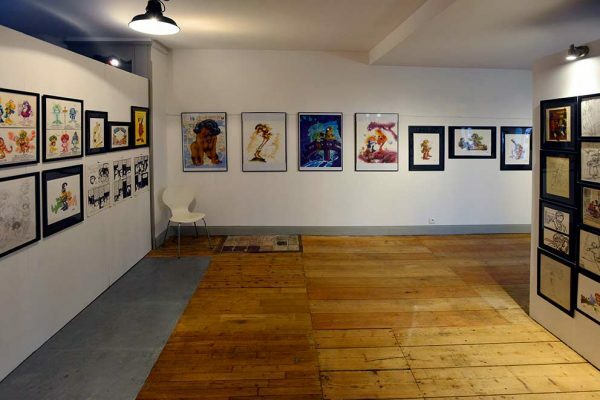 Presentation of works, serigraphs, photographs. 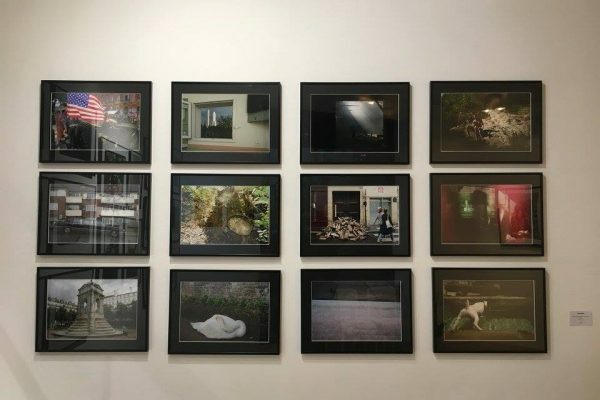 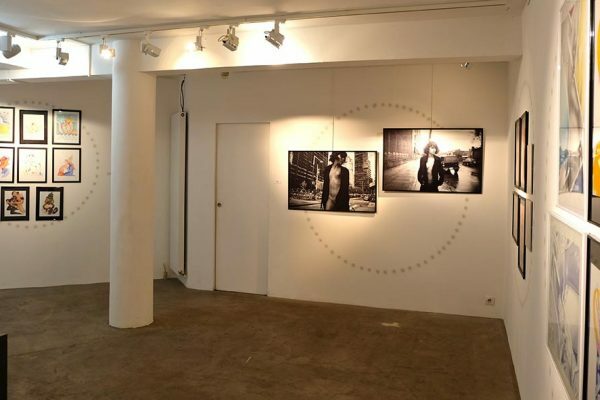 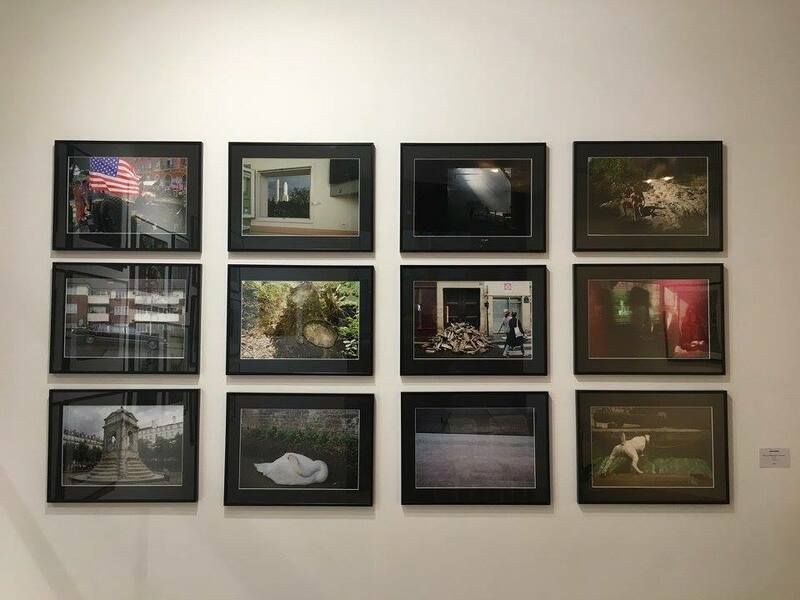 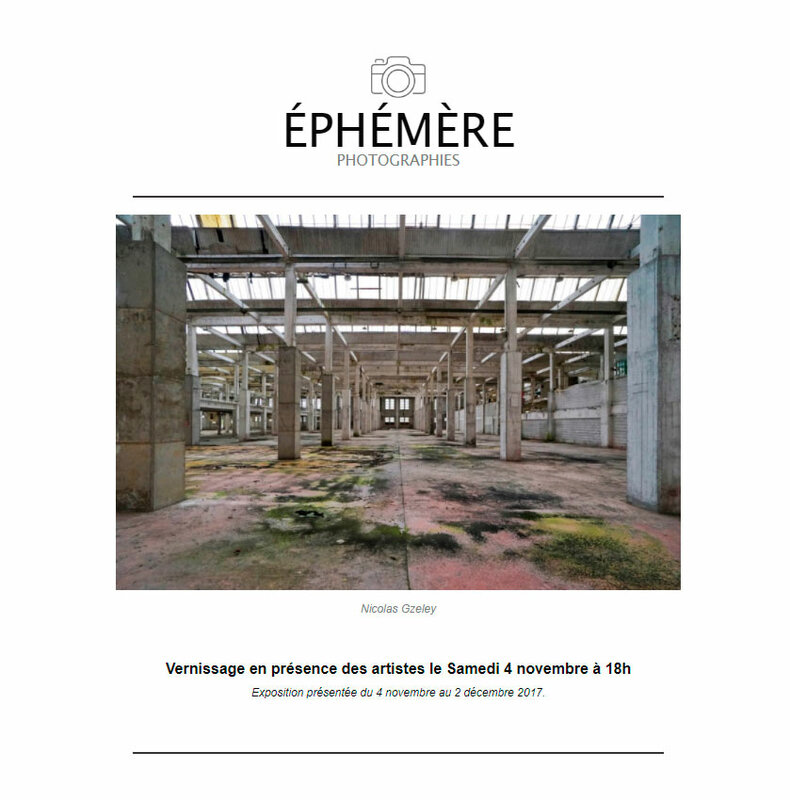 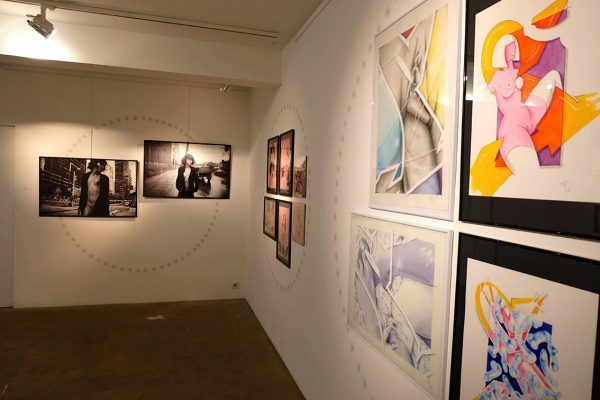 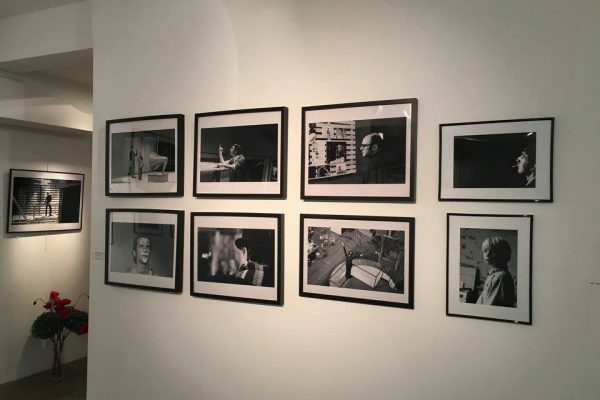 About the subject of the ephemeral, 7 photographers; from different perspectives, reveal their visions and daily lives. 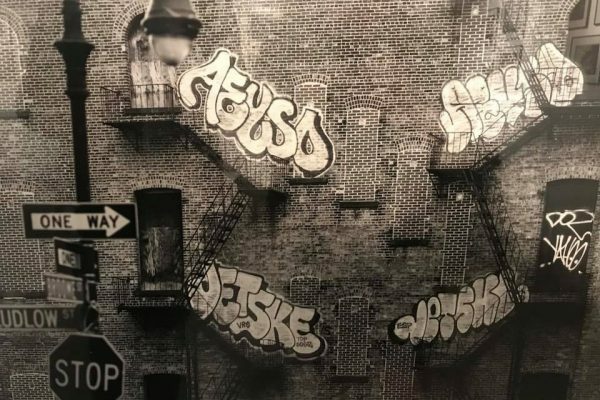 From graffiti, contemporary photography, black, color, portraiture, landscape, from stage to stage, they take us in the only way photography can make perennial: the stealth. 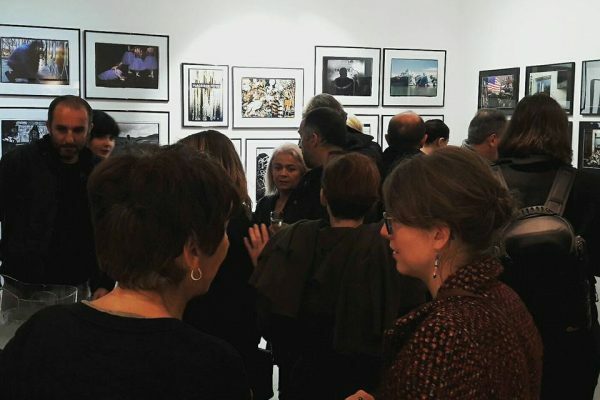 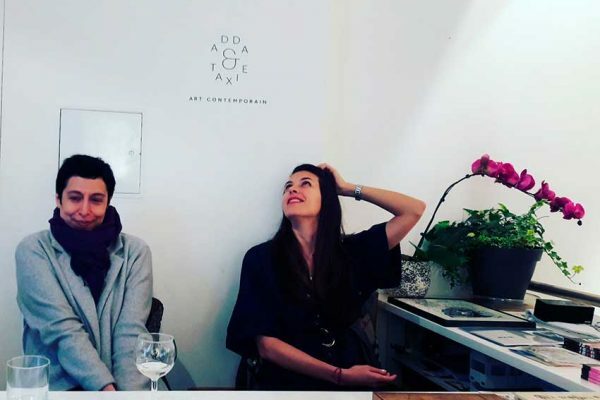 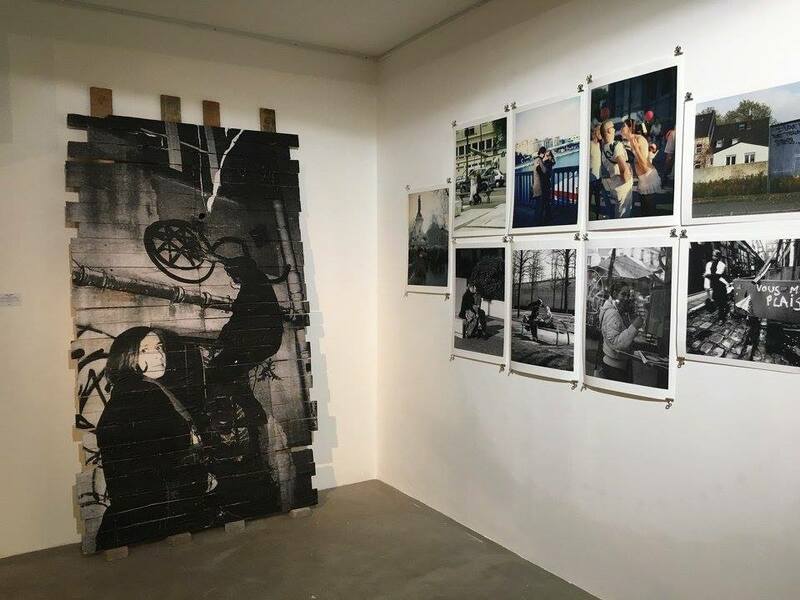 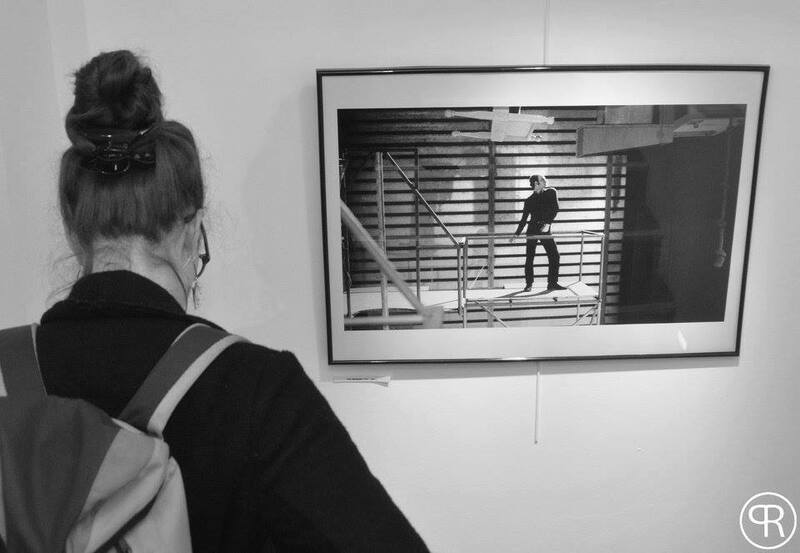 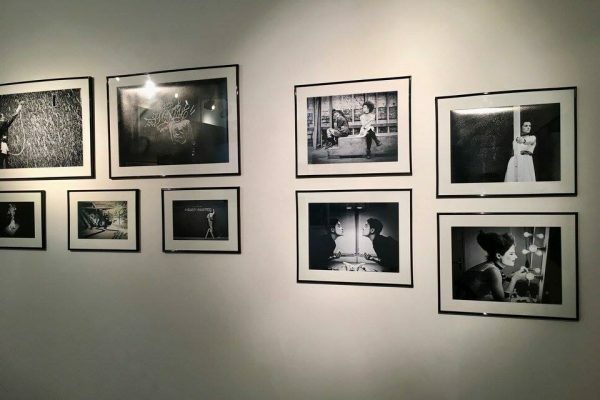 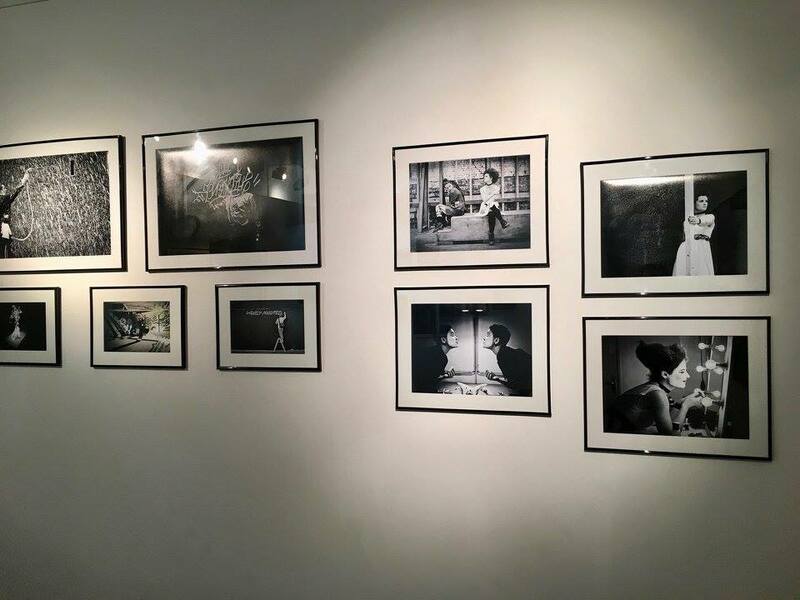 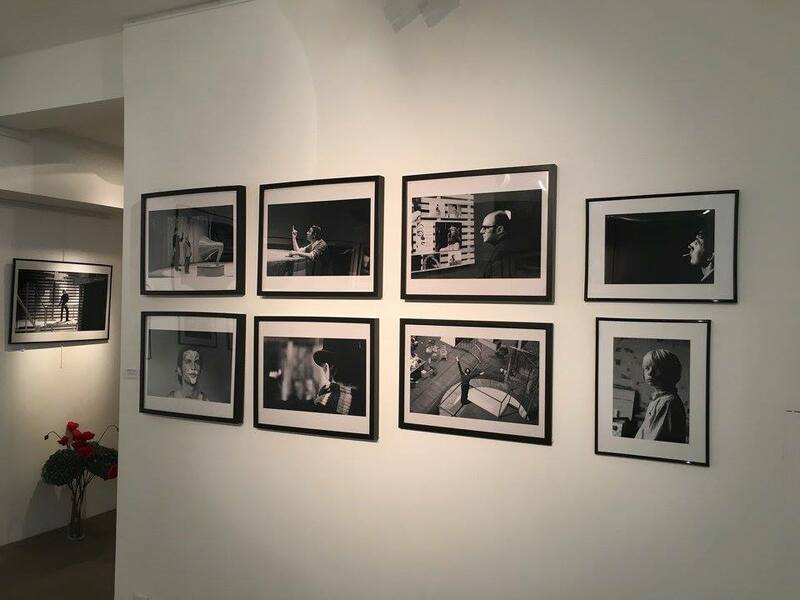 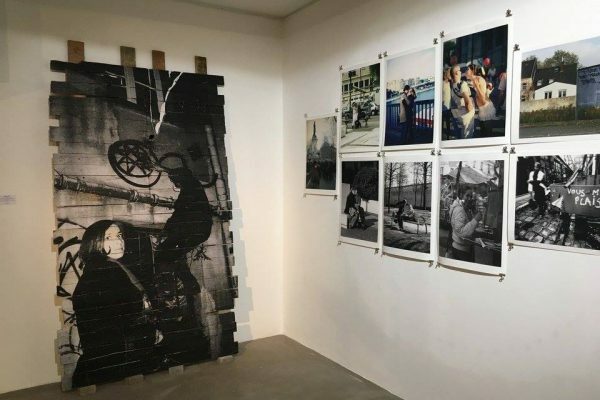 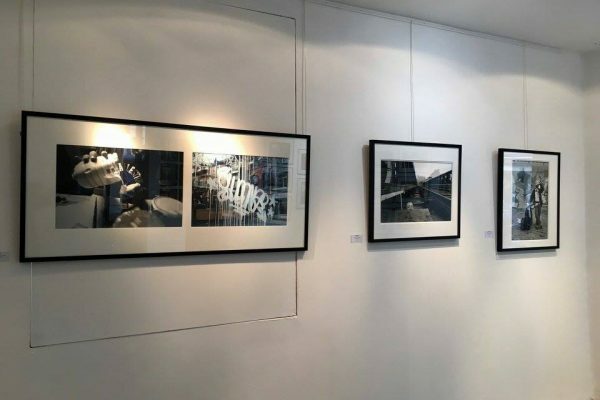 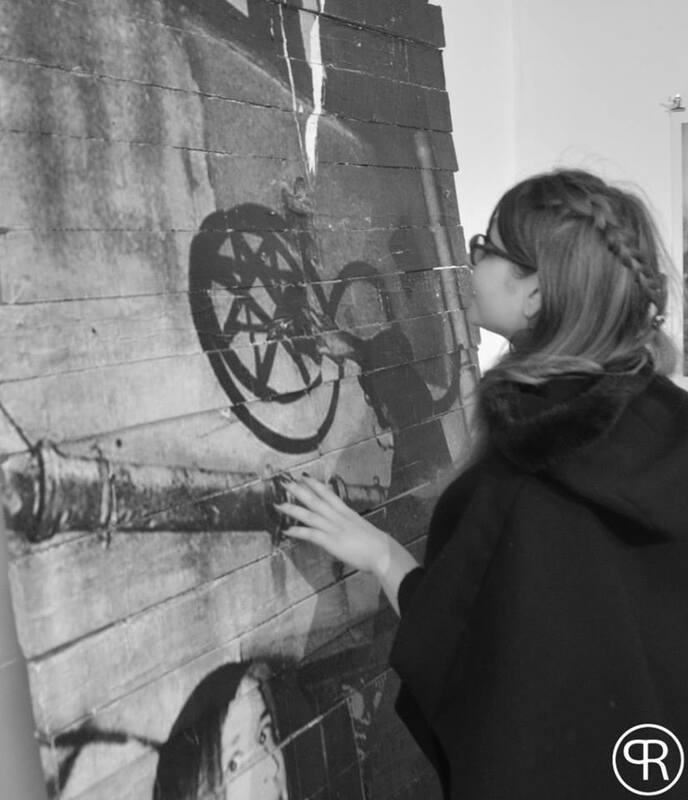 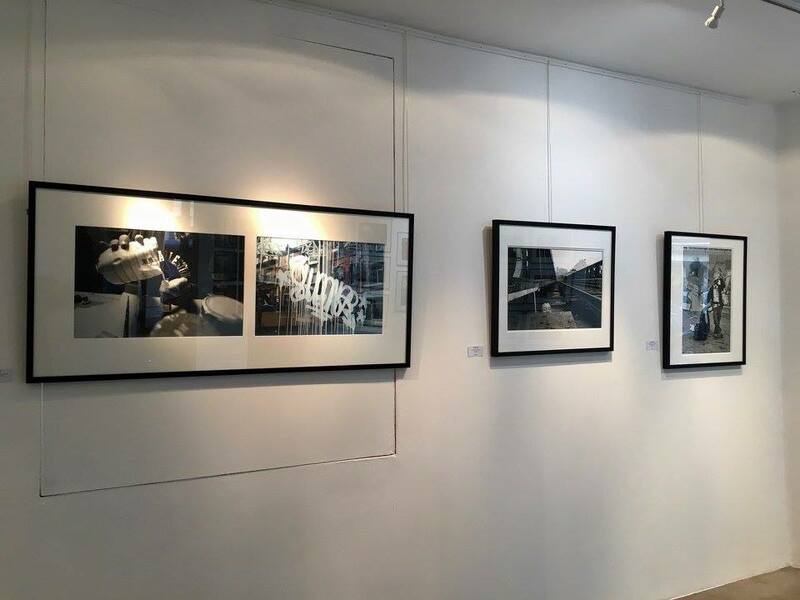 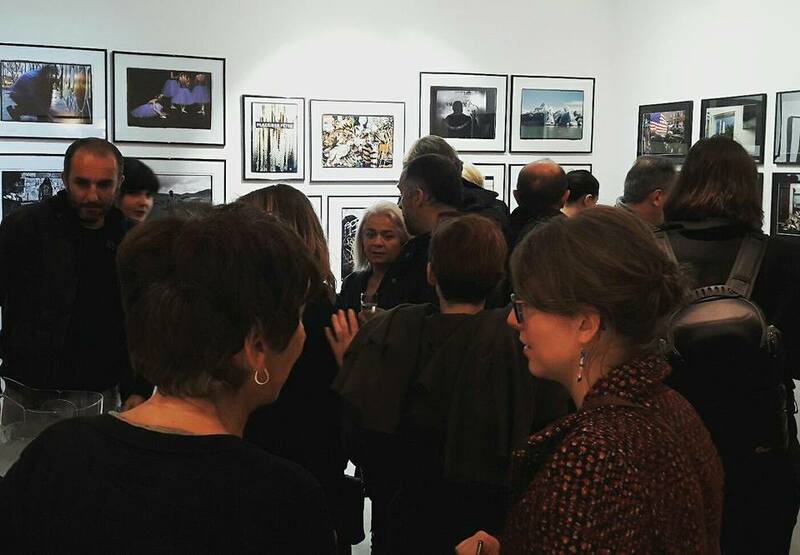 With the context of Paris Photo, ADDA & TAXIE opens its space to contemporary photography and allows to discover these 7 talented artists. 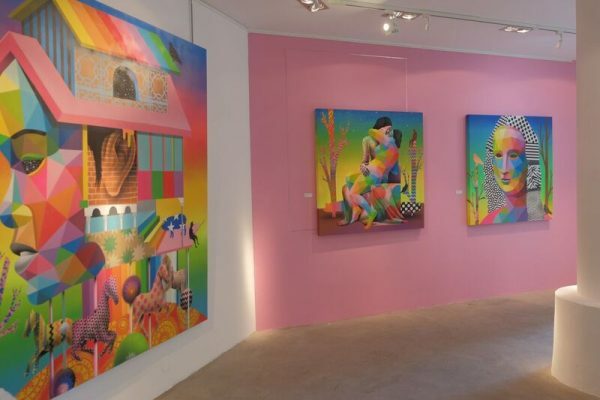 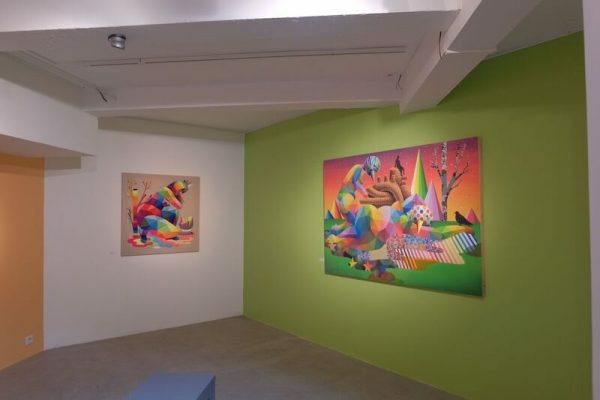 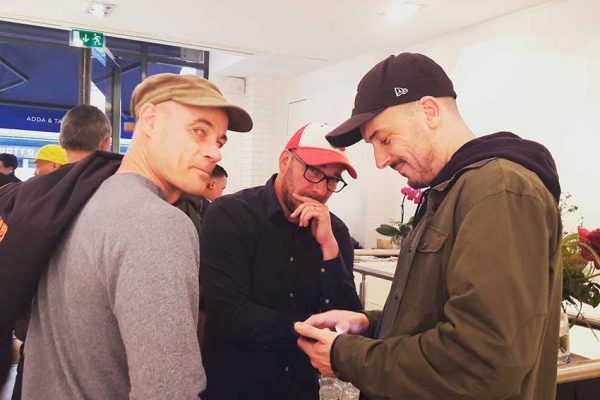 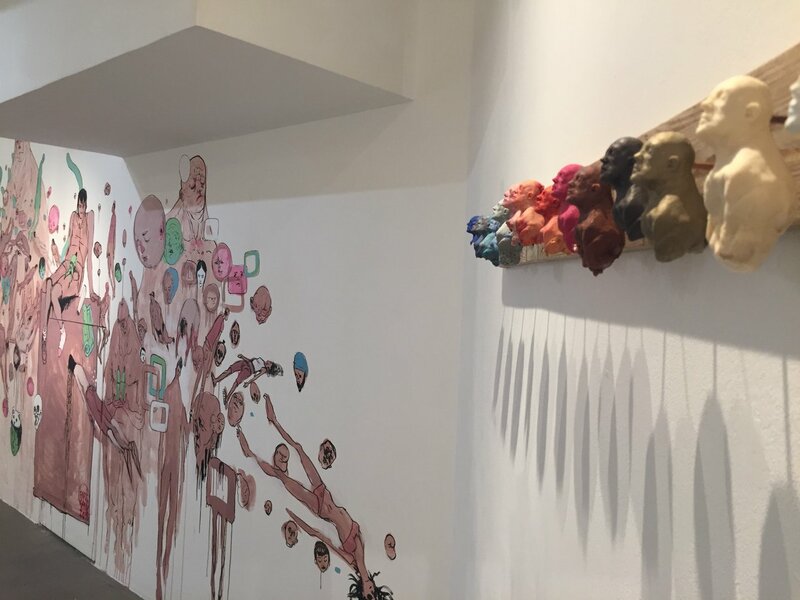 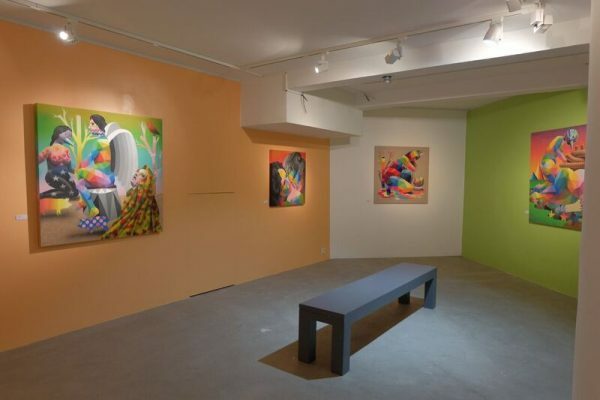 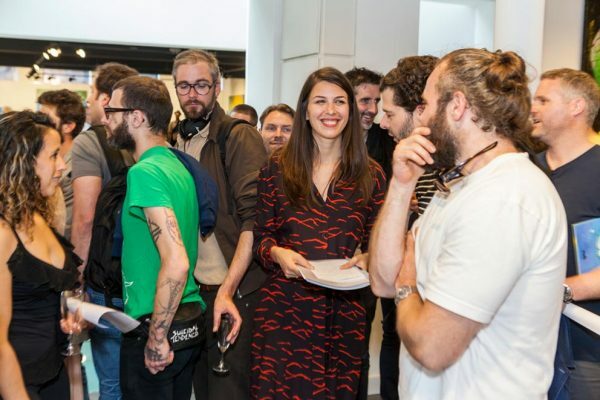 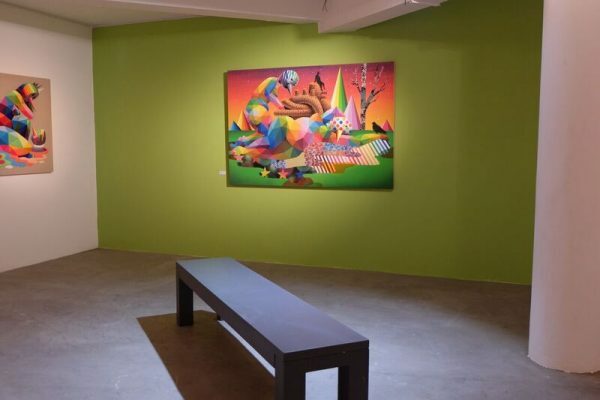 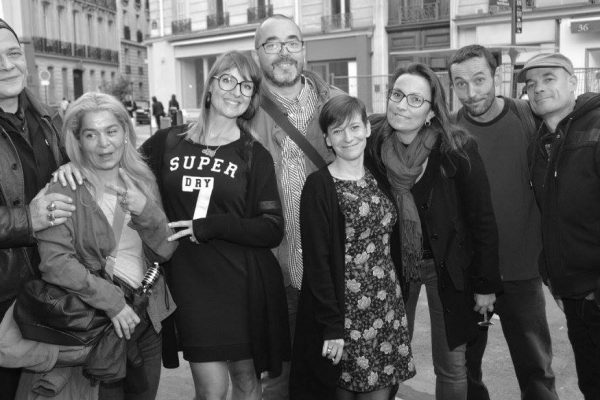 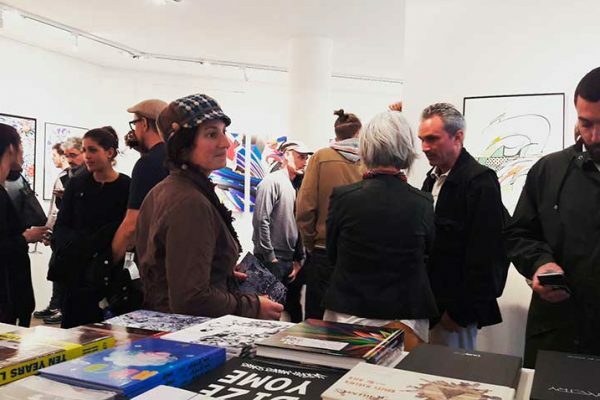 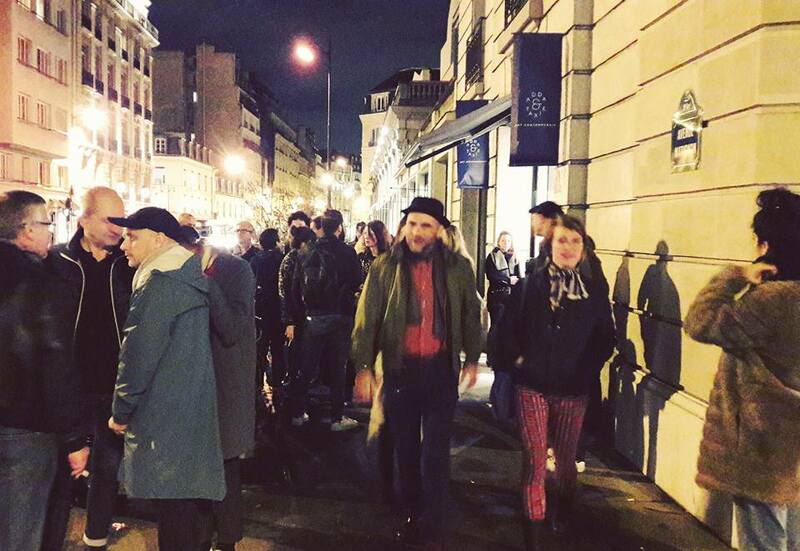 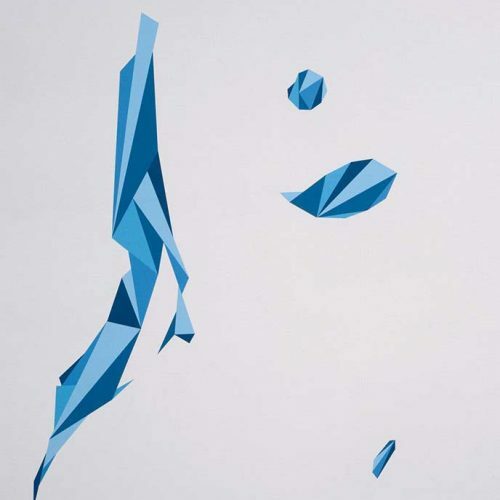 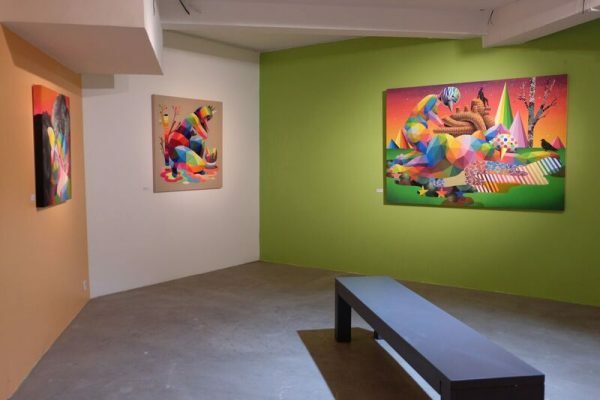 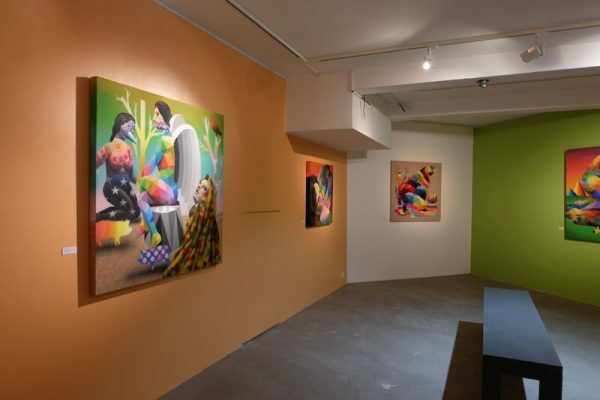 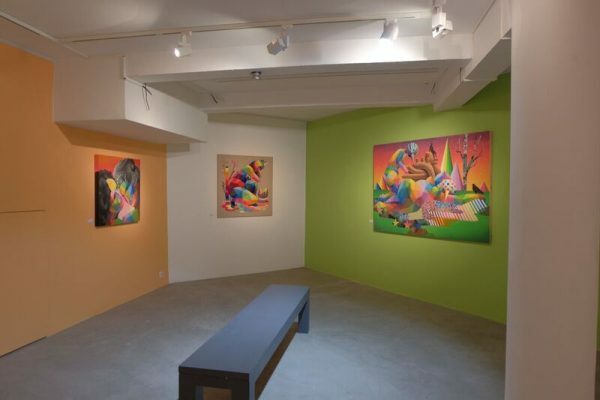 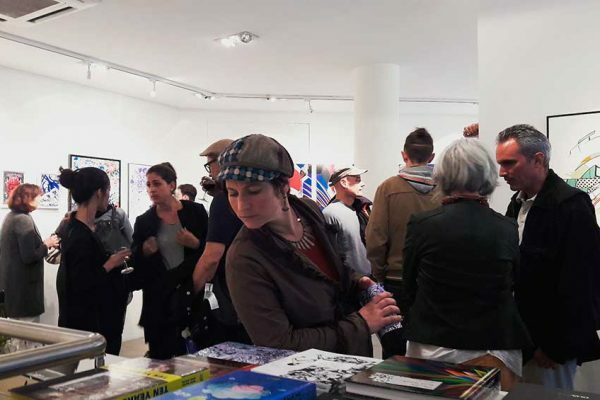 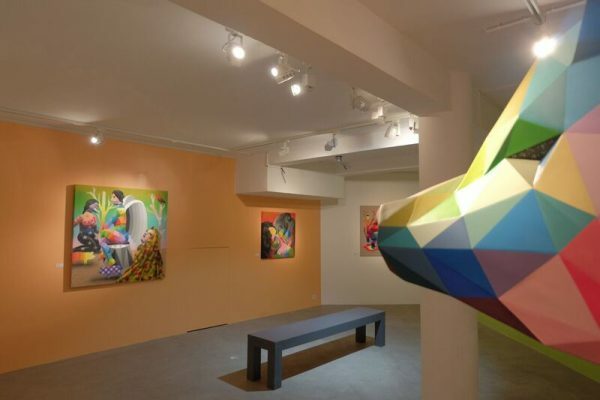 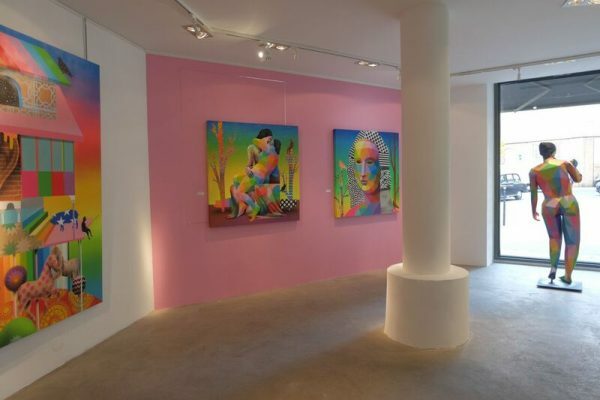 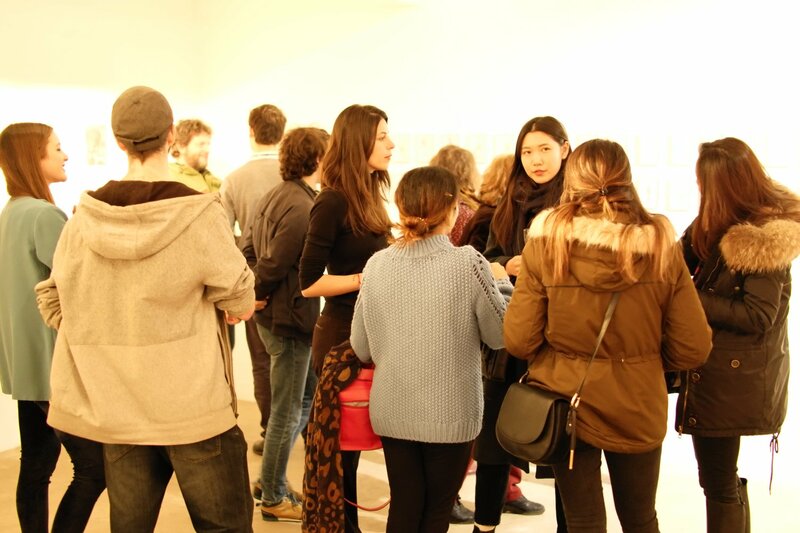 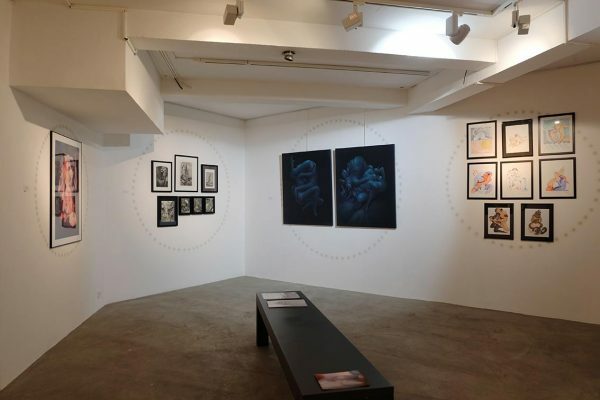 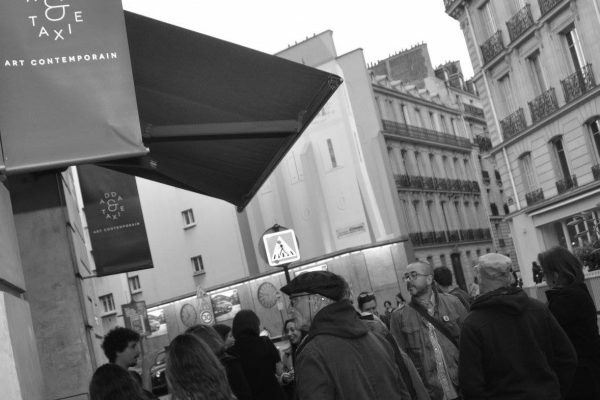 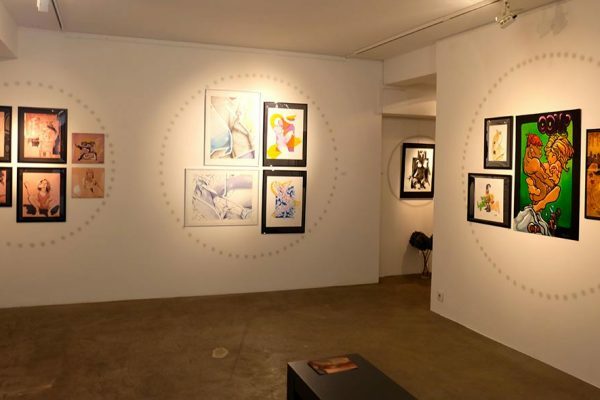 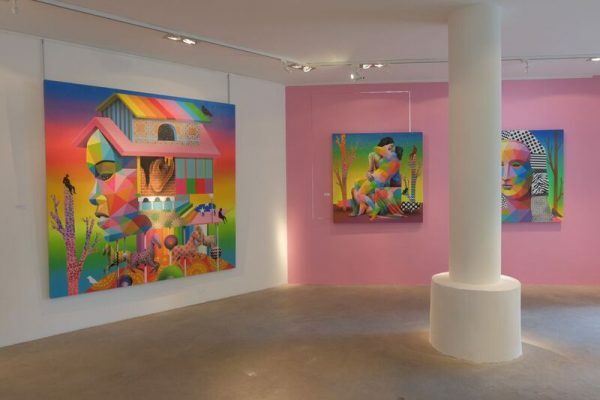 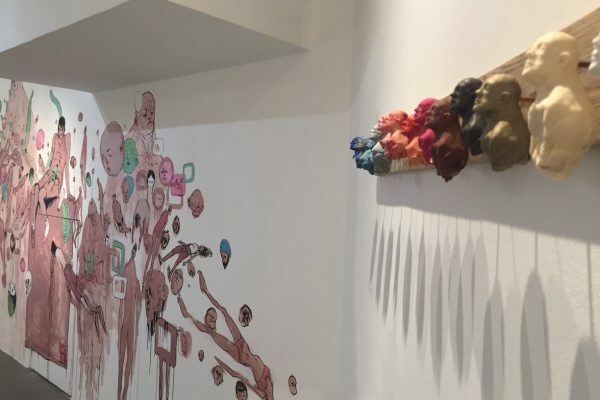 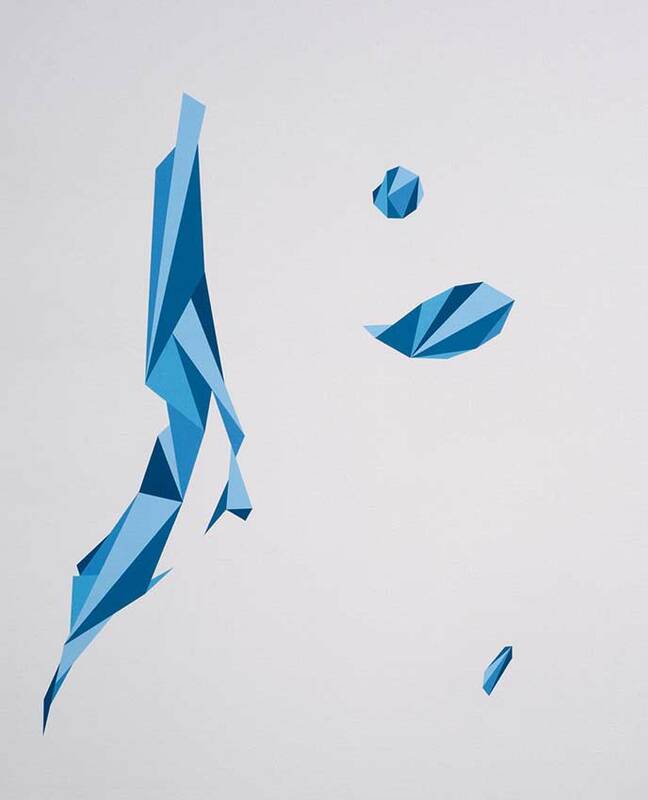 A monographic and the first Parisian exhibition of Spanish artist OKUDA SAN MIGUEL, with whom Anna Dimitrova has been working with for many years, and Valériane Mondot presented in Paris in 2004 (Festival Kosmopolite), ADDA & TAXIE opens its doors in Paris and celebrates its birth. 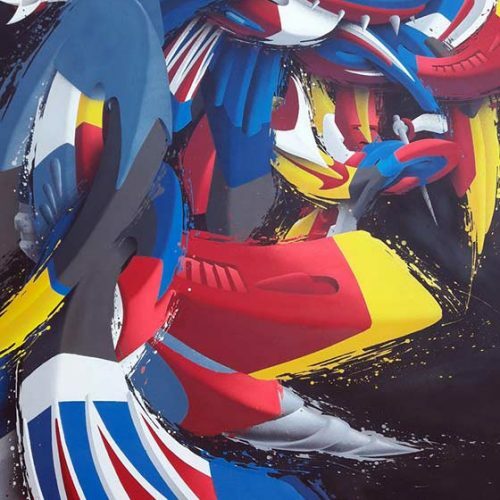 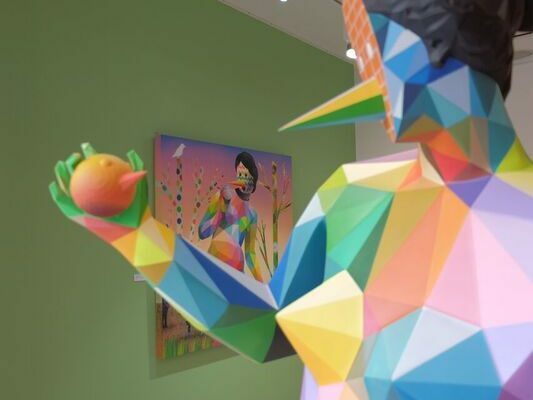 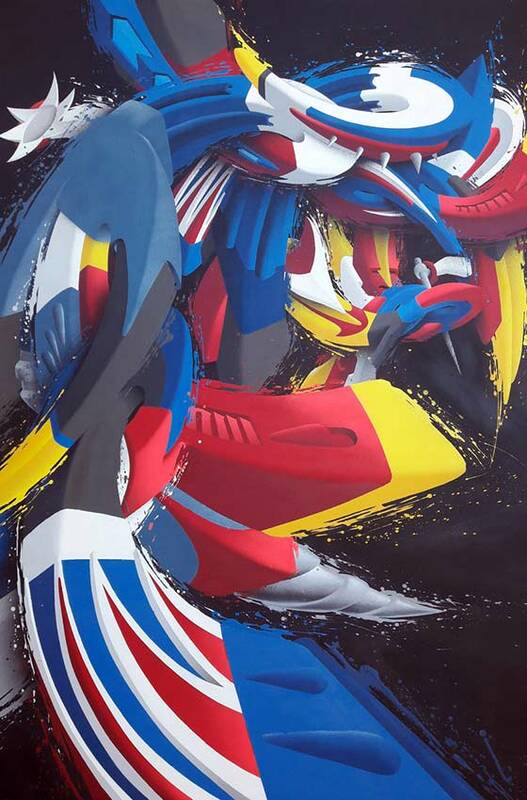 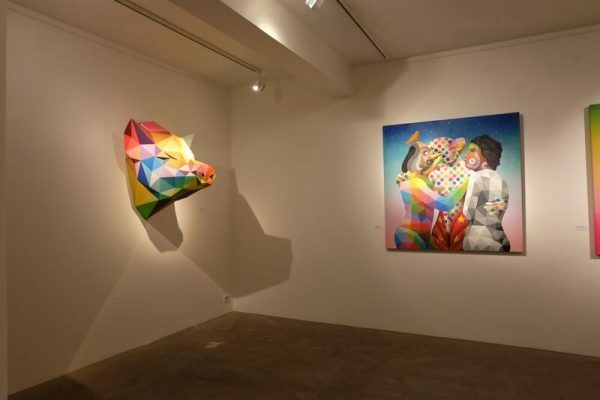 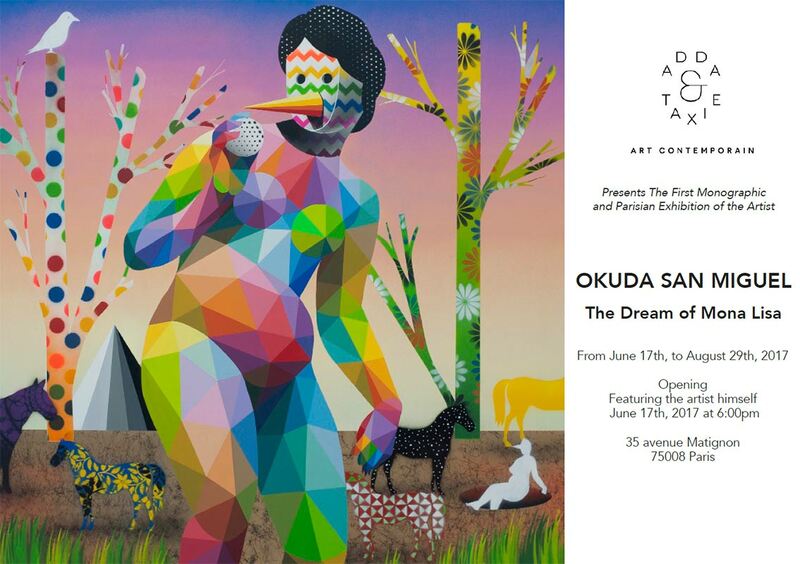 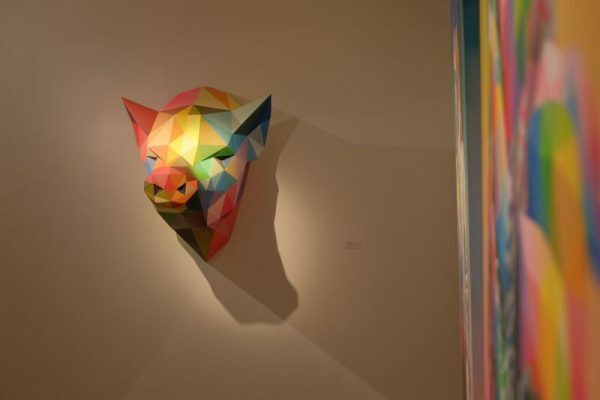 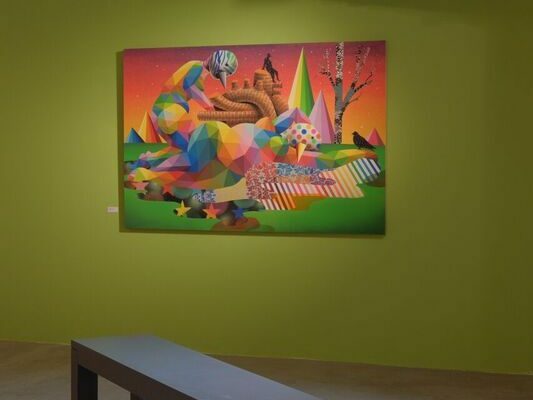 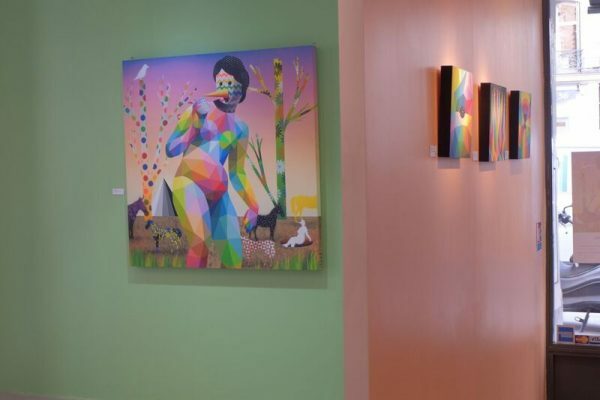 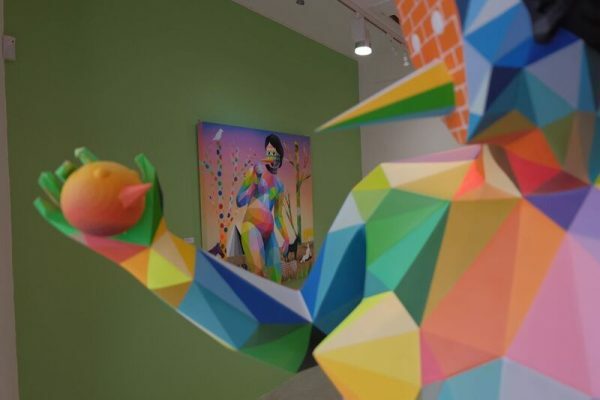 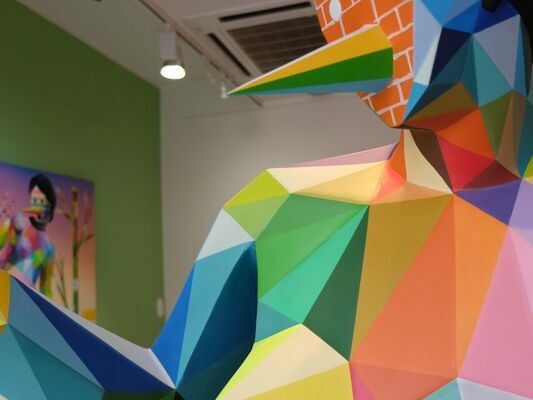 The exhibition will present OKUDA’s latest artwork. 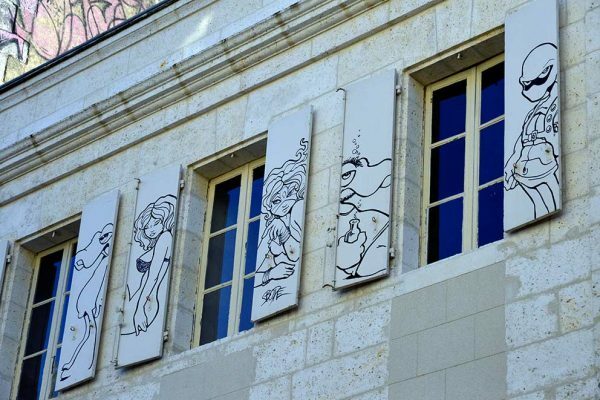 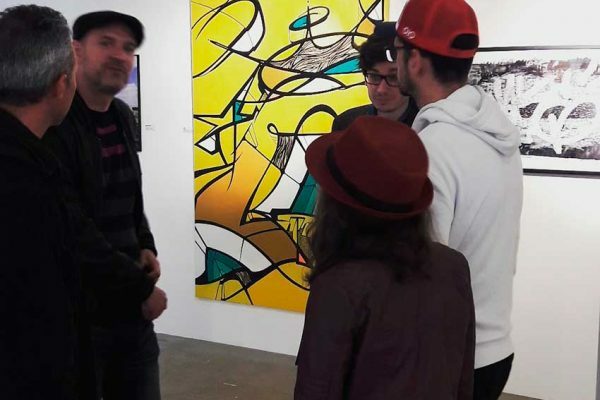 Internationally renowned, his art is part of important collections at many museums in France and abroad, but he has never presented an event like this before, in Paris or La France! 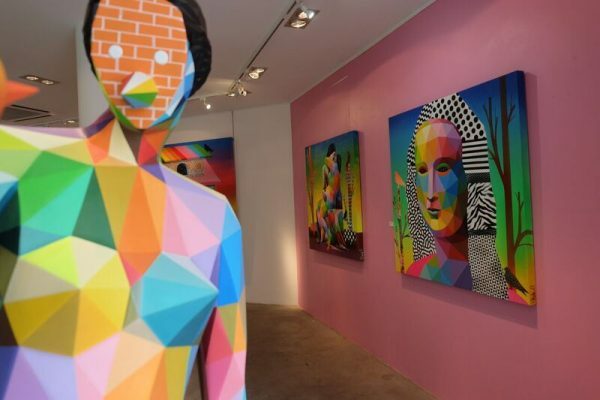 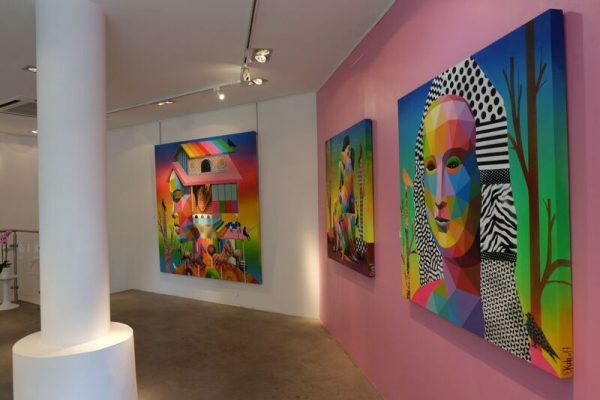 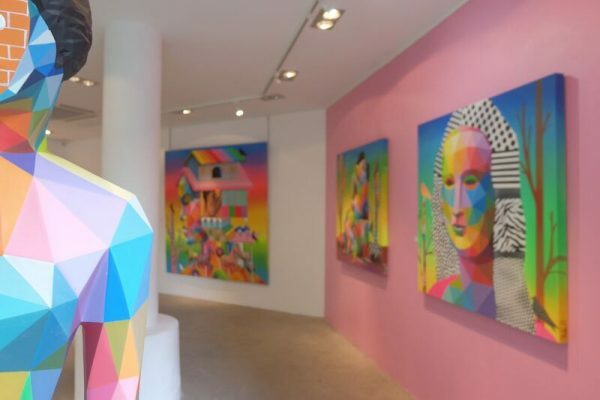 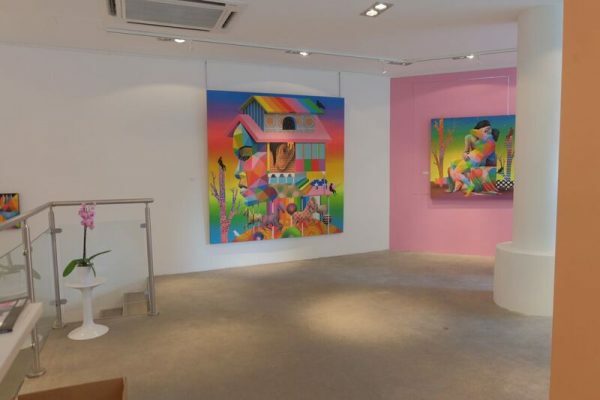 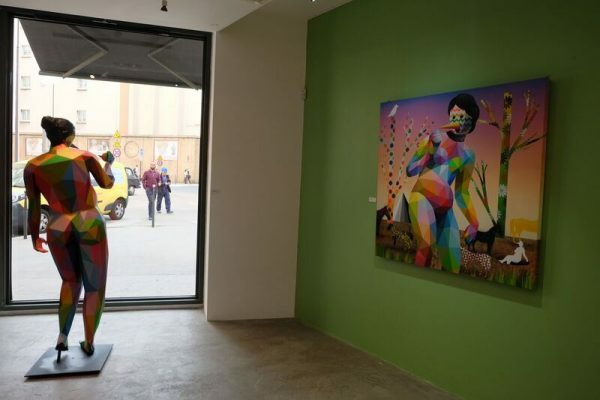 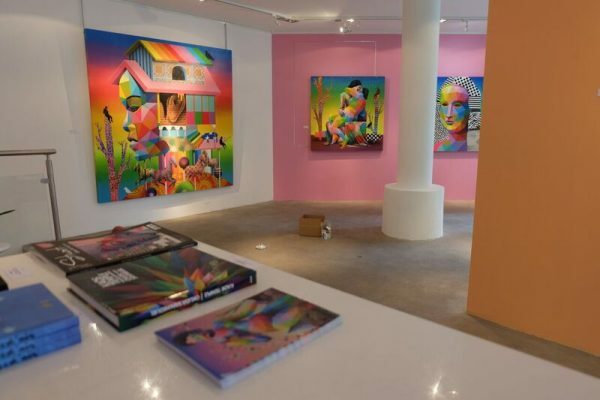 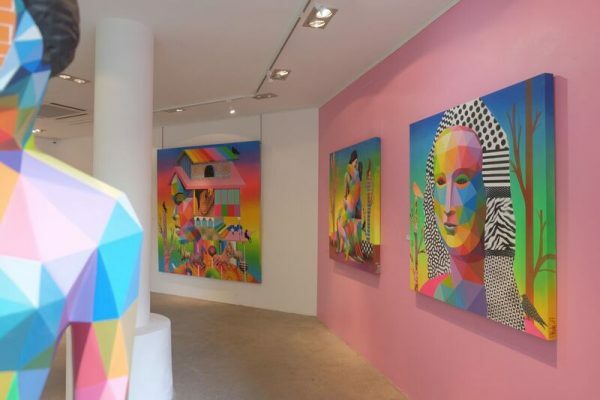 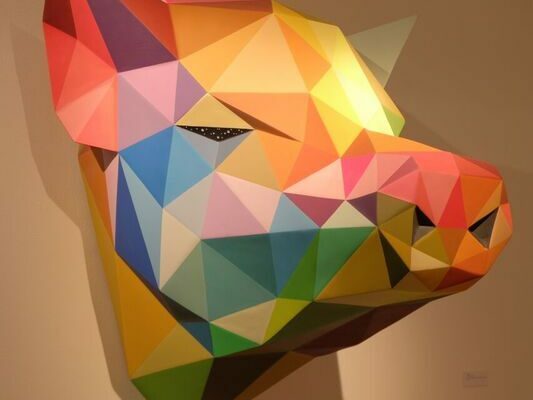 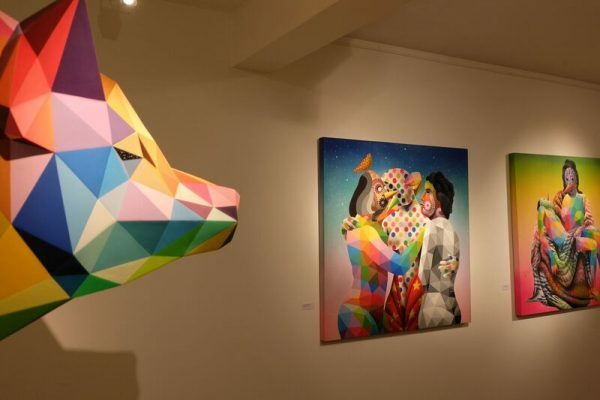 ADDA & TAXIE gallery offers this unique opportunity to discover the full talent of OKUDA, in which he will show his flamboyant colors and skilful geometries to the Parisian art scene. 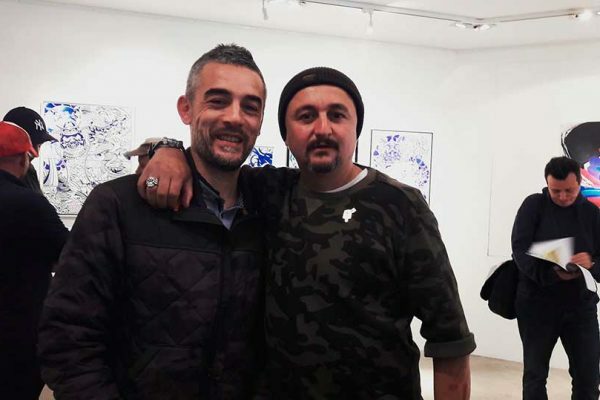 Mark & Vaughn Bodé. 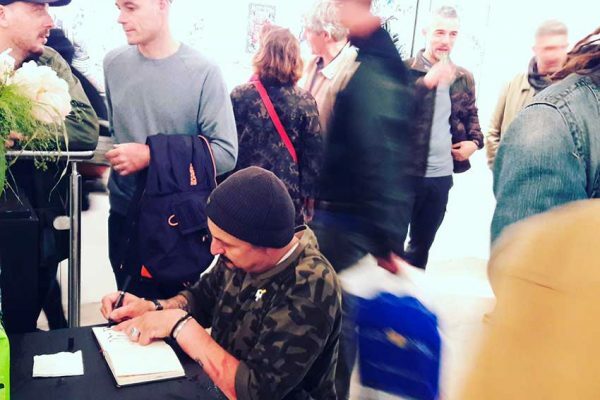 Angouleme 2017. 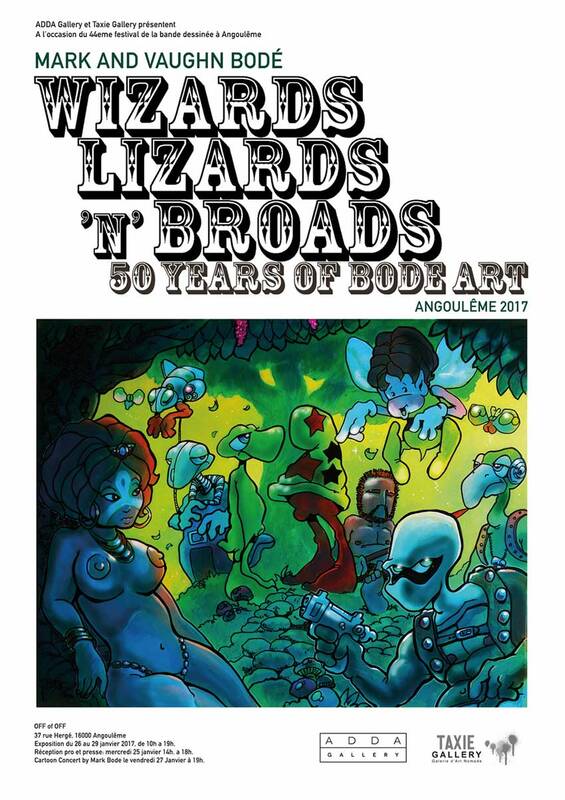 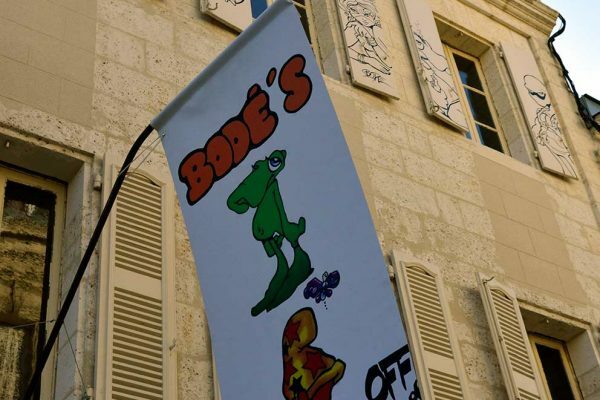 Adda gallery & Taxie gallery are pleased to announce “Wizards, Lizards N’ Broads: 50 Years of Bode Art” by Mark Bodé and Vaughn Bodé for the 44th edition of Festival International de la Bande Dessinée d’Angoulême (France) 2017, widely recognised as the biggest european comic event. 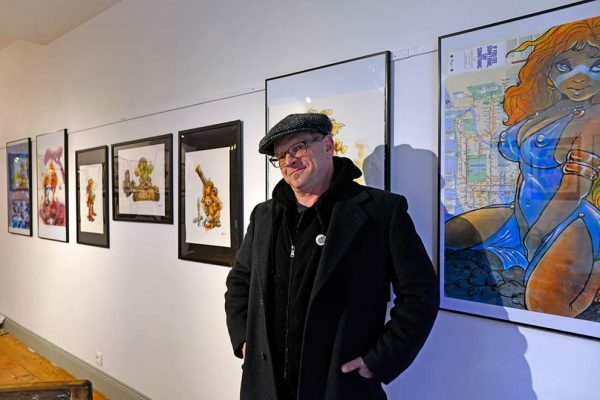 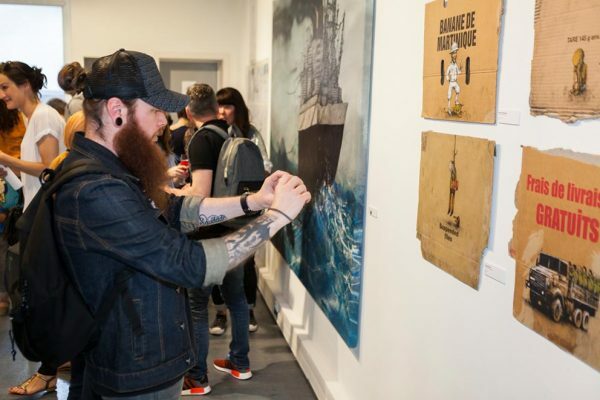 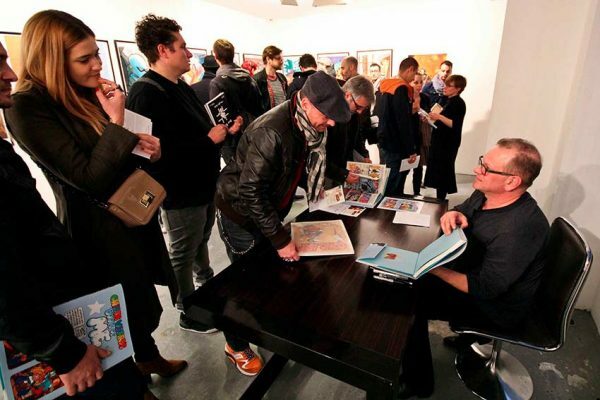 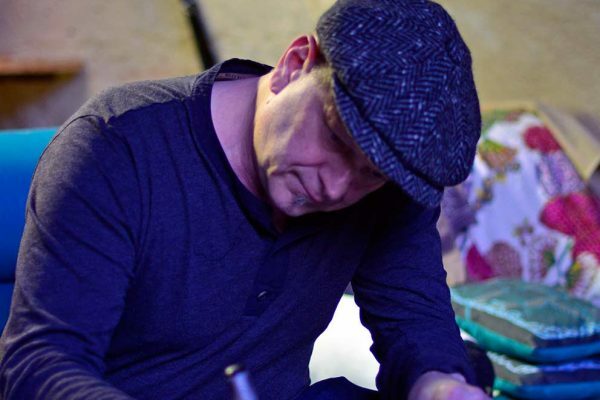 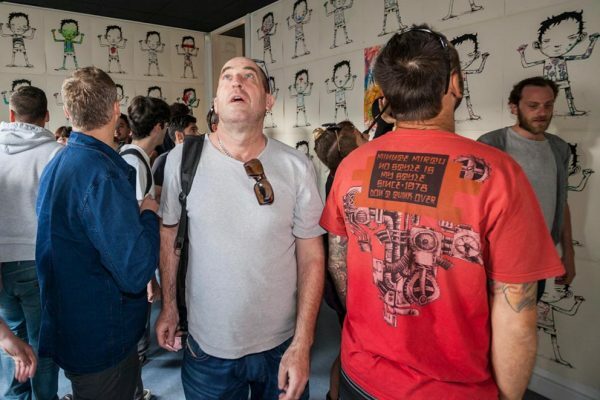 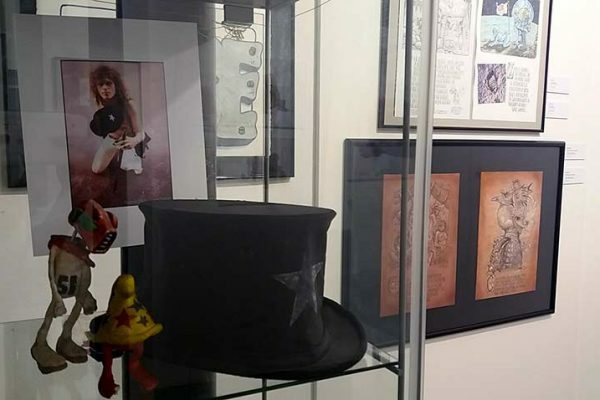 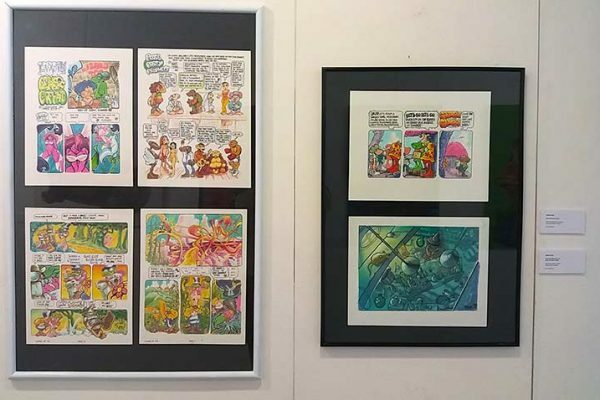 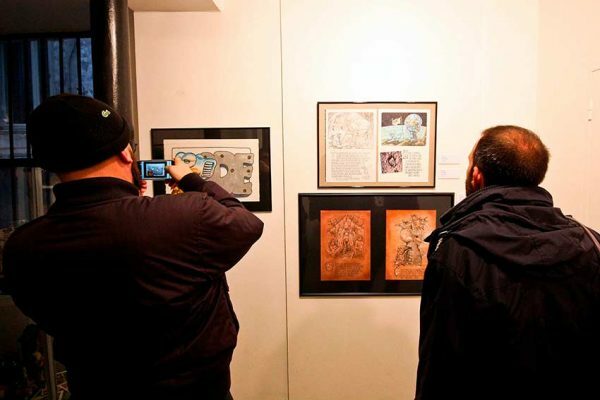 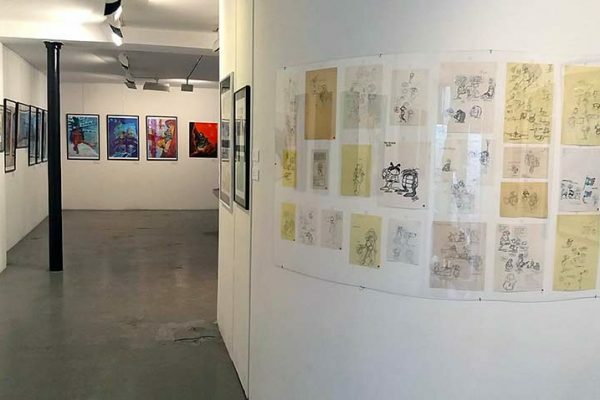 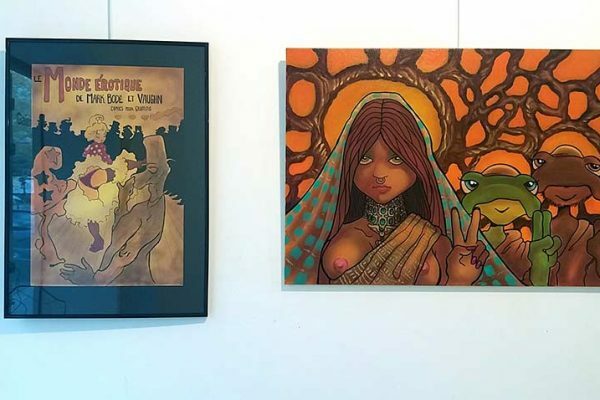 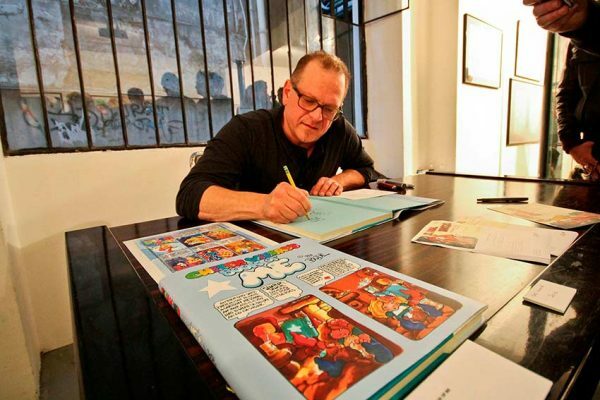 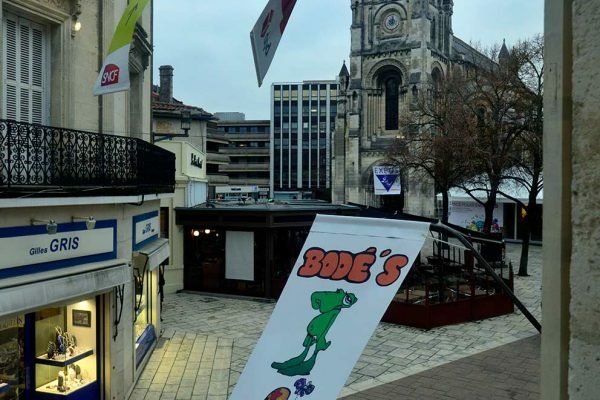 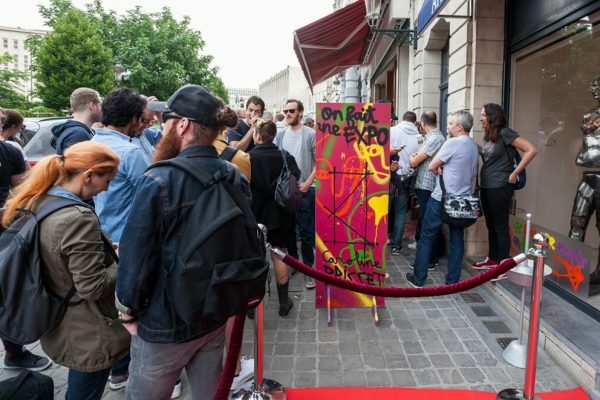 Son of VAUGHN BODÉ – important author of Comics book underground American of the Seventies with Gilbert Shelton and Robert Crumb – MARK BODÉ takes advantage of his invitation to the 44th Comics Festival in Angoulême to pay a fervent homage to the work of his father. 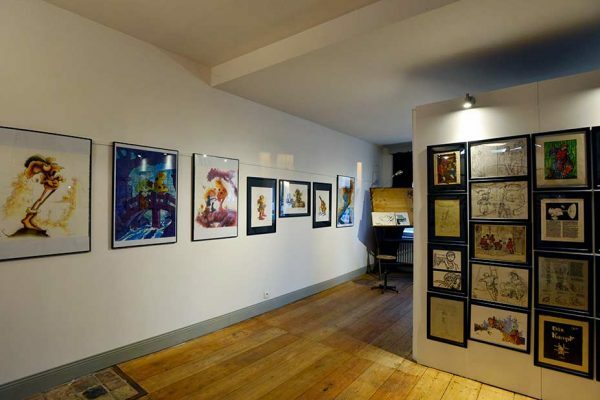 In this capacity, like his father, he produced a Cartoon Concert, as Vaughn had presented it himself at the 2nd Festival of Angoulême where he had also been invited in 1975 – a few months before his death. 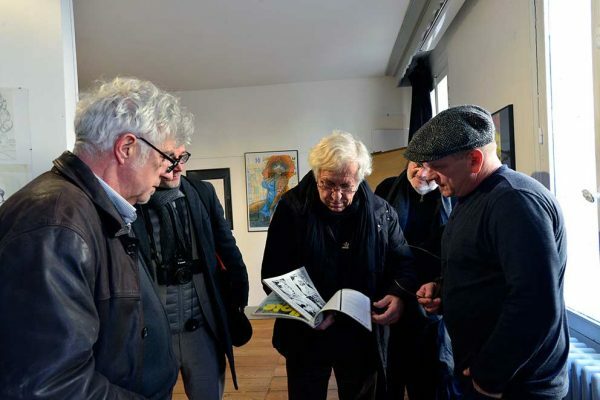 And while a few years before his premature death in 75, VAUGHN went to Paris and met Moebius, Tardi and Druillet it is also here for MARK, an opportunity to reconnect with part of its history. 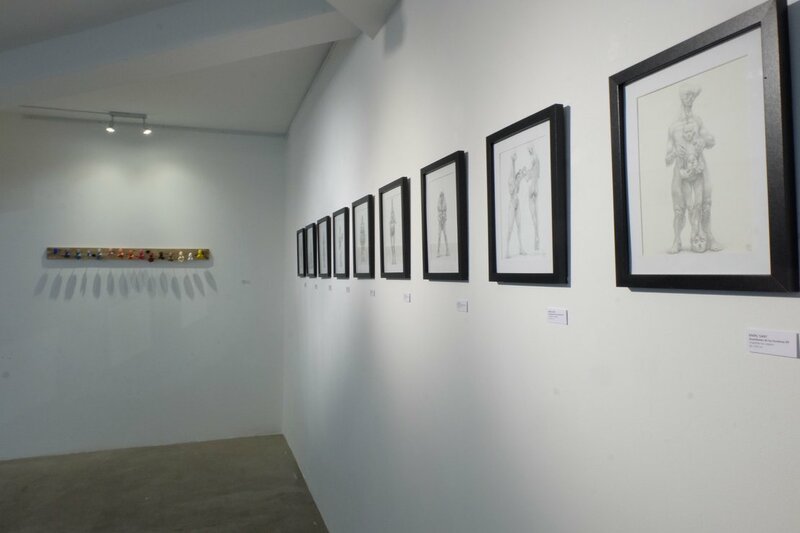 On 30 or so original drawings and plates by MARK, but also original drawings by VAUGHN, sculptures and personal souvenirs kept in secret, the exhibition focuses on the BODÉ style and the characters that made it famous . 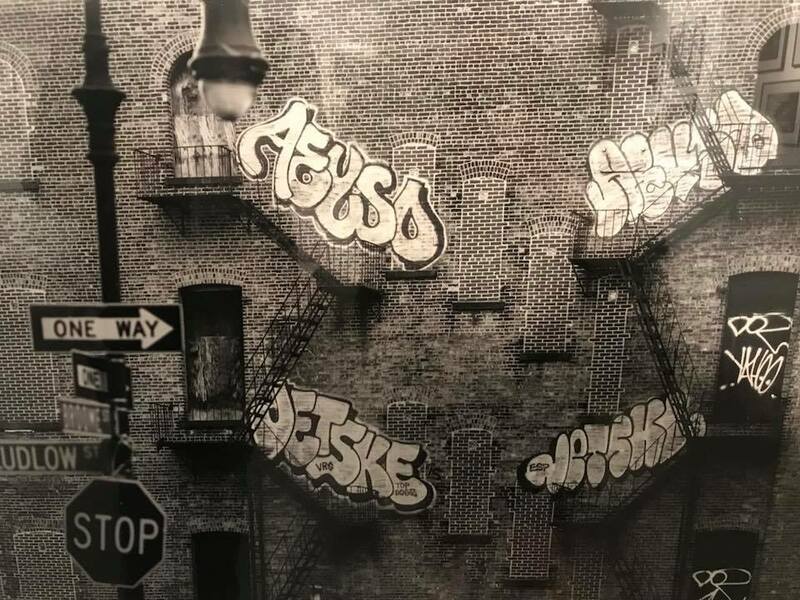 Bubble Letters, Broad Bodé and Cheech Wizard, strongly inspired the emerging scene of New York Hip Hop and the precursors of graffiti. 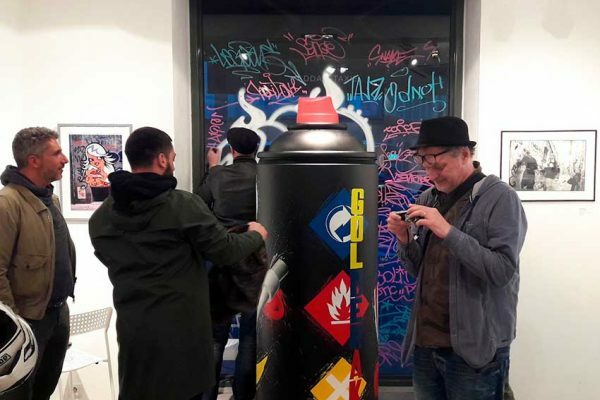 Dondi, Seen and Tracy 168 capture the style and make it one of the fundamental and emblematic elements of Spray Can Art. 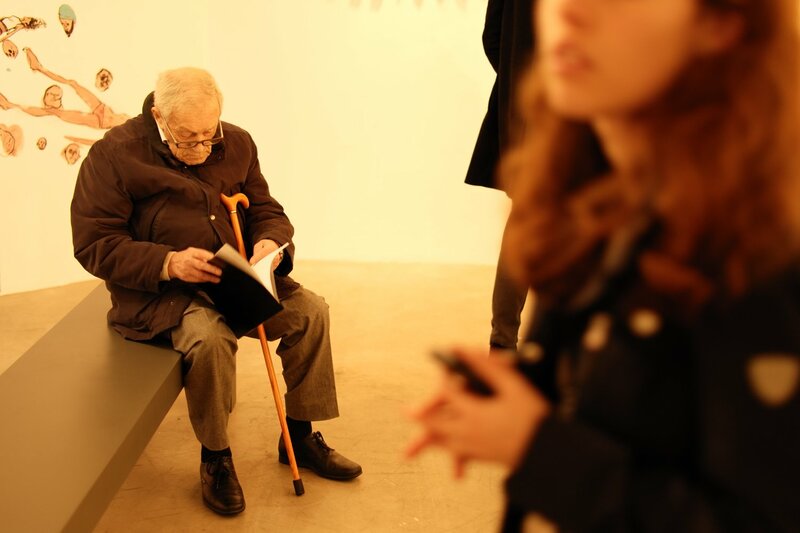 When VAUGHN died, MARK faithfully resumed the paternal art and watched over his stylistic heritage. 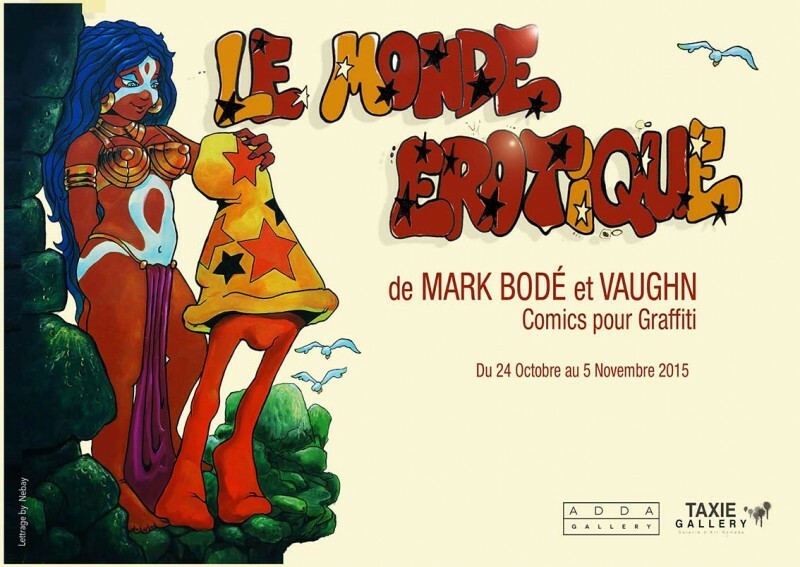 Two limited and signed editions of MARK BODÉ will be produced for this exhibition. 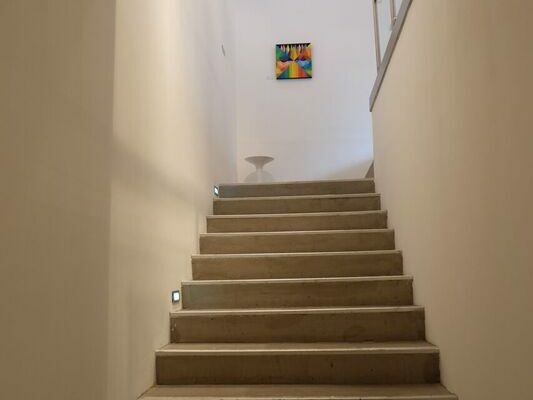 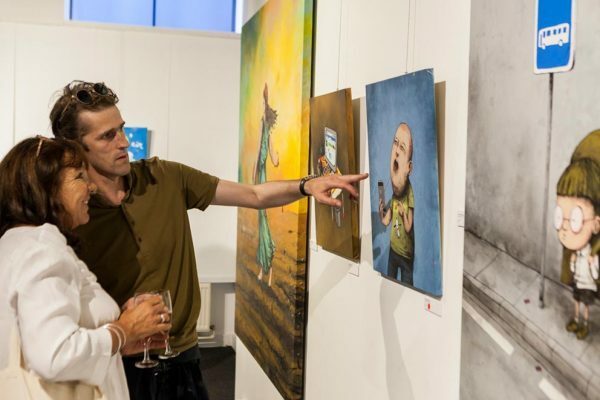 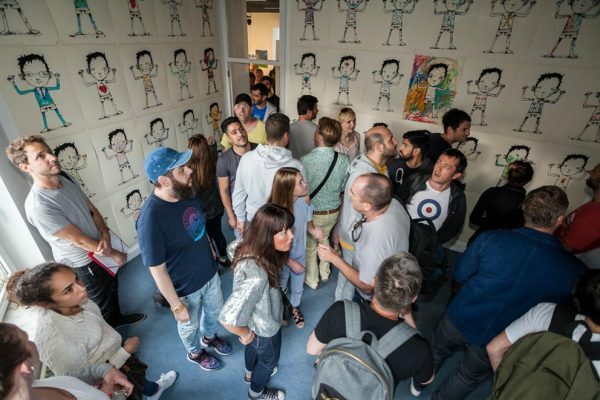 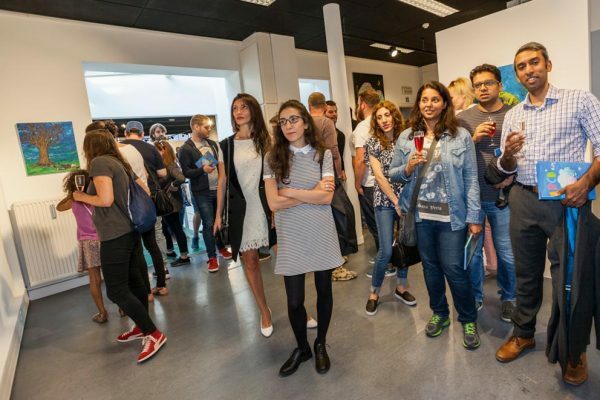 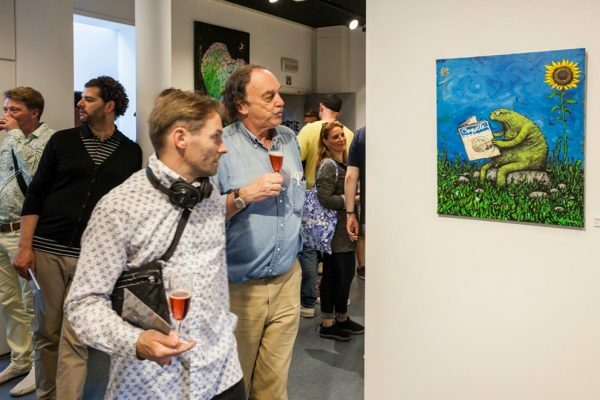 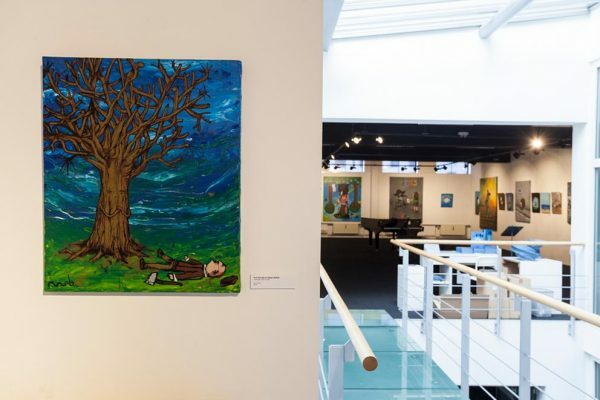 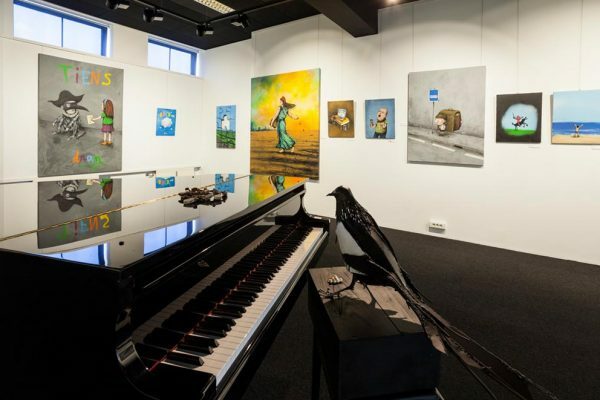 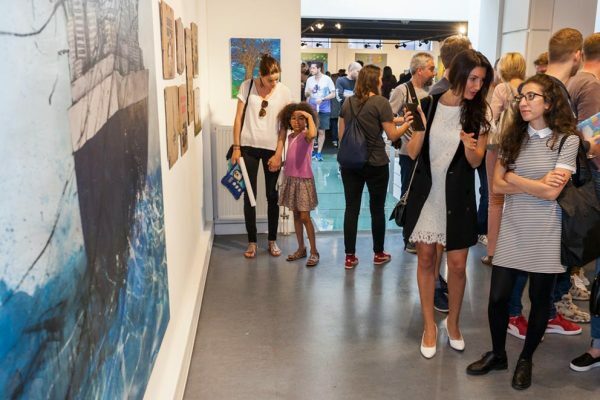 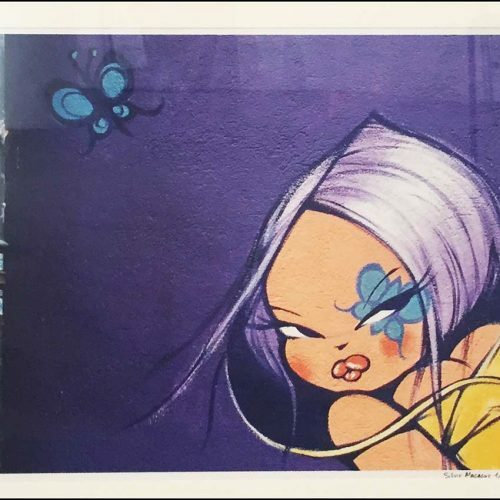 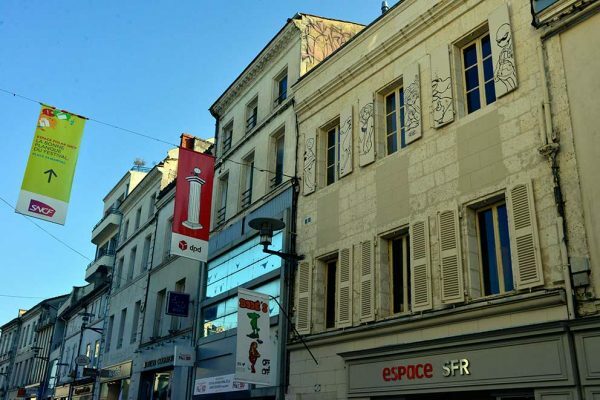 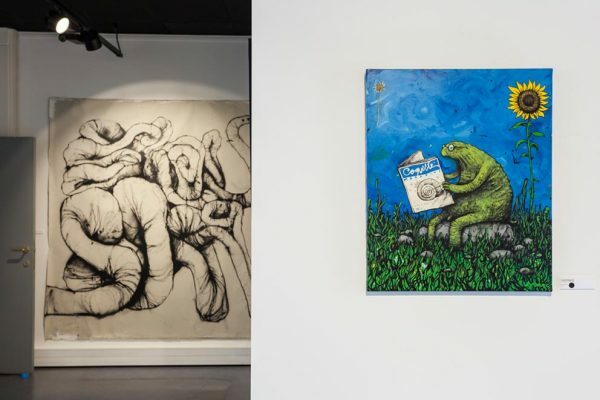 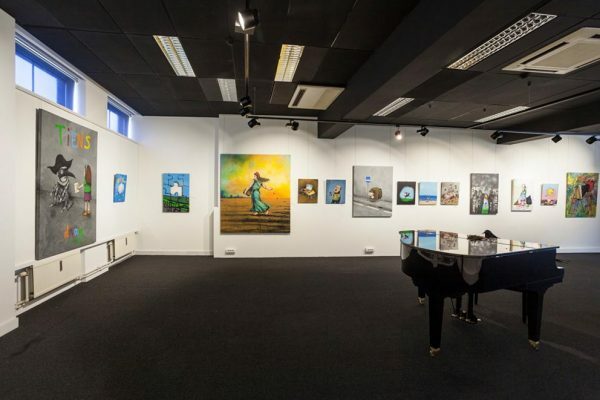 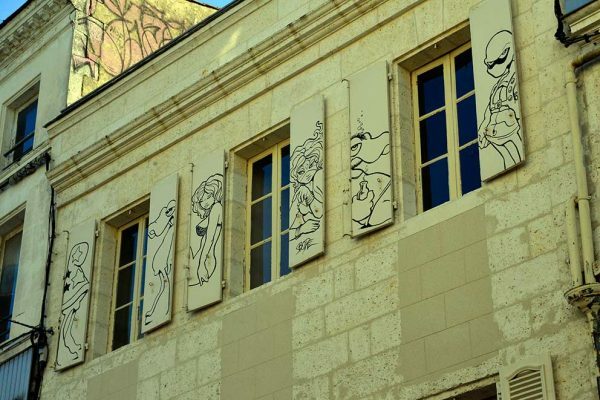 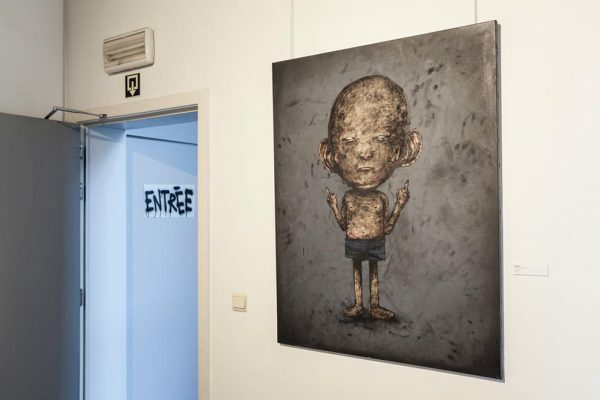 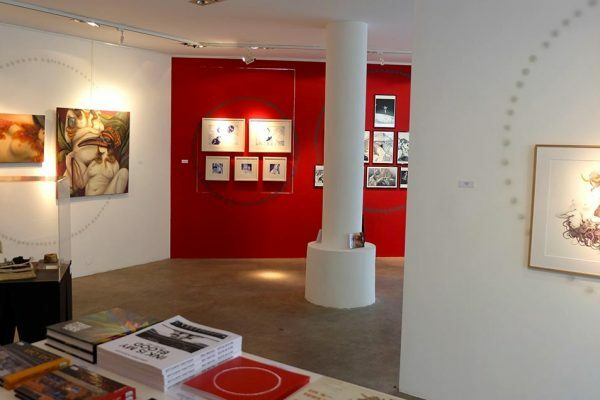 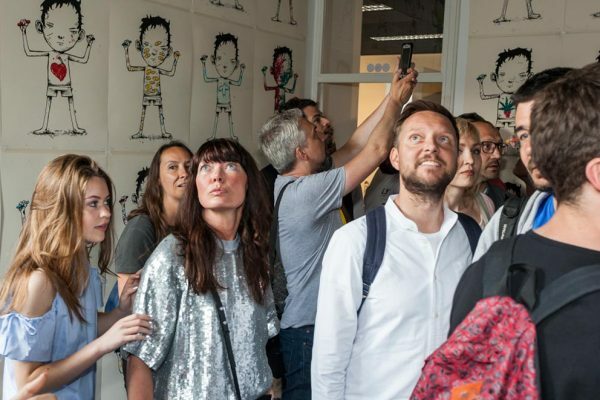 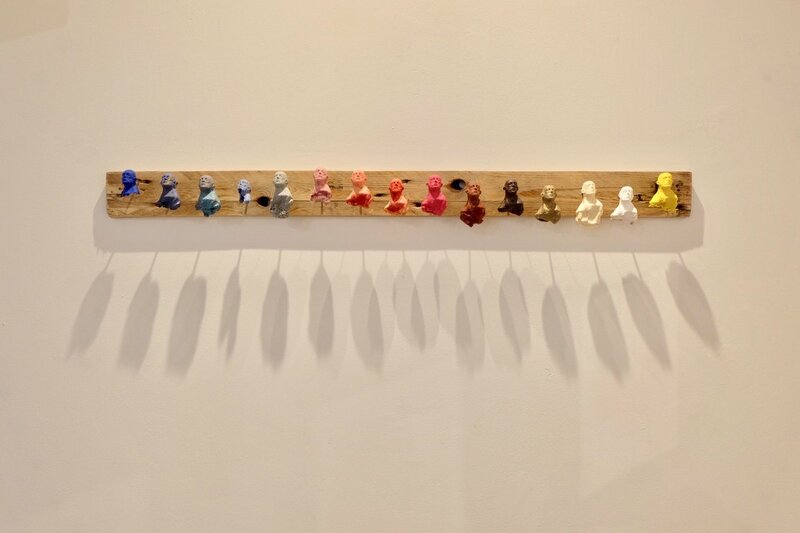 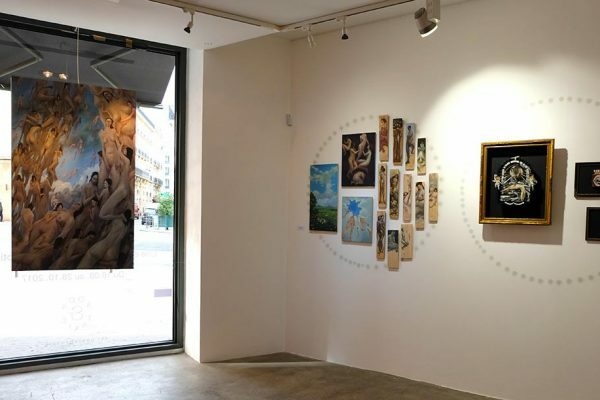 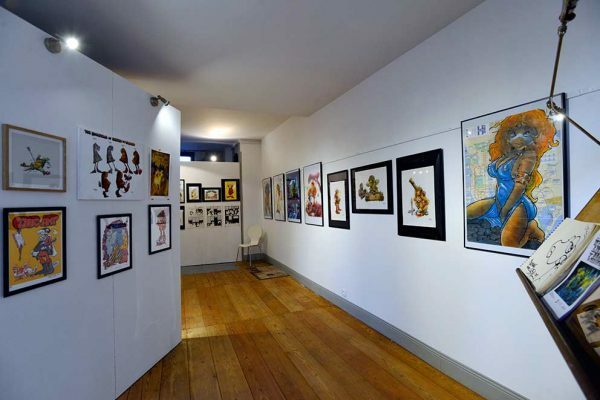 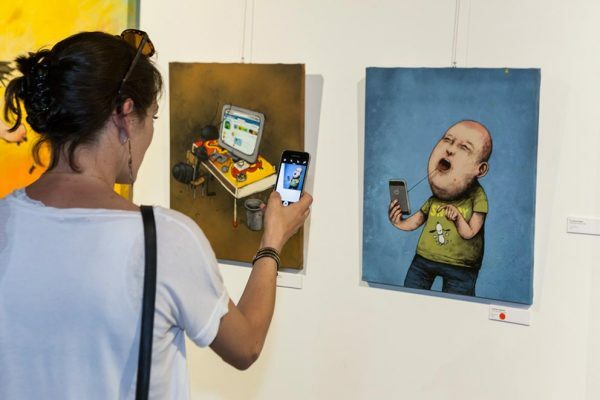 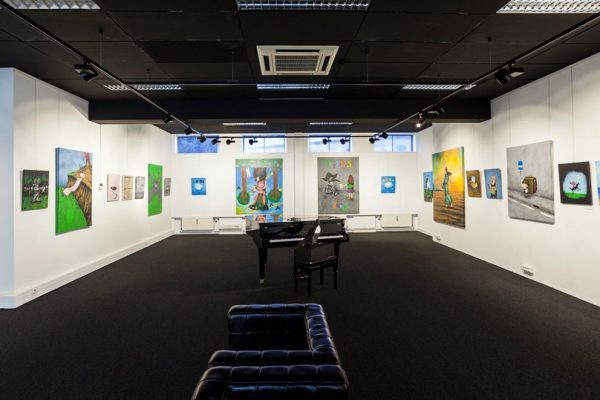 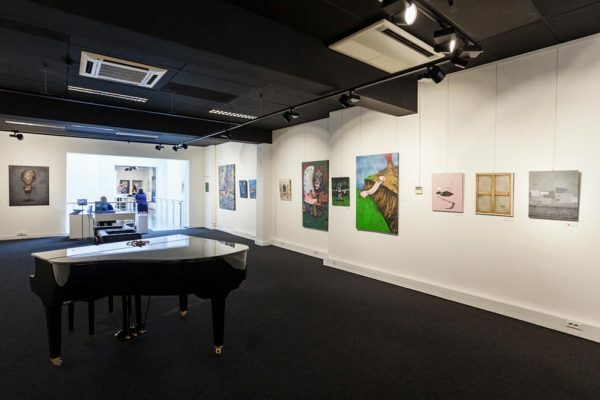 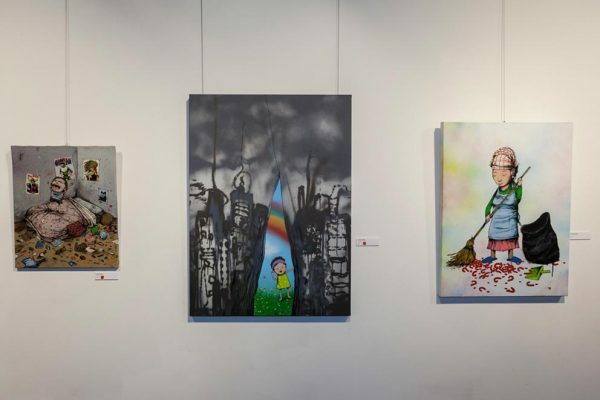 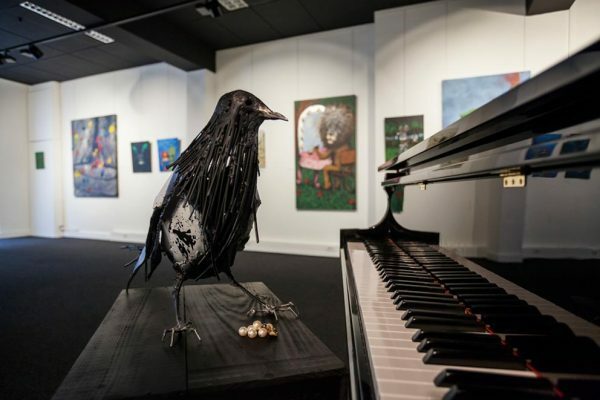 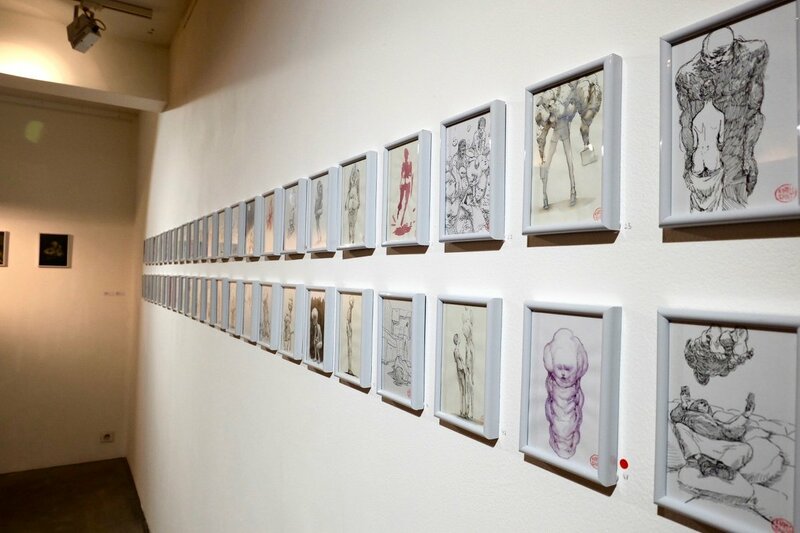 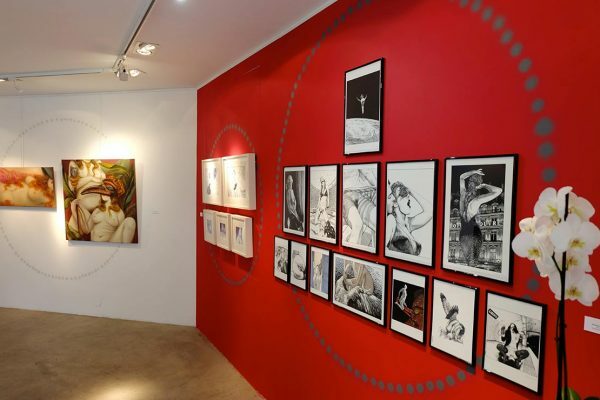 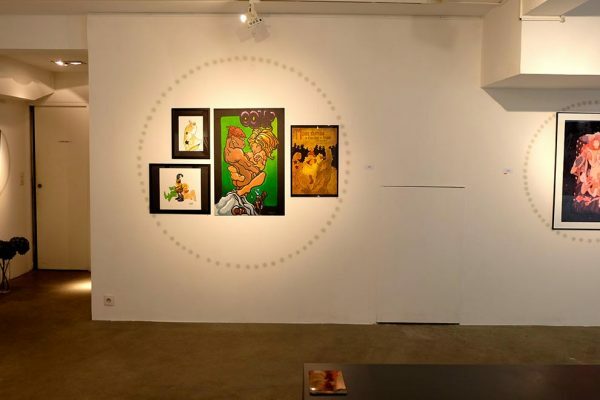 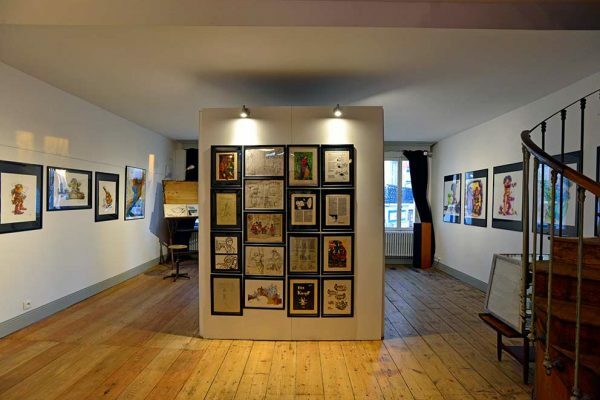 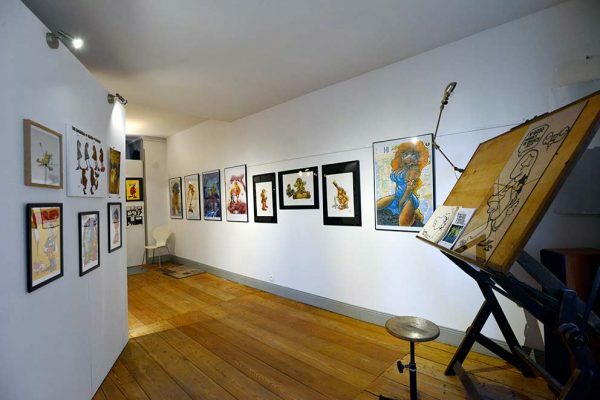 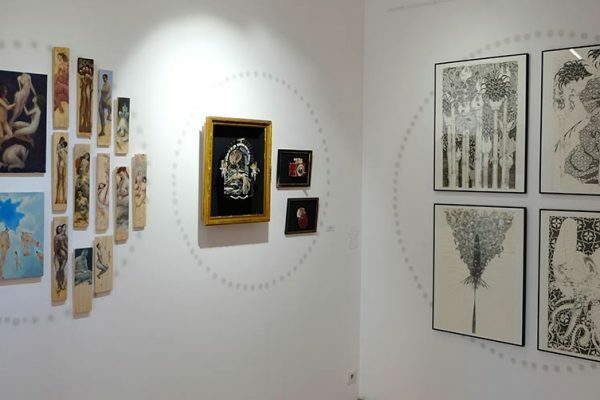 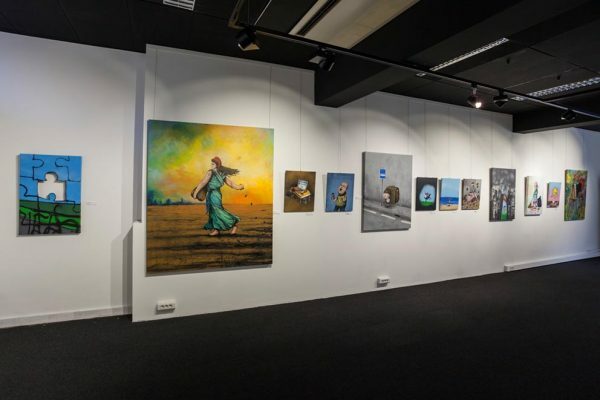 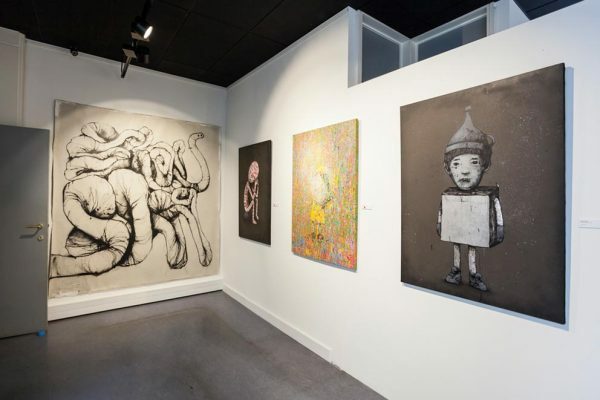 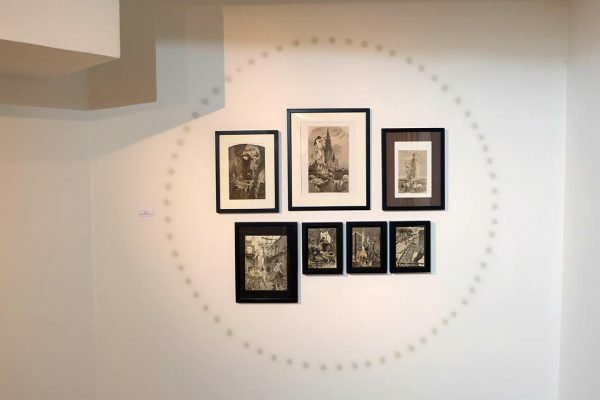 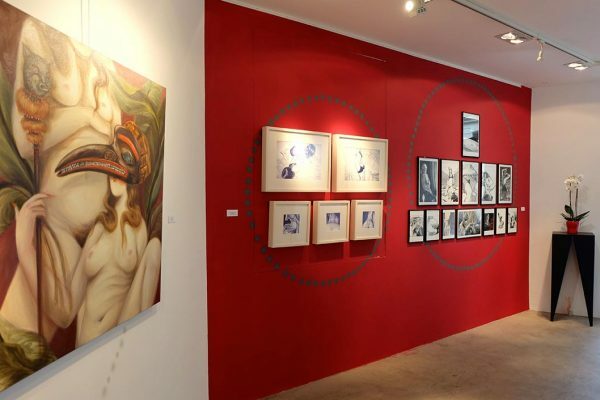 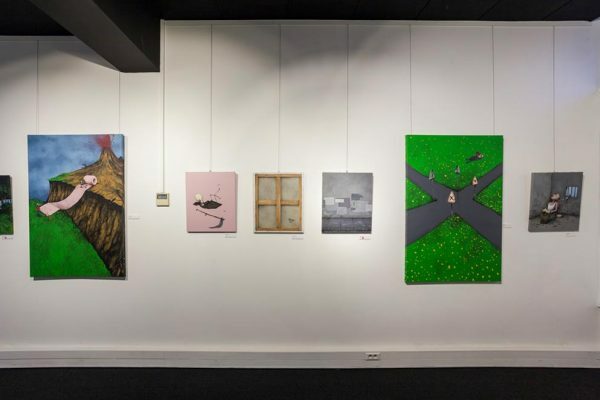 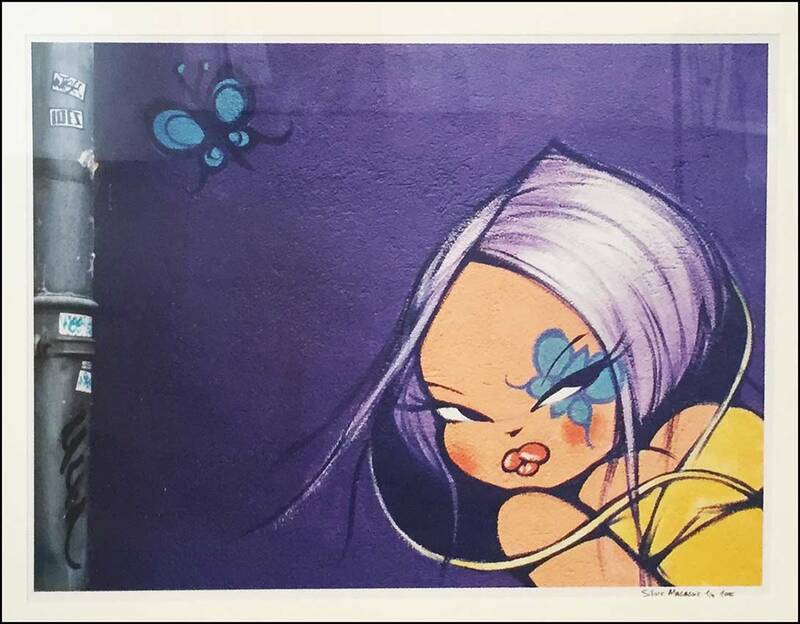 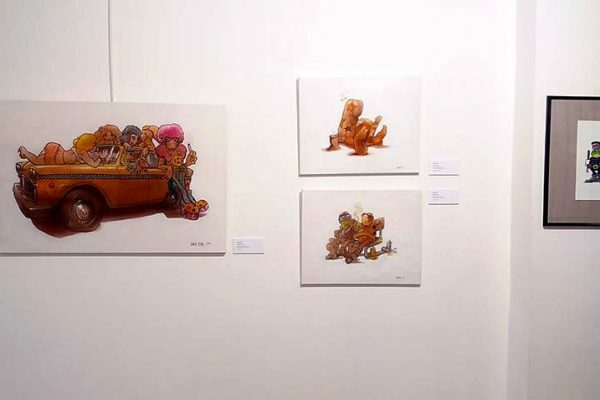 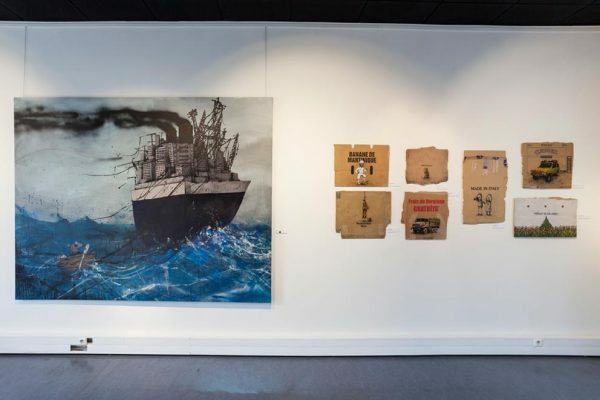 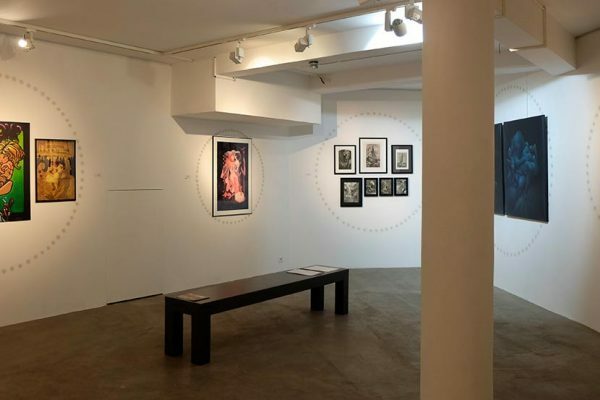 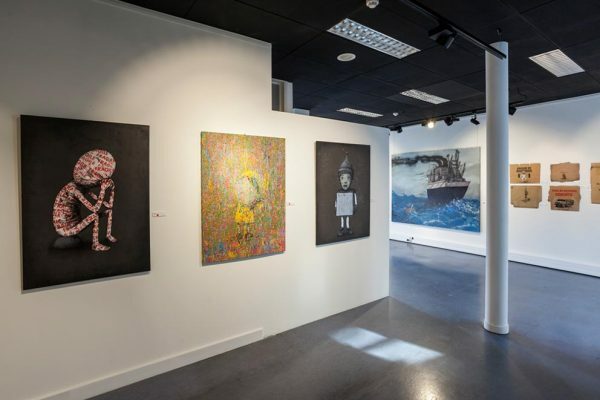 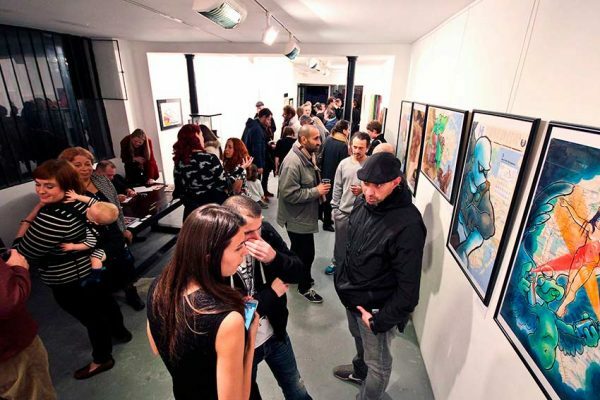 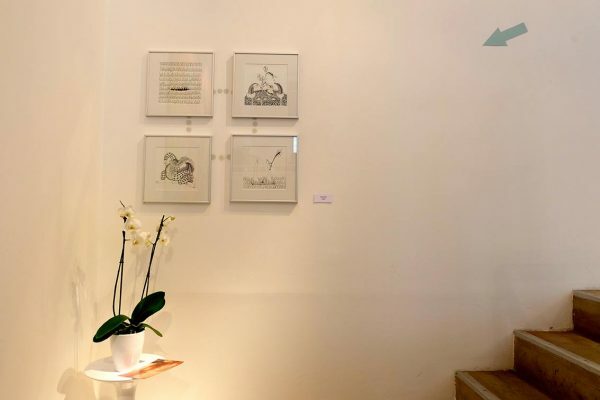 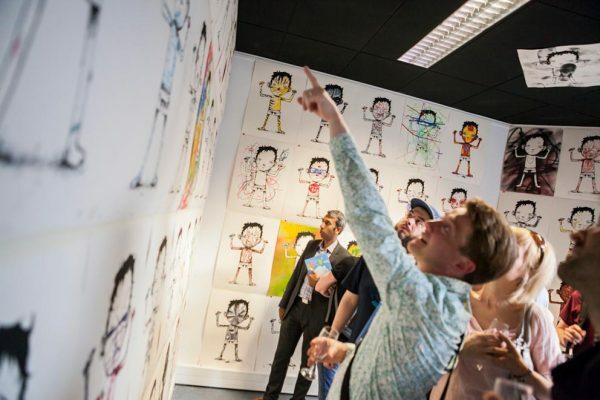 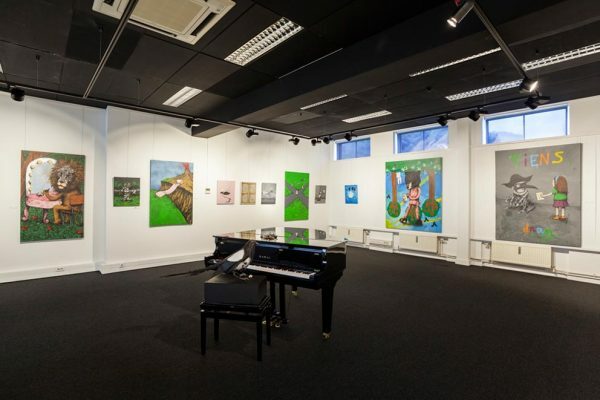 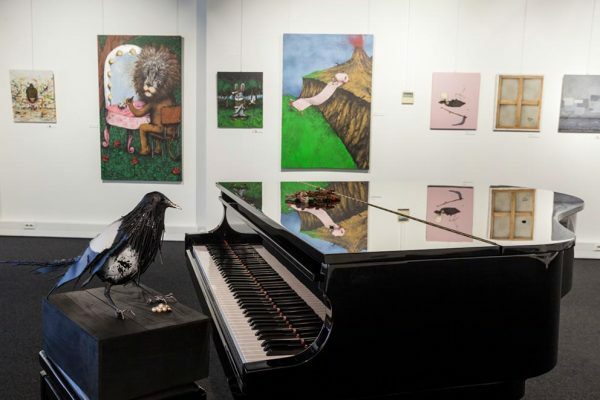 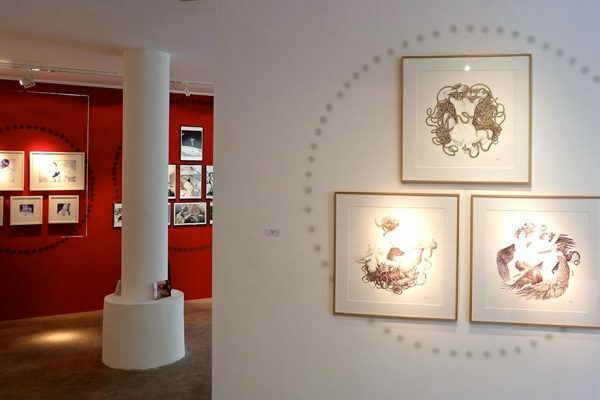 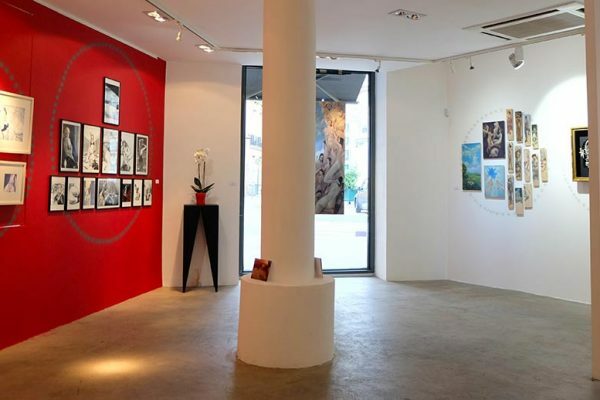 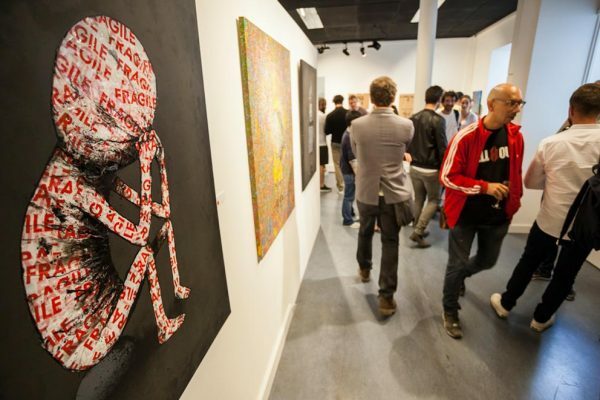 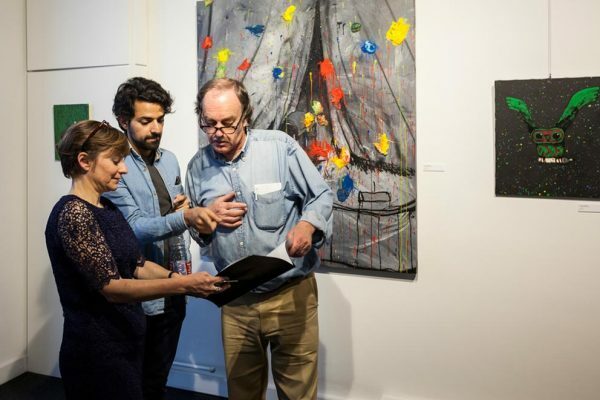 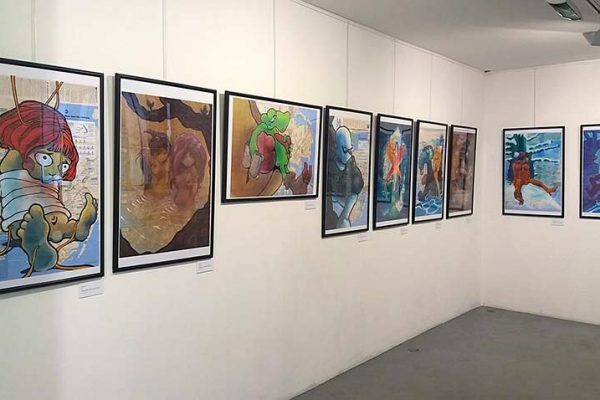 Adda Gallery presents Tiens, a monographic exhibition of the artist dran in a historic building in the heart of Brussels, offering a stunning contrast, with fresh and sparkling artwork. 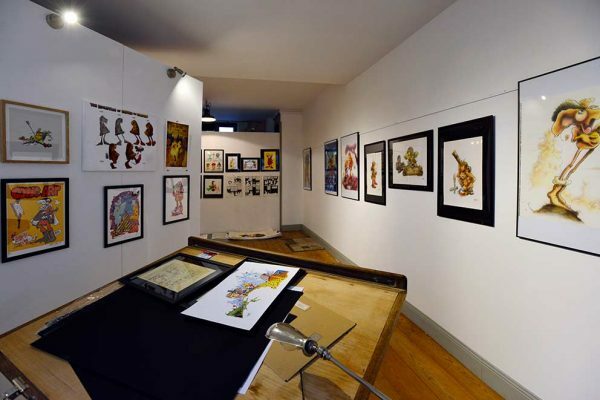 Well known for his satirical drawings, the candor of his performances, and his representative lines, dran is a singular and outside the norm artist. 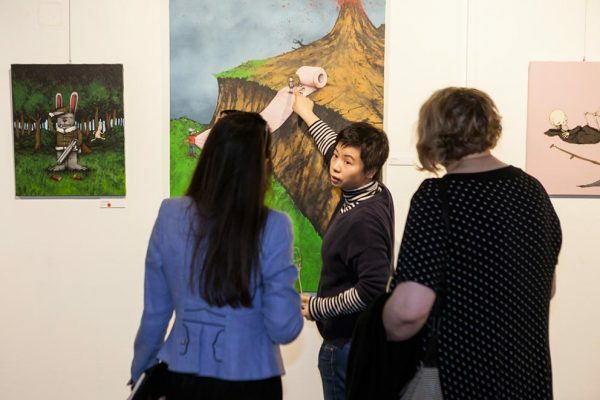 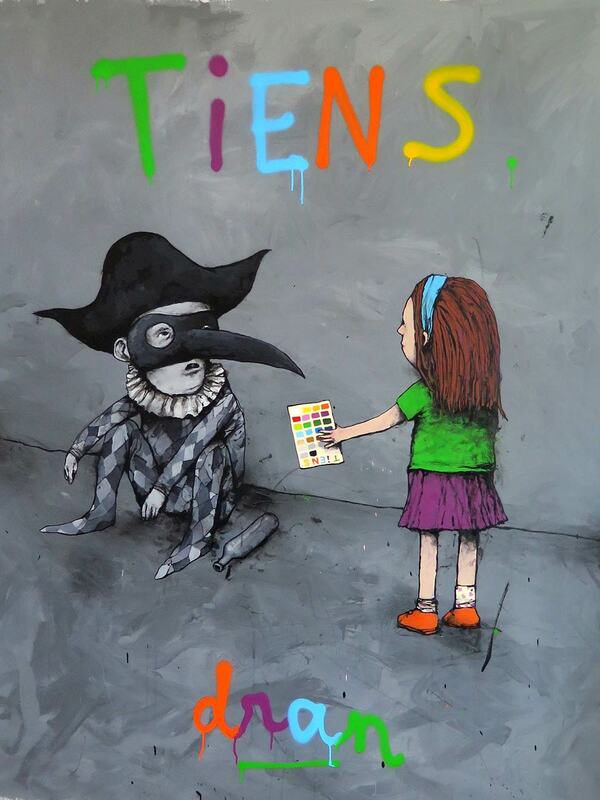 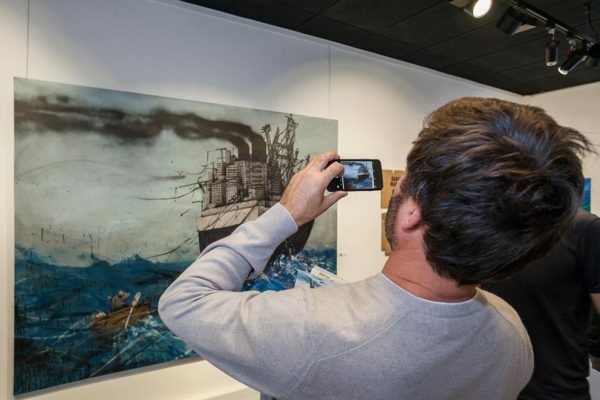 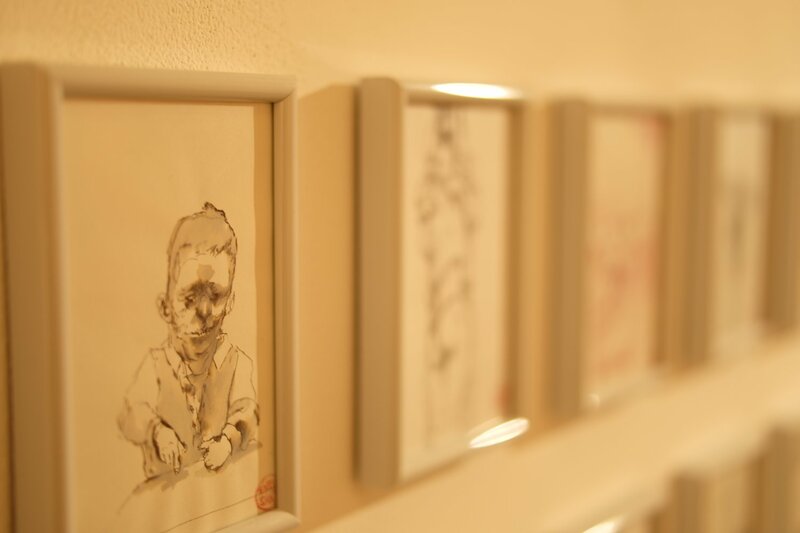 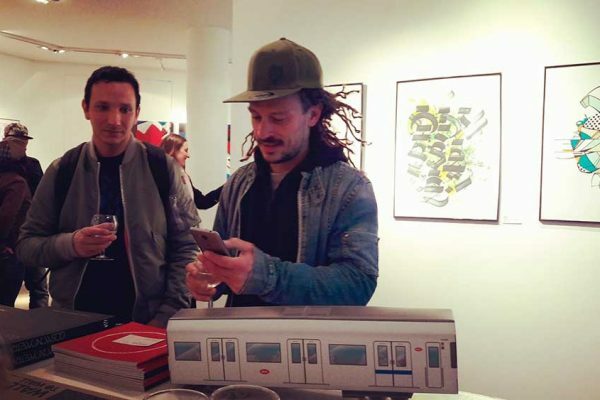 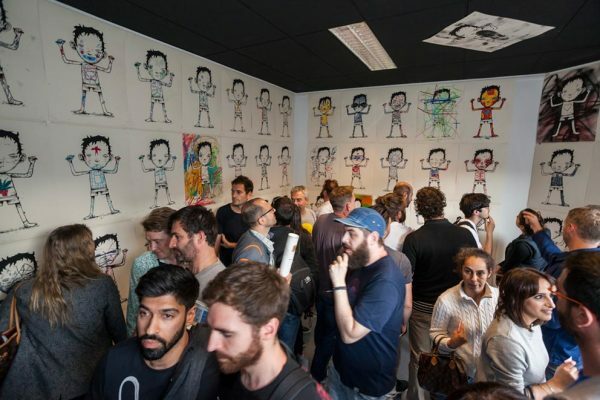 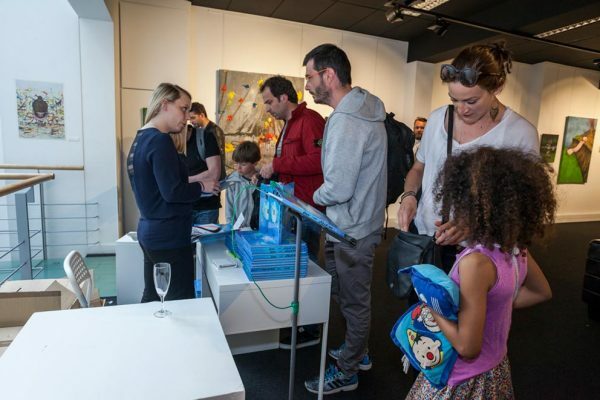 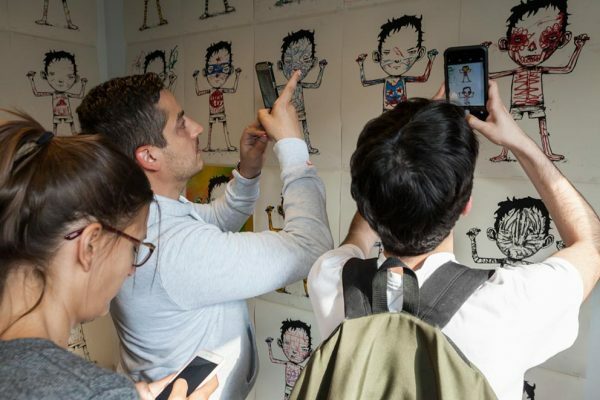 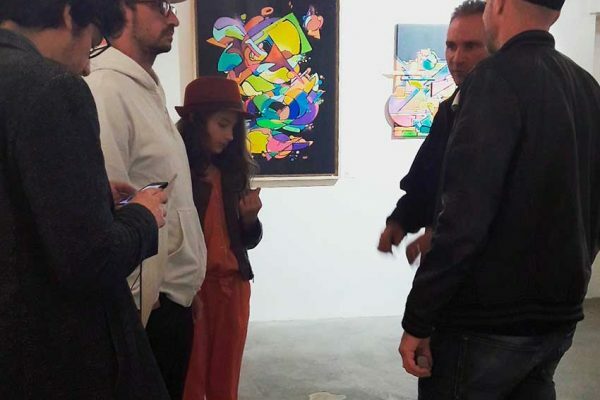 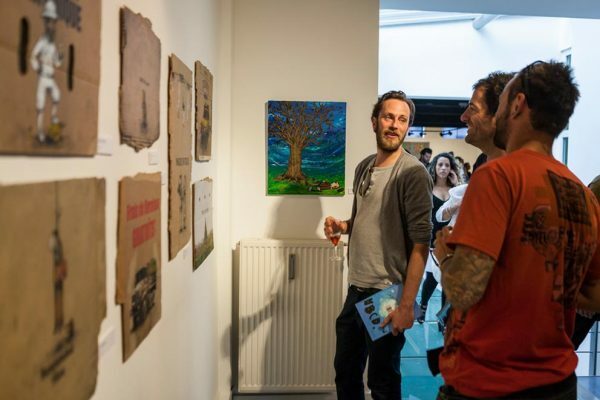 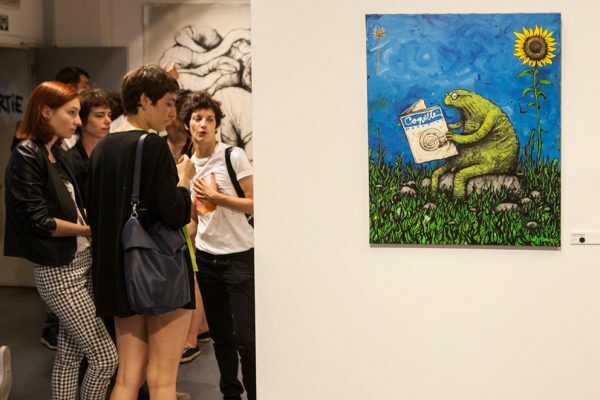 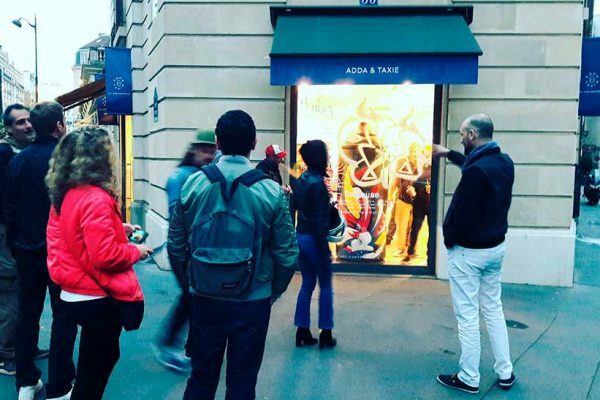 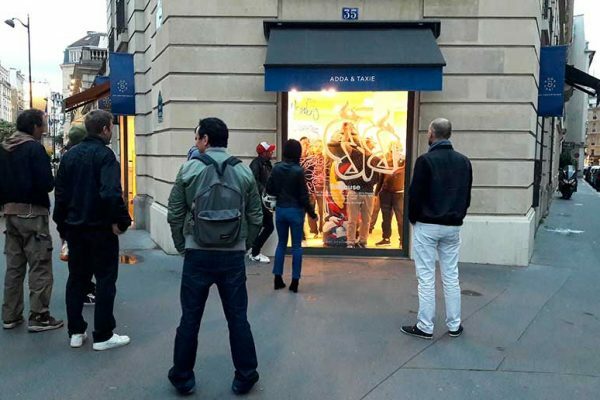 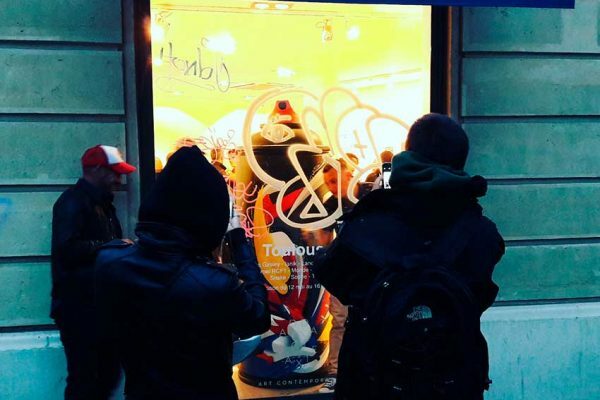 The exhibition “Tiens” will bring together the latest paintings and unpublished drawings by dran from 2015 to 2016. 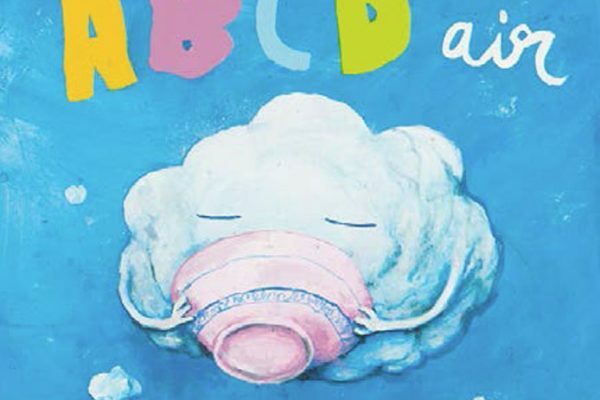 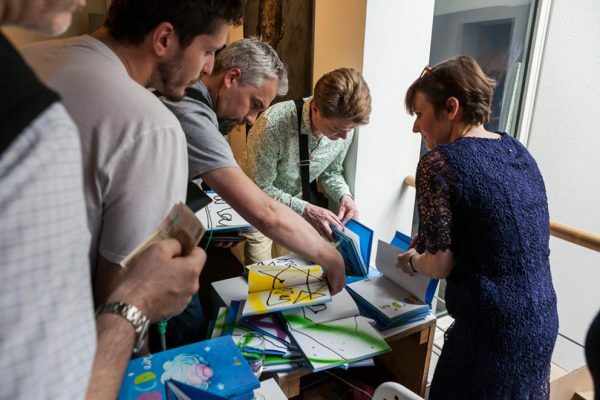 Also release of the new book by dran “ABCD’air” and a special edition of silkscreen prints hand finished by the artist. 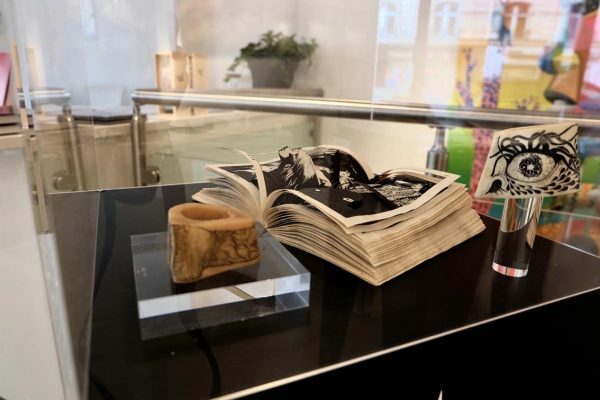 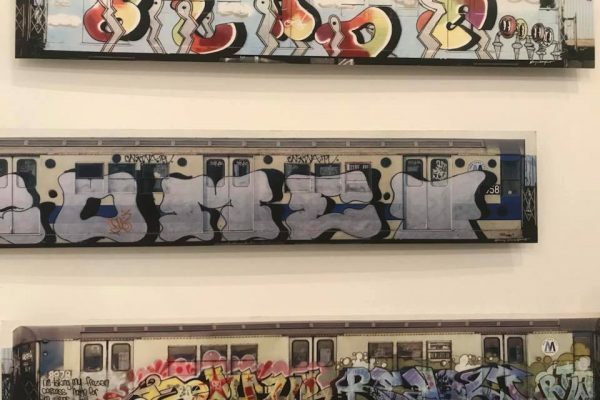 Sur une trentaine de toiles de MARK, des plans de métro newyorkais peints inédits, mais aussi des dessins originaux de VAUGHN, des sculptures et des souvenirs personnels jusque là conservés au secret, l’exposition met l’accent sur le style BODÉ et les personnages qui ont fait sa renommé. 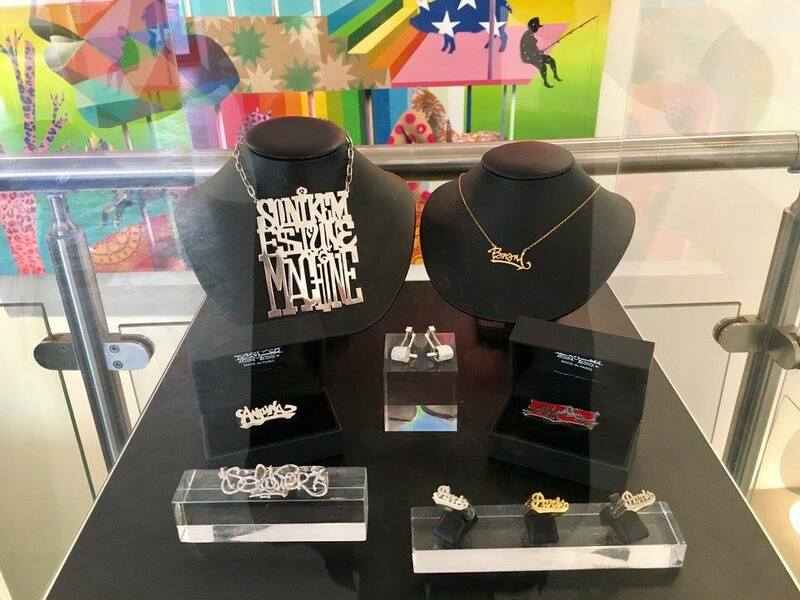 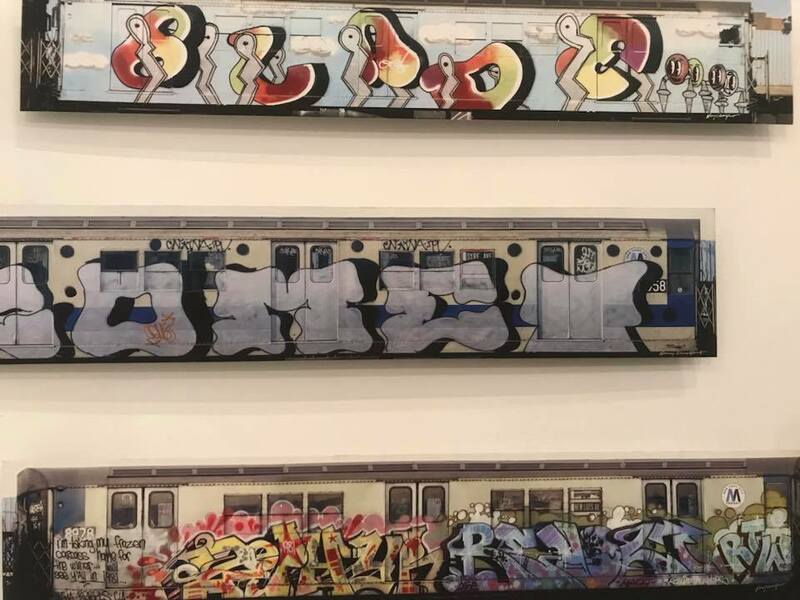 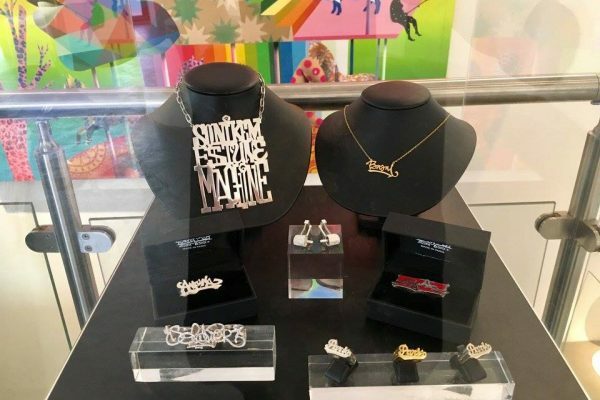 Bubble Letters, femmes Broad Bodé et Cheech Wizard, ont fortement inspiré la scène émergeante du Hip hop newyorkais et les artistes précurseurs du graffiti. 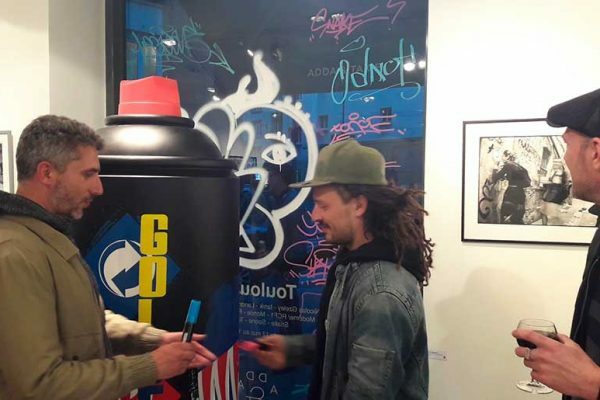 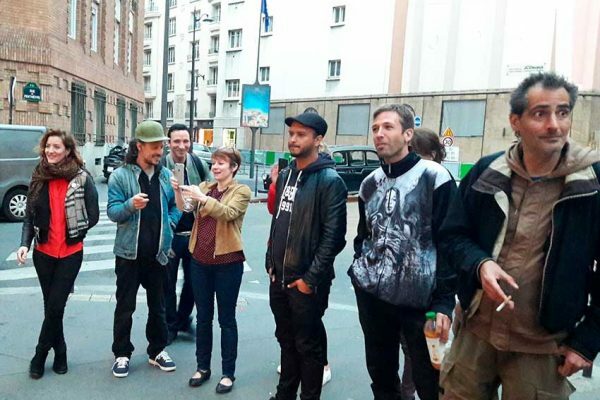 Dondi, Seen ou encore Tracy 168 s’accaparent le style et en font un des éléments fondamental et emblématique du Spray Can Art. 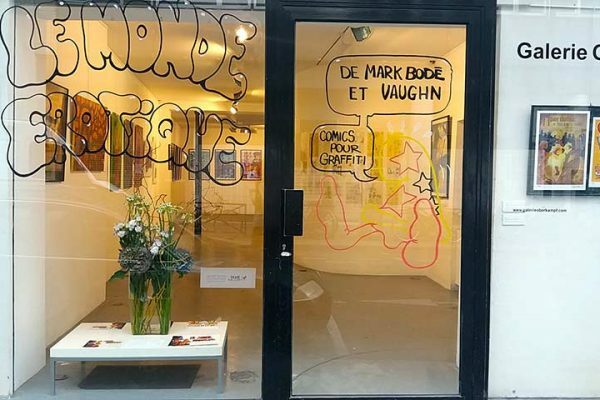 A la mort de VAUGHN, MARK reprend fidèlement la plume paternelle et veille depuis sur son héritage stylistique. 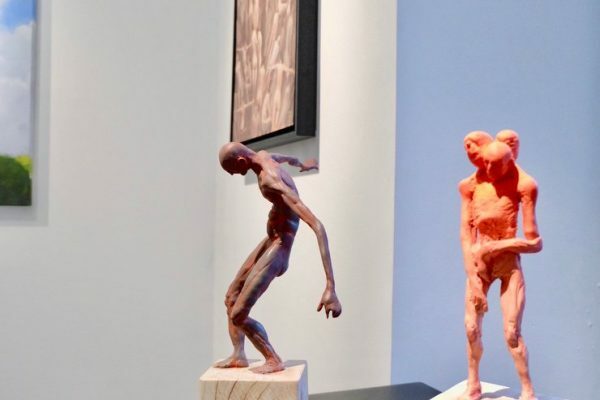 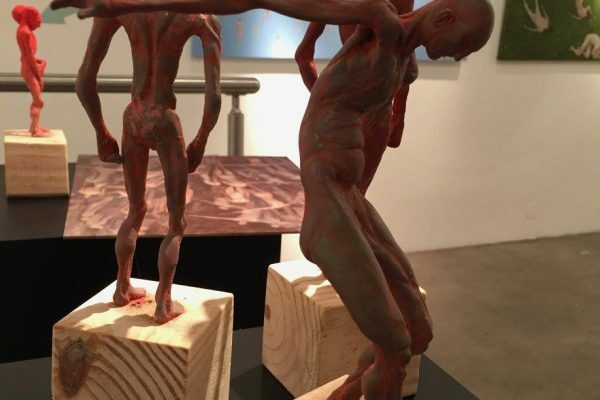 Une édition limitée et signée de MARK BODÉ sera produite à l’occasion de cette exposition. 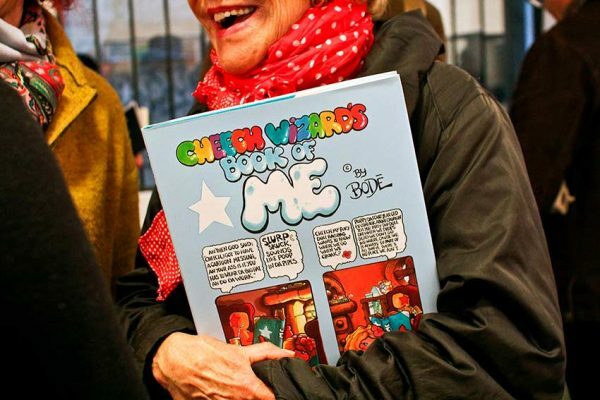 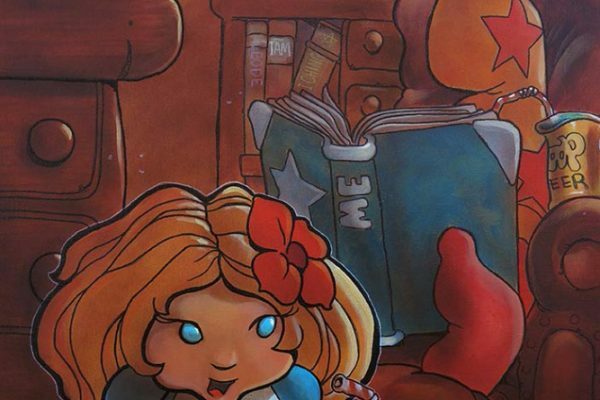 Et en avant première la présentation de son dernier livre « The Book of ME par Cheech Wizard”. 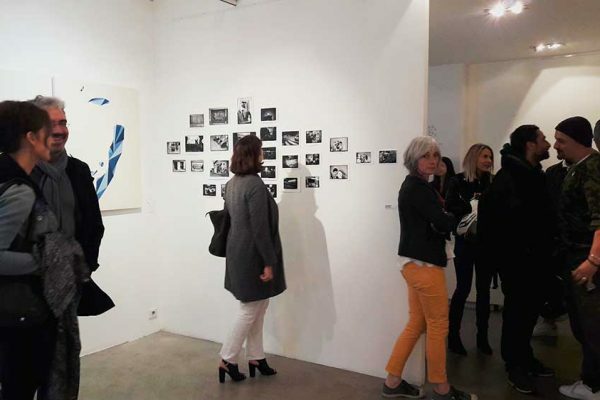 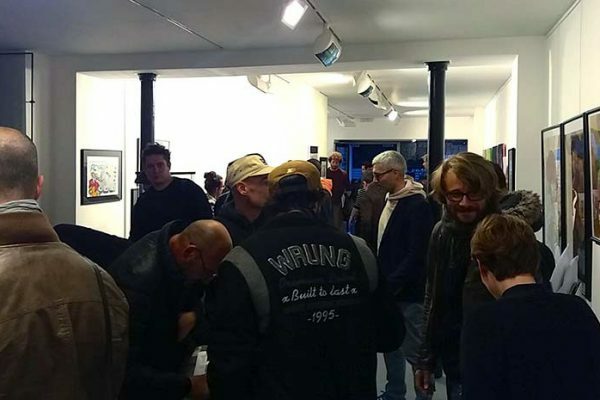 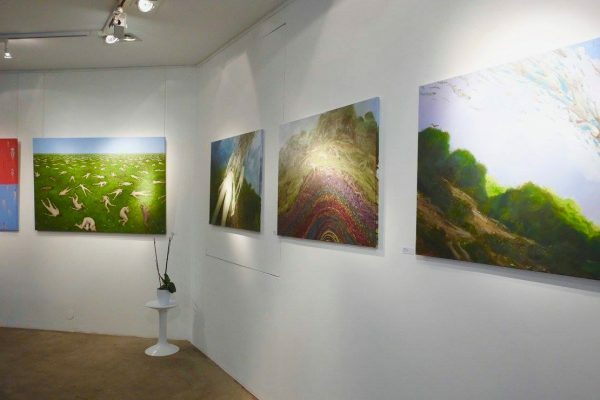 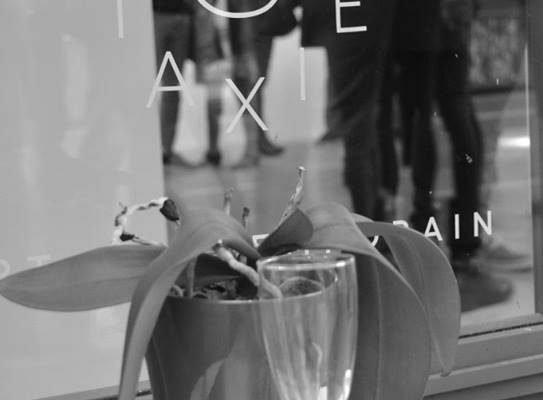 Exposition organisée en collaboration avec Taxie Gallery.